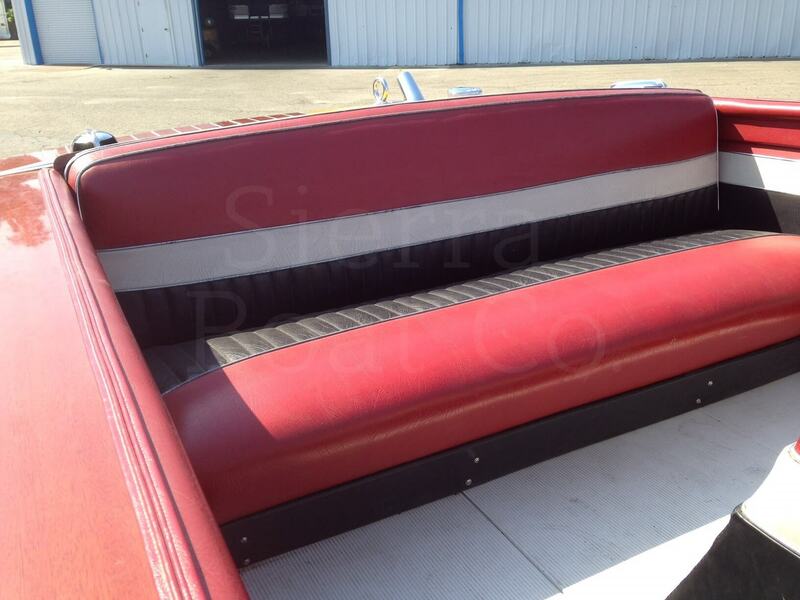 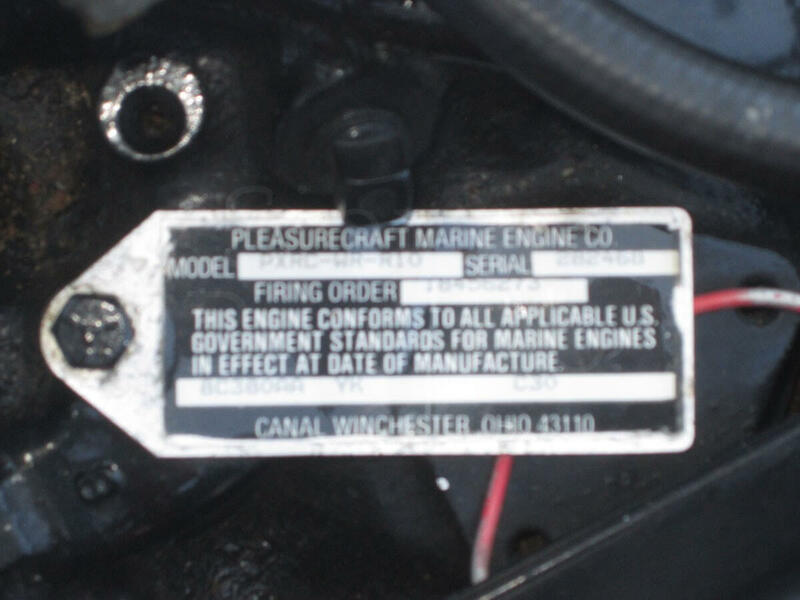 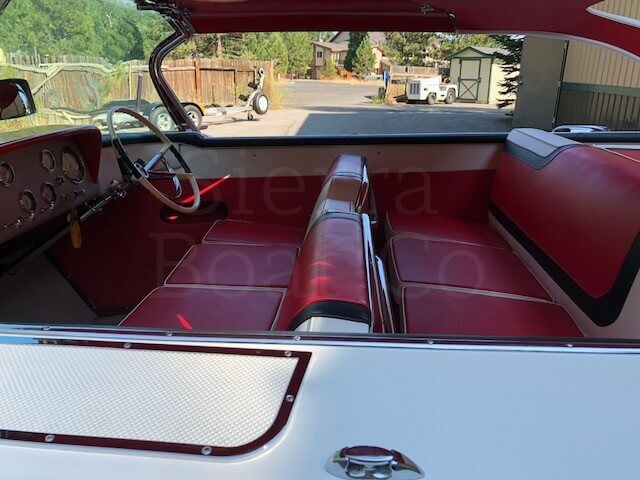 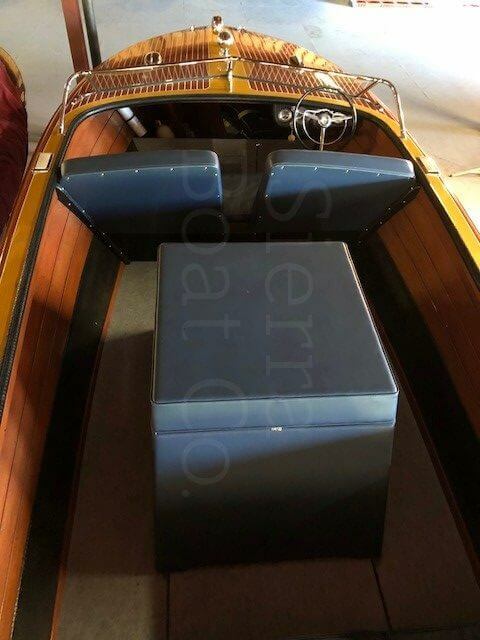 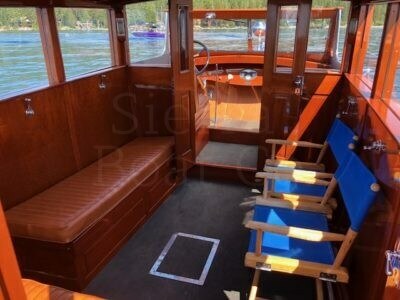 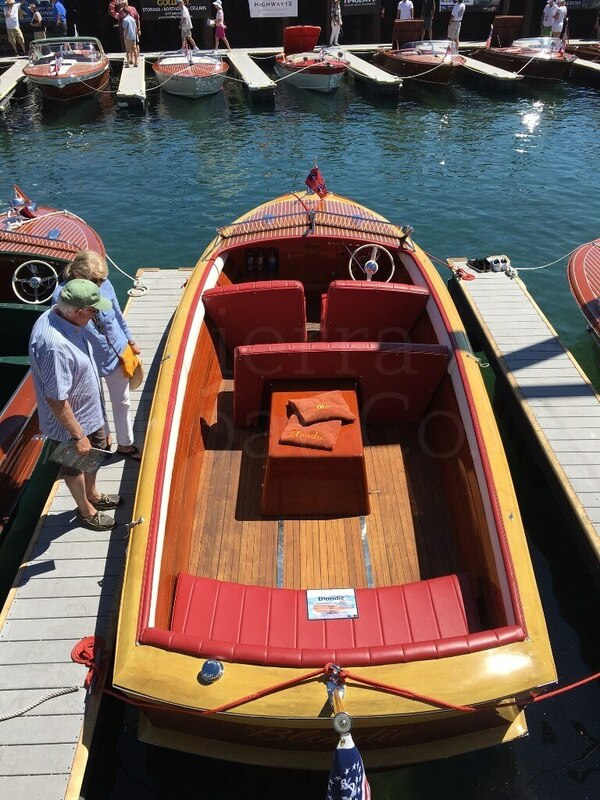 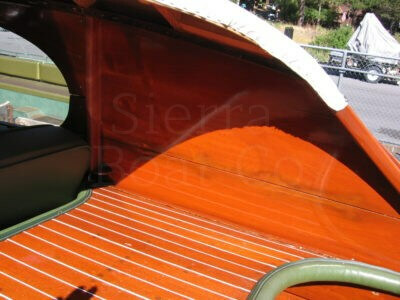 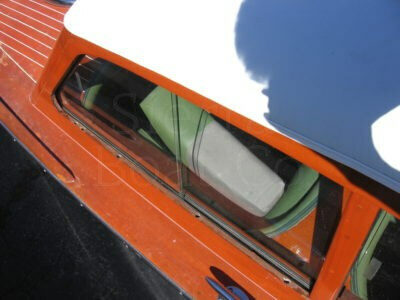 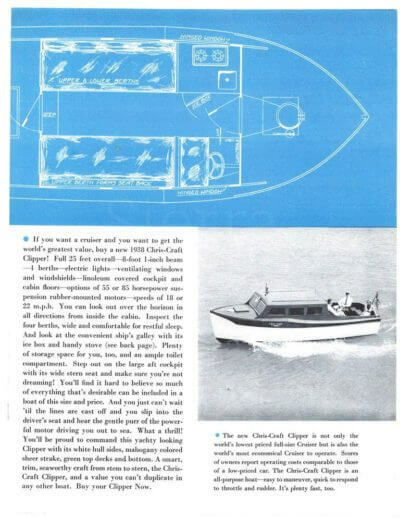 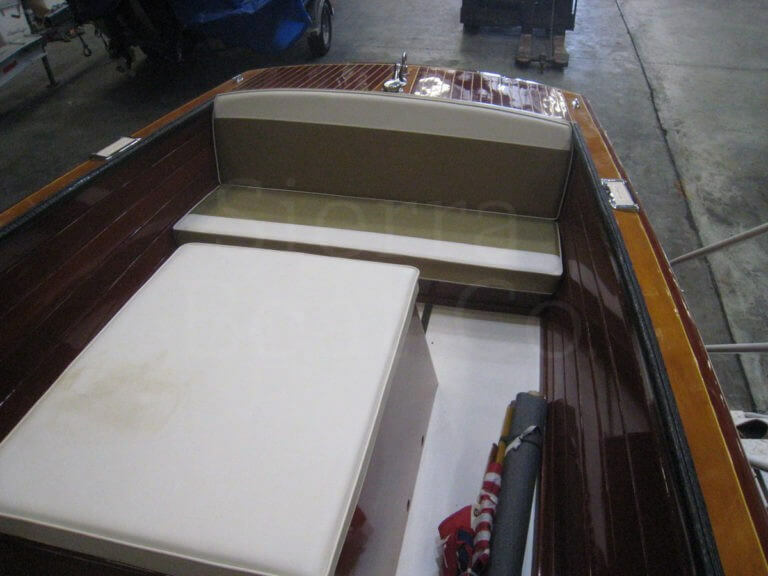 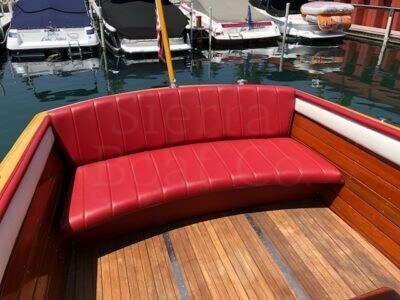 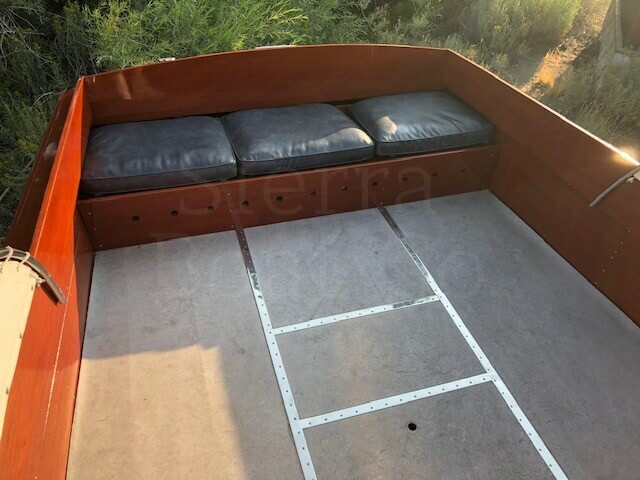 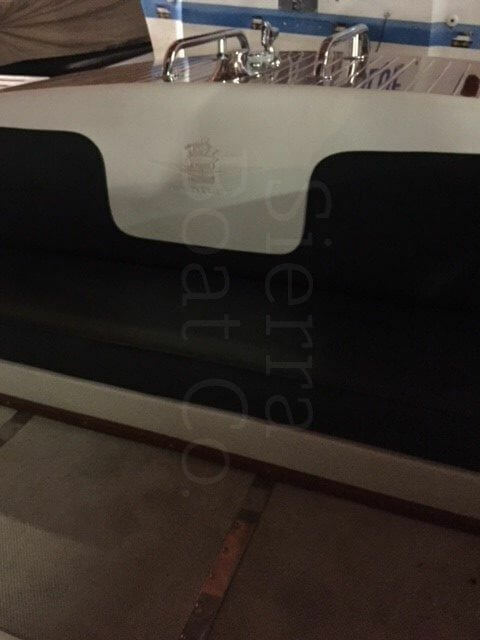 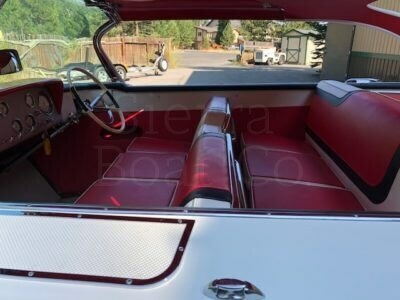 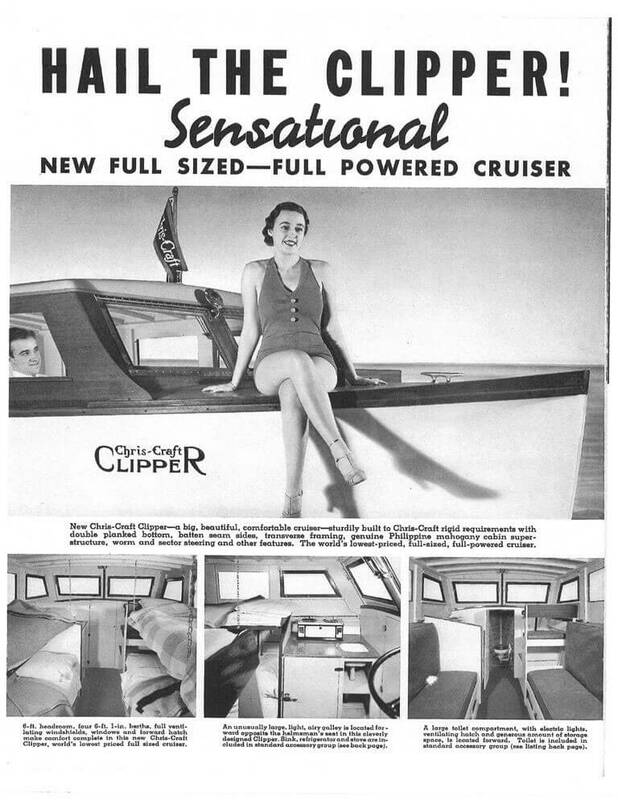 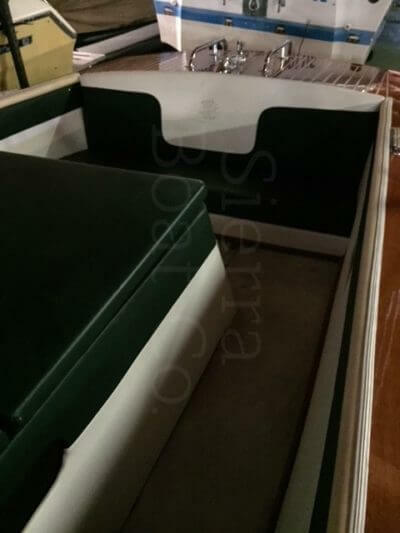 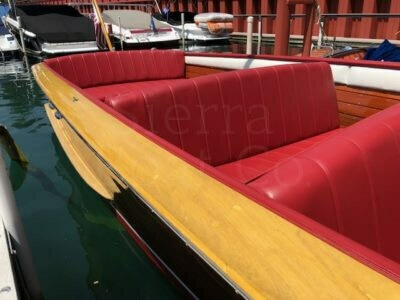 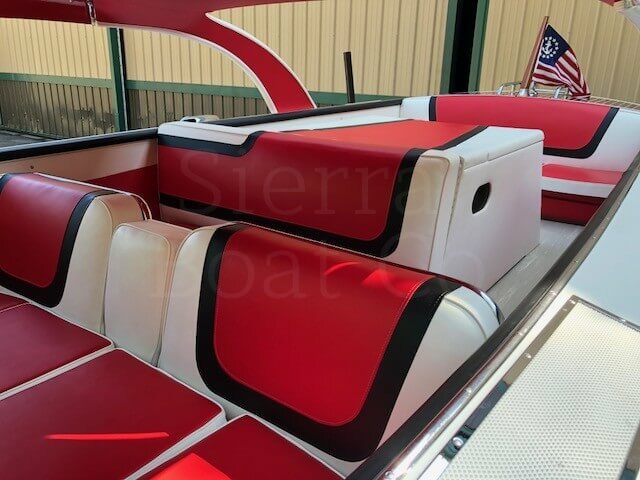 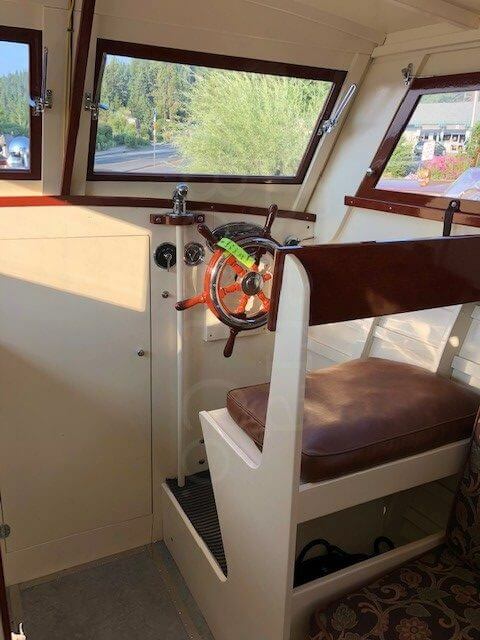 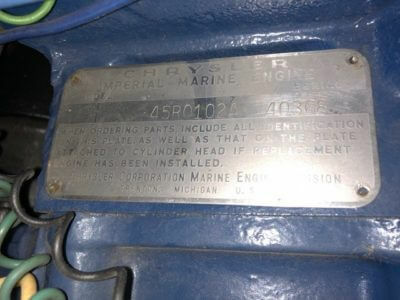 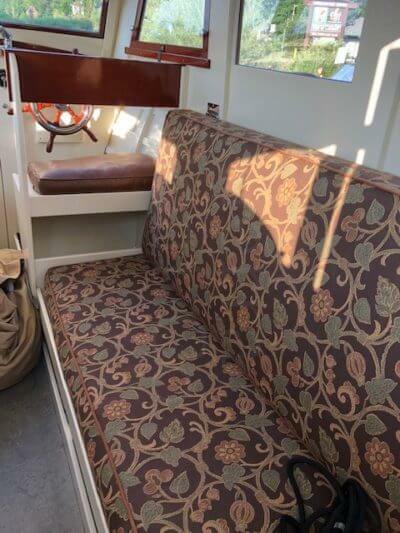 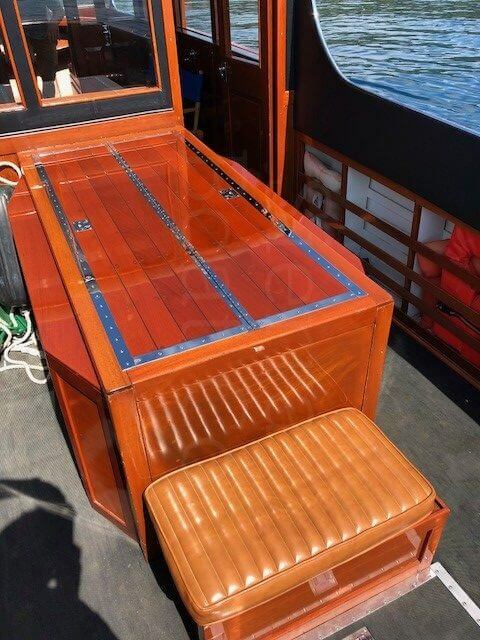 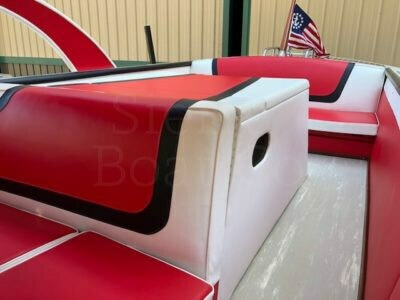 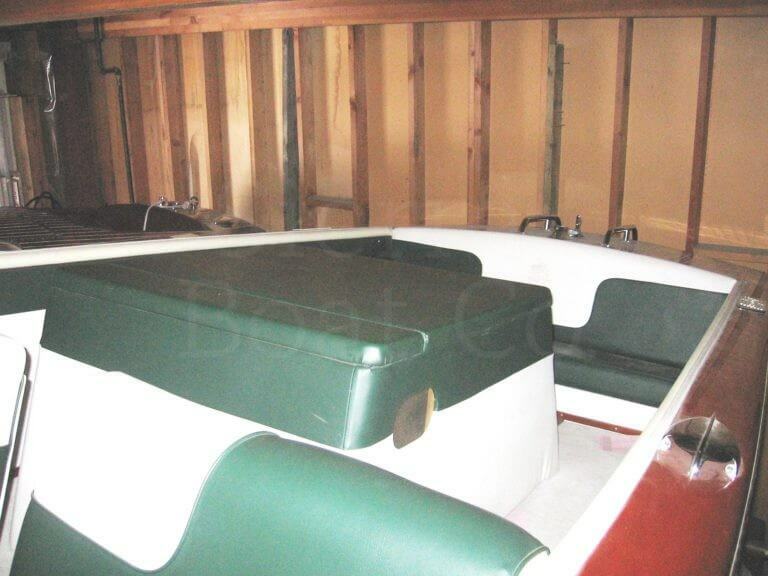 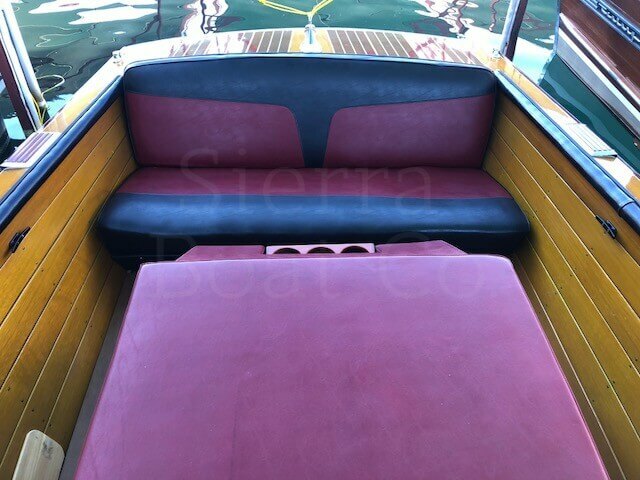 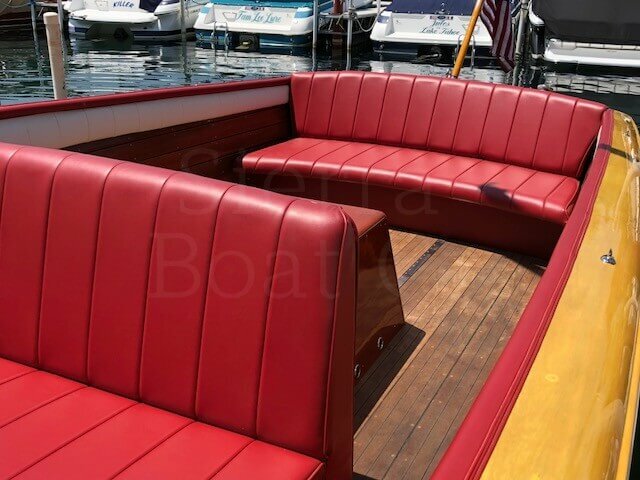 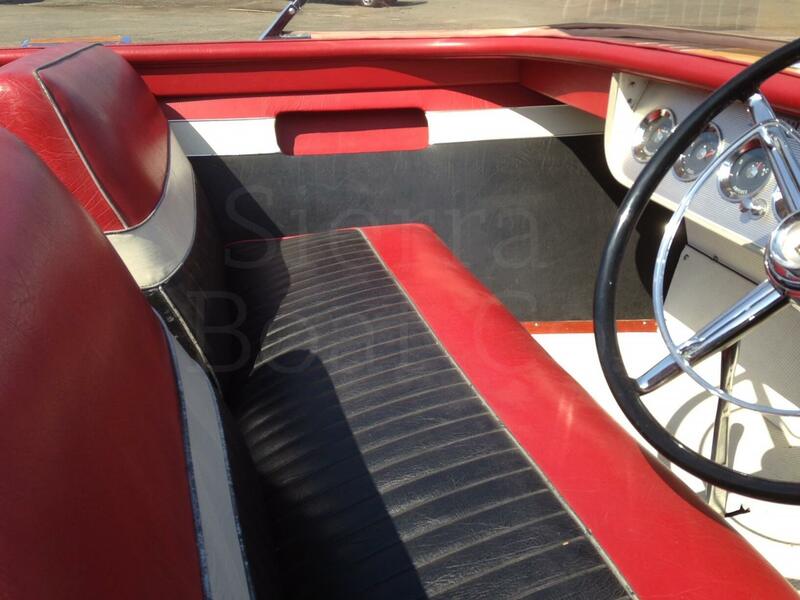 Utility boats are open with bench seats and a box over the engine. 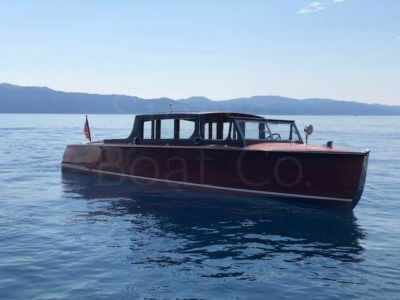 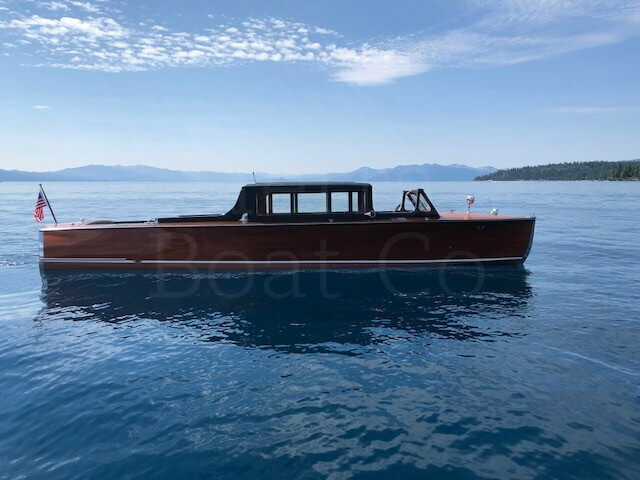 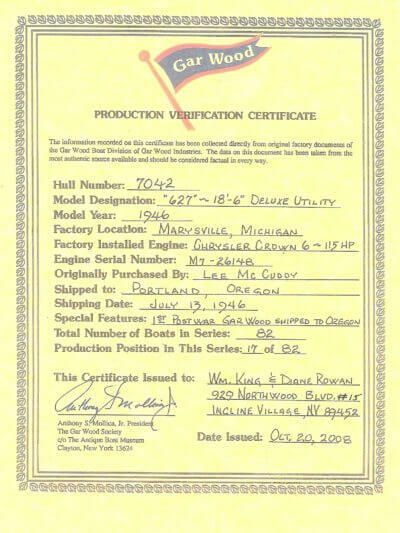 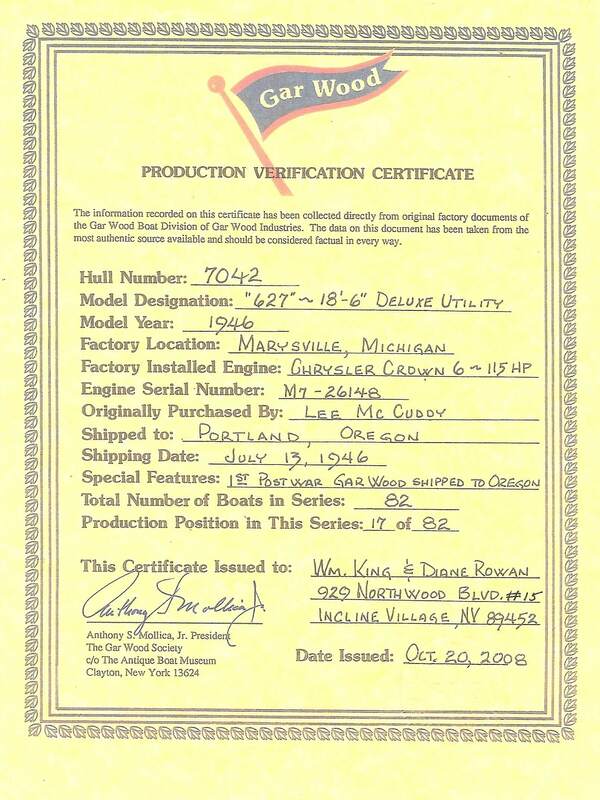 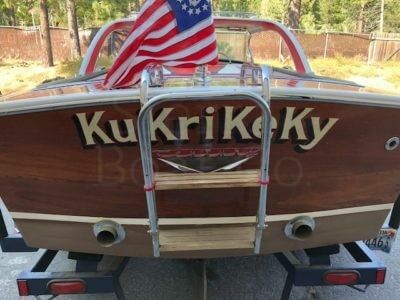 Utility, like the name implies, the utility type boat has more usable space and is more versatile than a comparably sized runabout type boat. 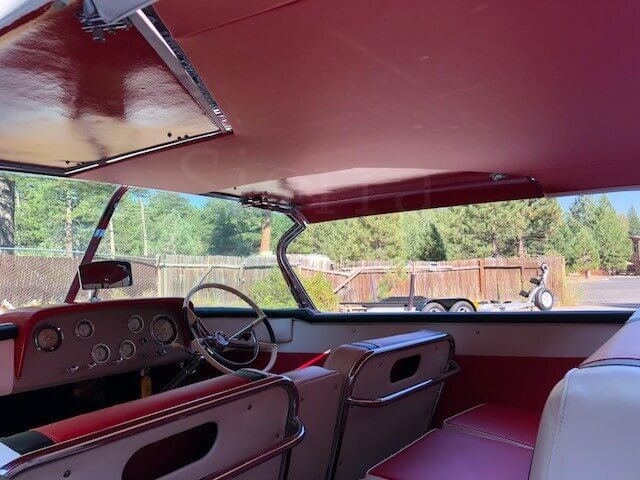 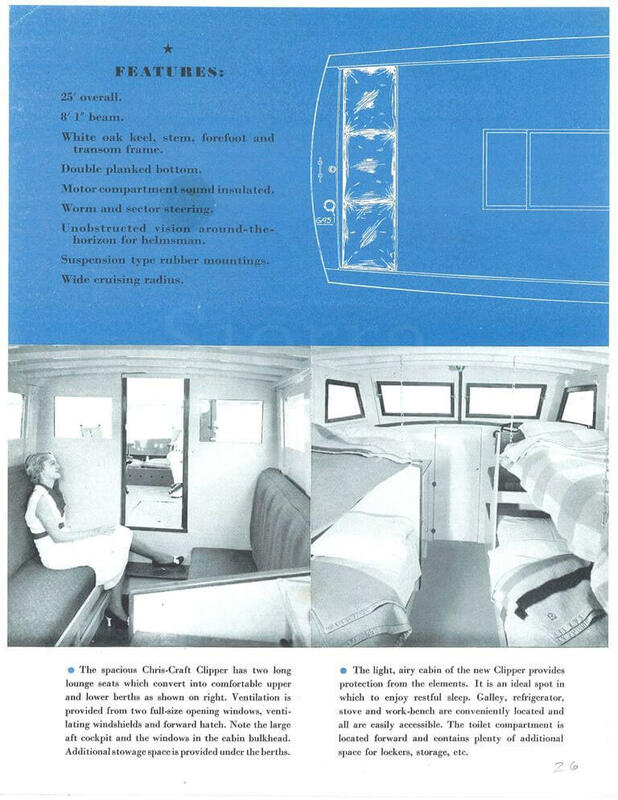 The reason is an open floor plan, usually consisting of a front bench seat, the engine under a box and a bench seat in the rear. Larger models may have a middle seat as well. 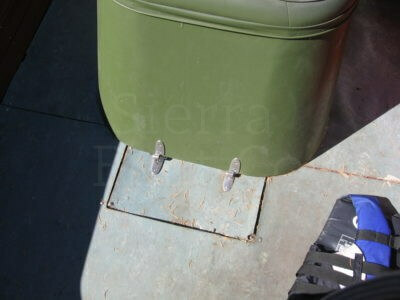 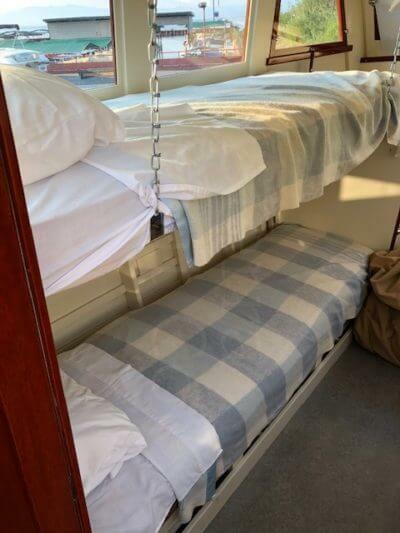 They are easy to get around in and have floor space to stow, skis, ice chests, dogs etc. 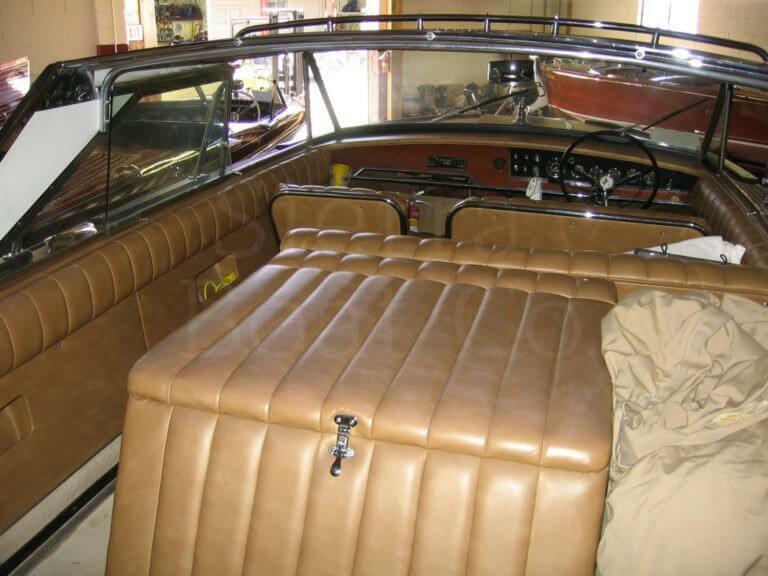 Think of it a a family station wagon. 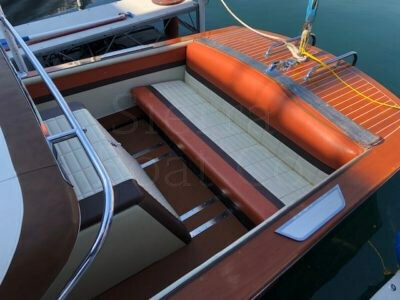 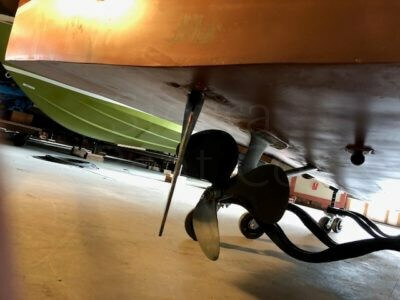 with a proper power, they are also suitable for watersports, including water skiing and wakeboarding. 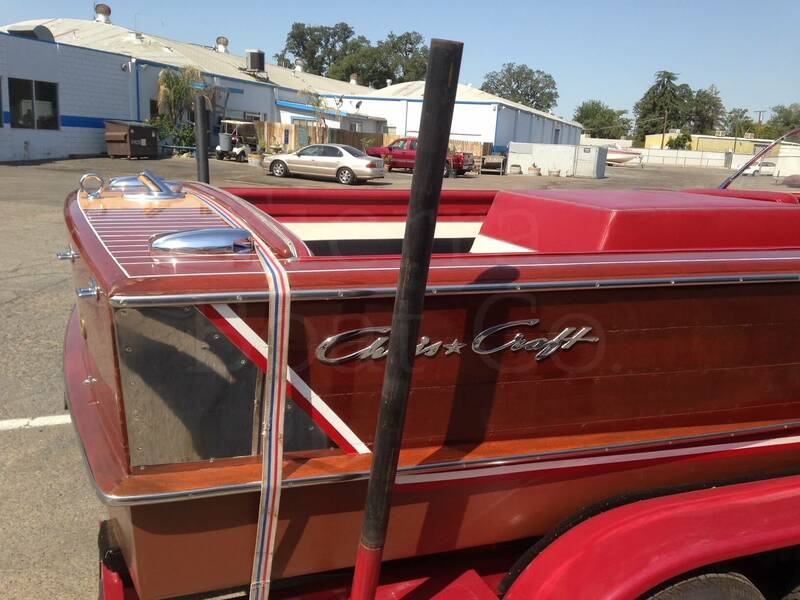 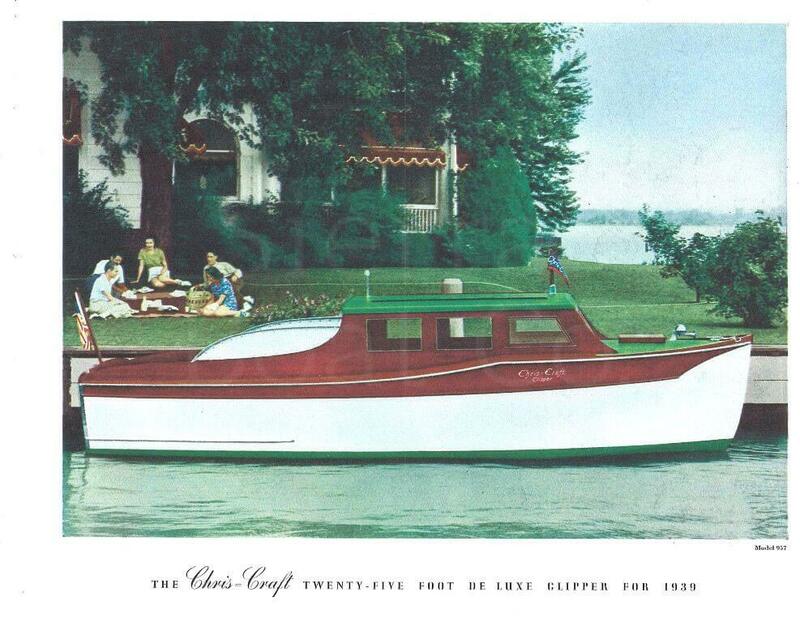 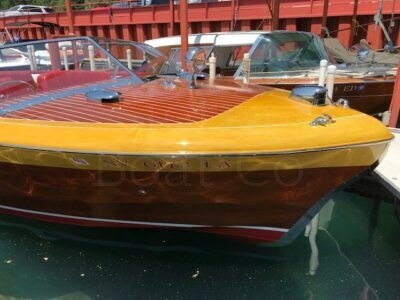 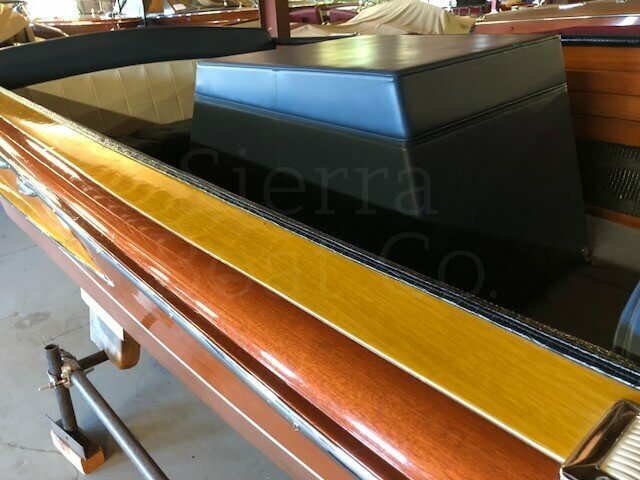 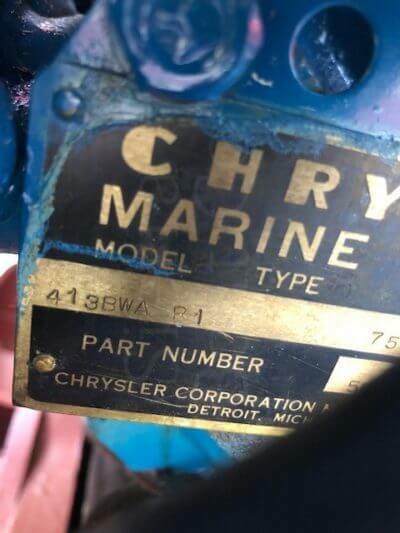 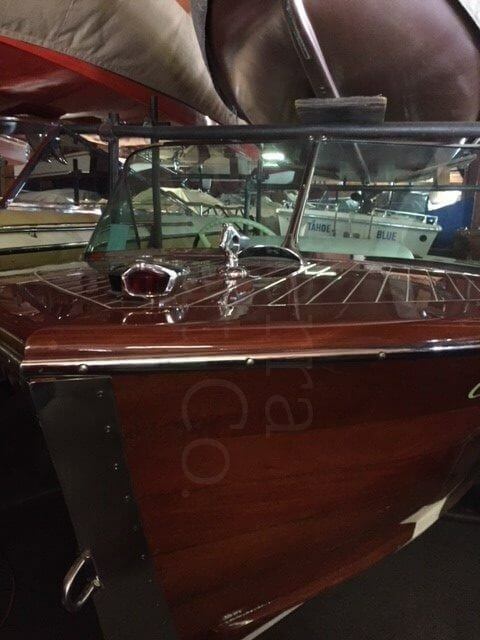 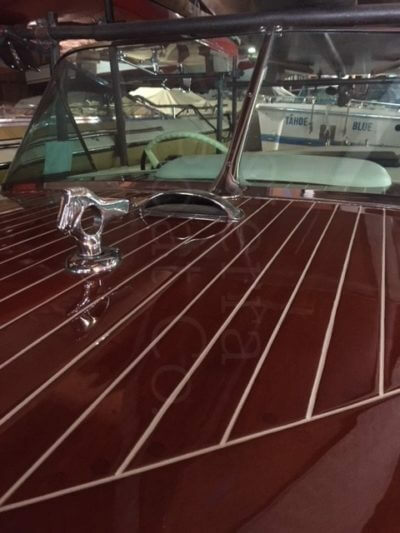 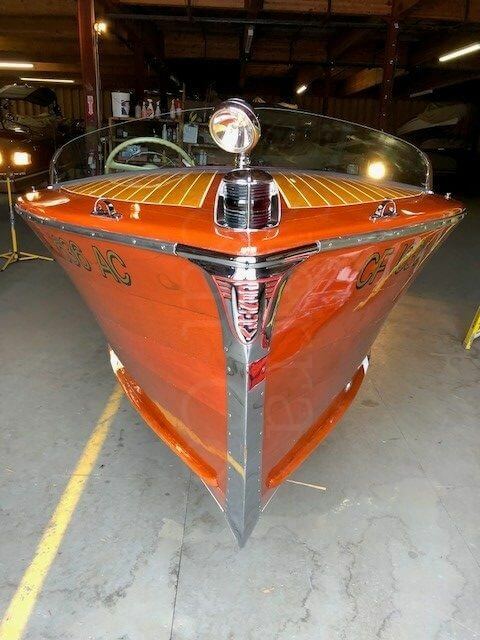 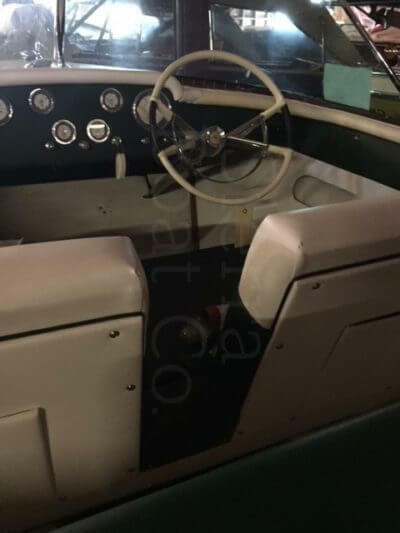 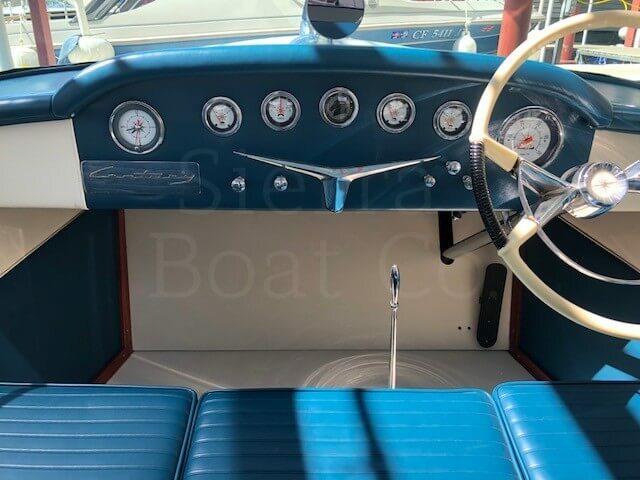 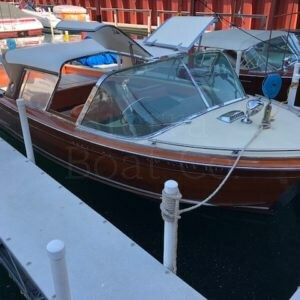 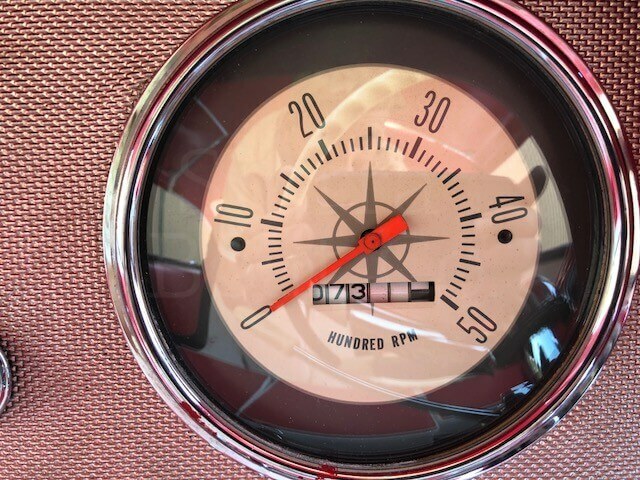 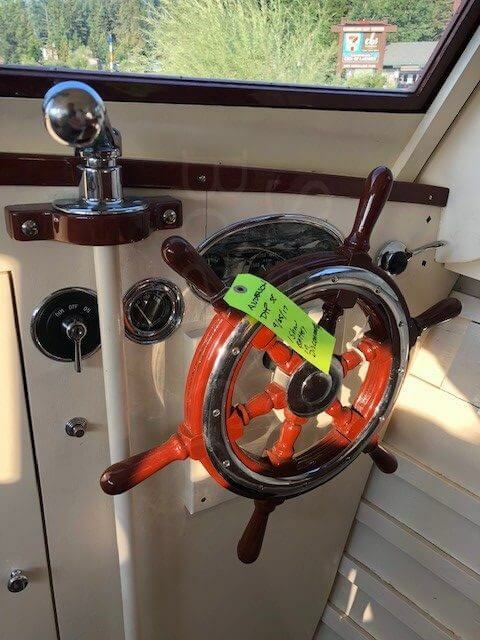 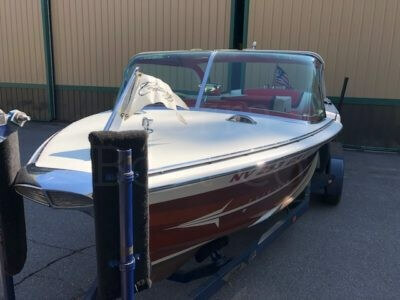 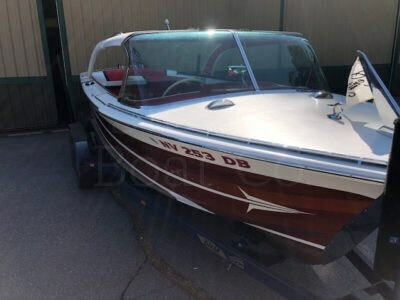 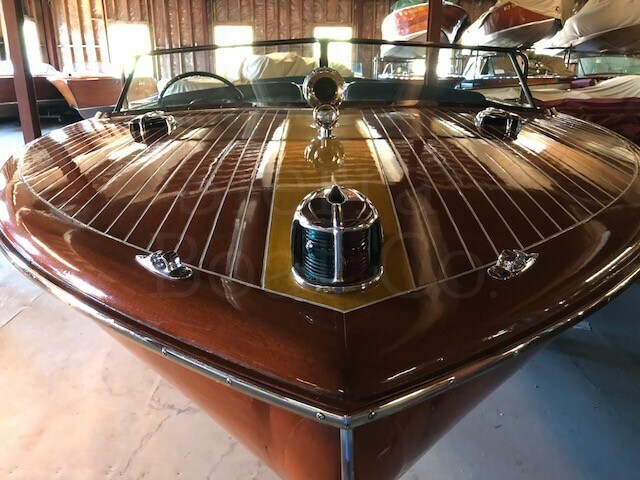 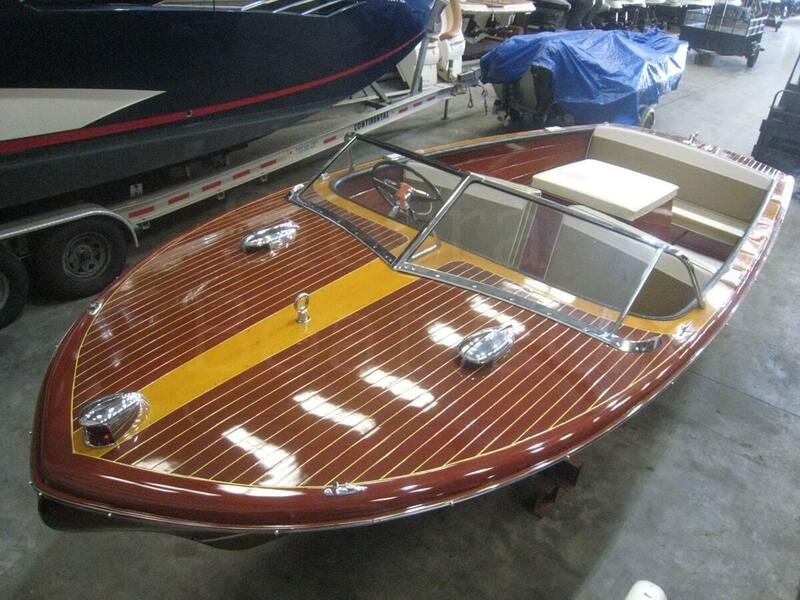 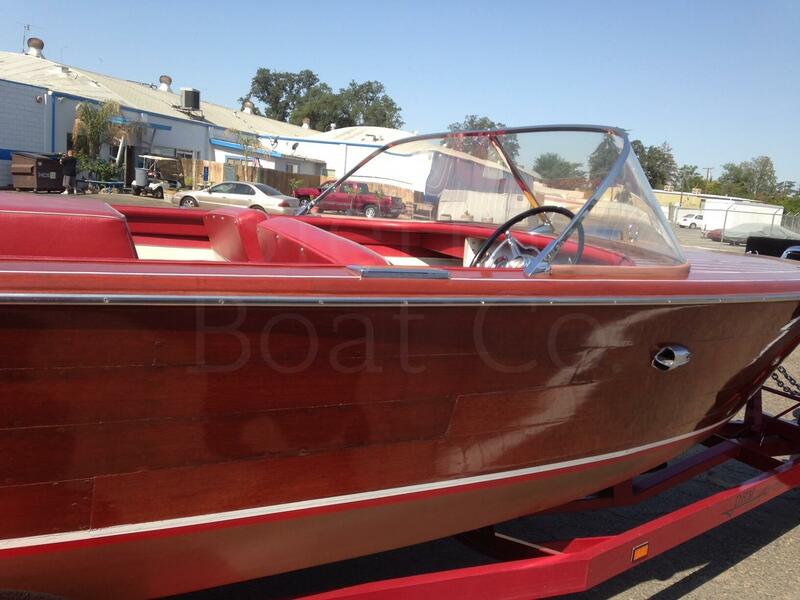 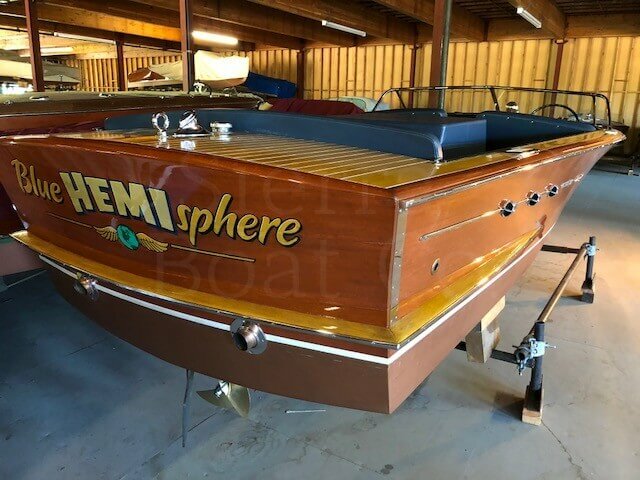 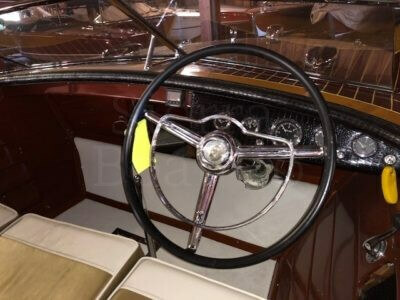 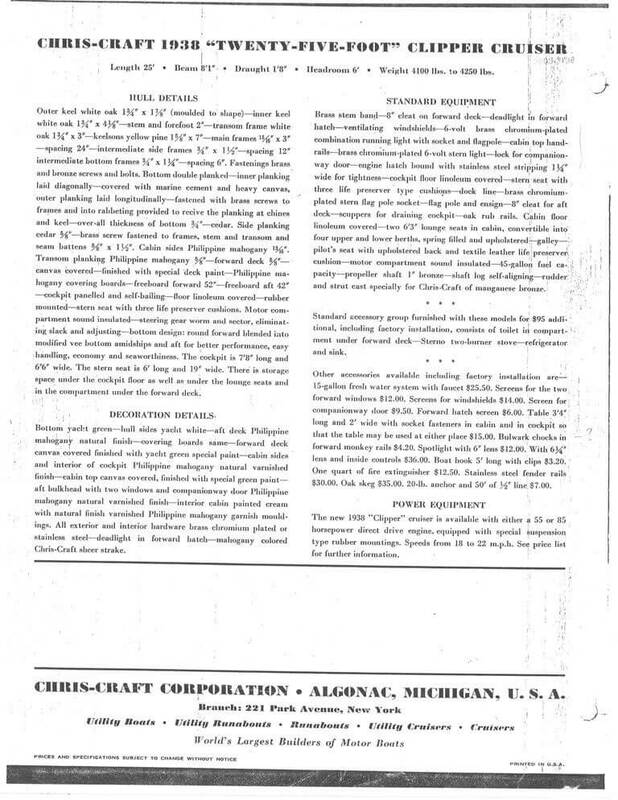 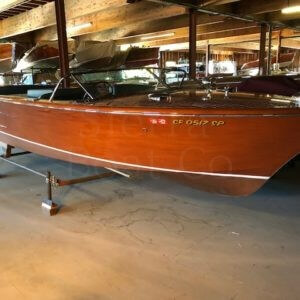 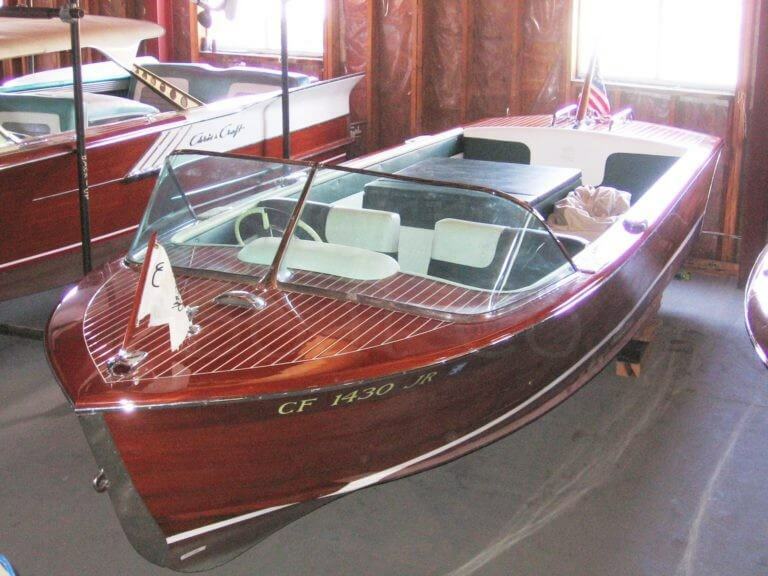 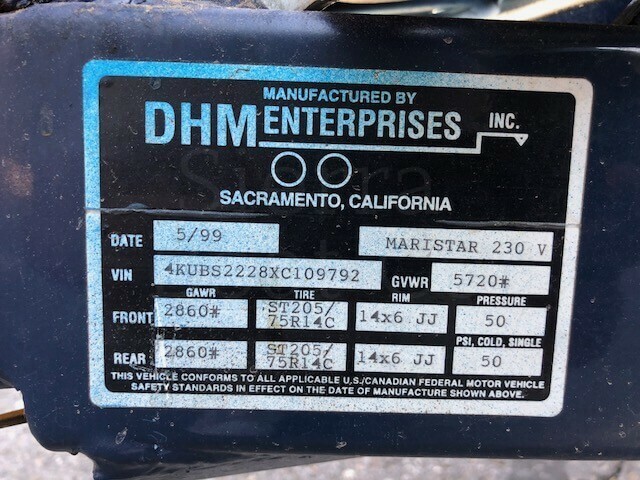 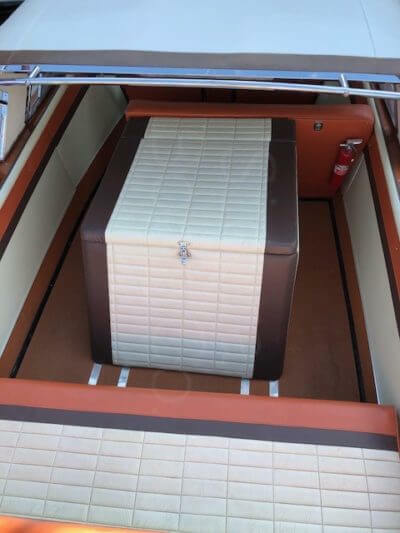 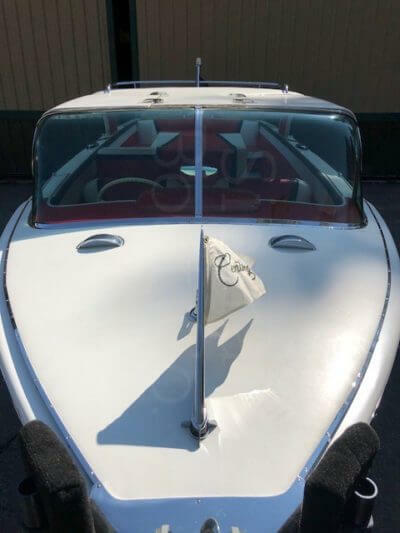 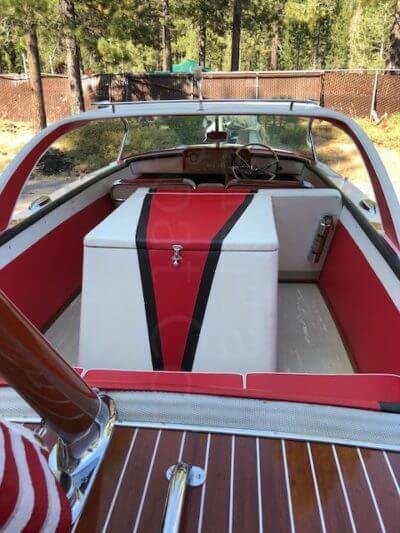 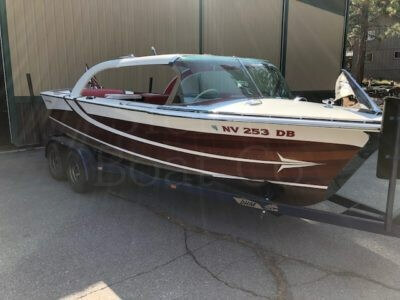 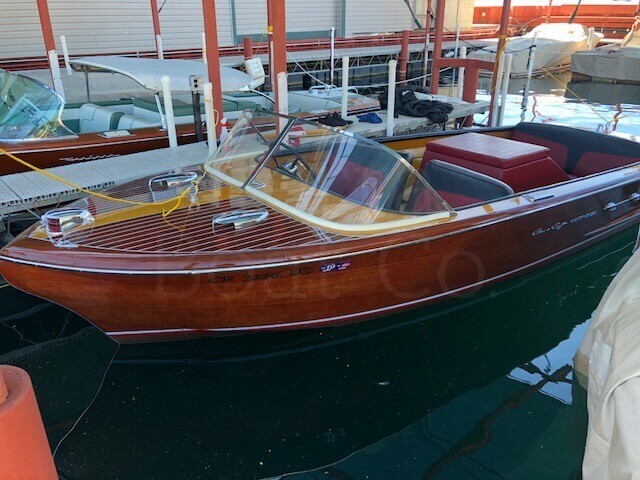 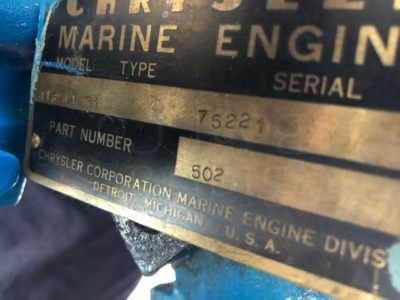 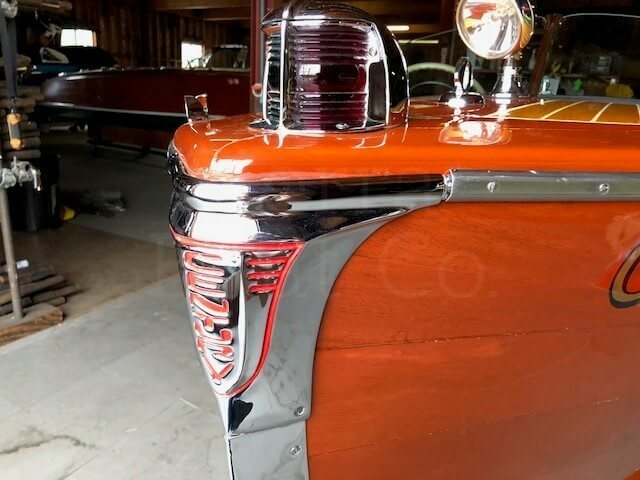 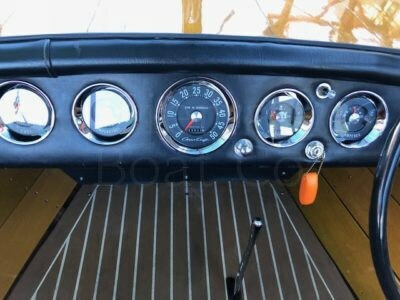 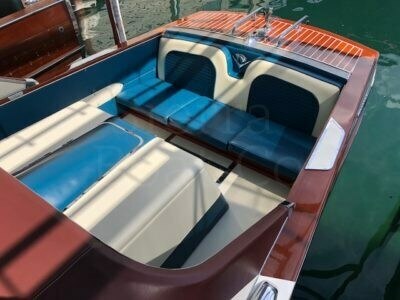 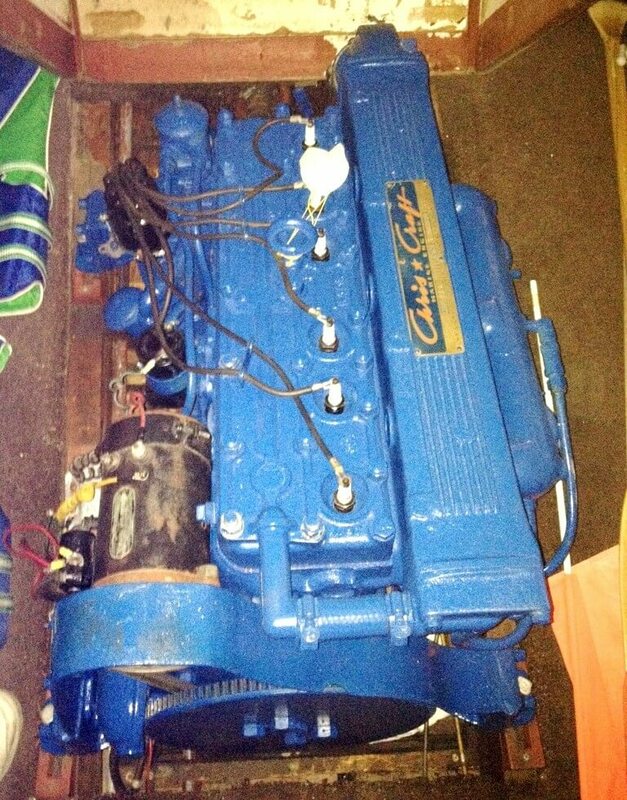 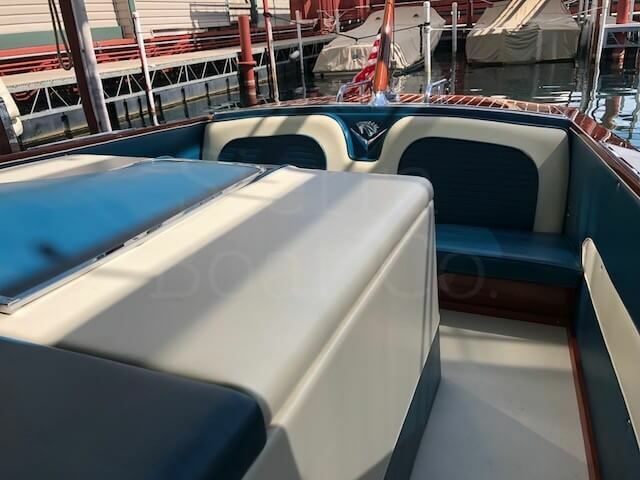 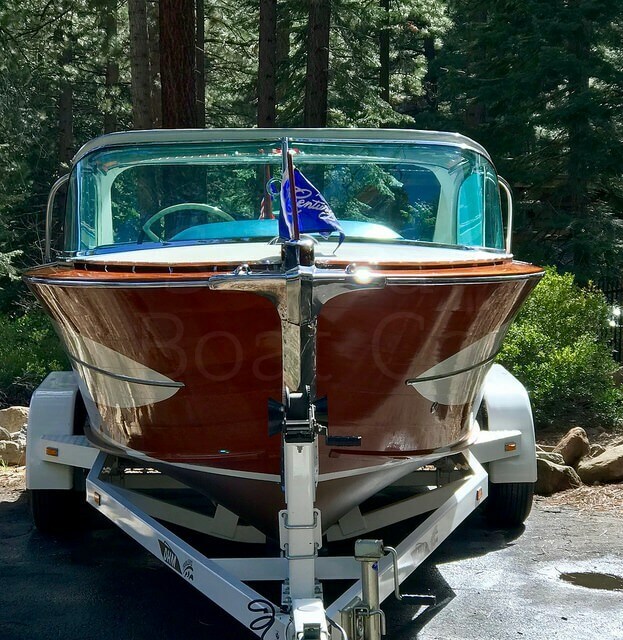 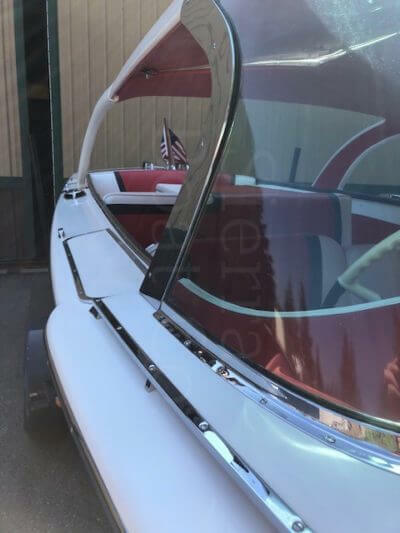 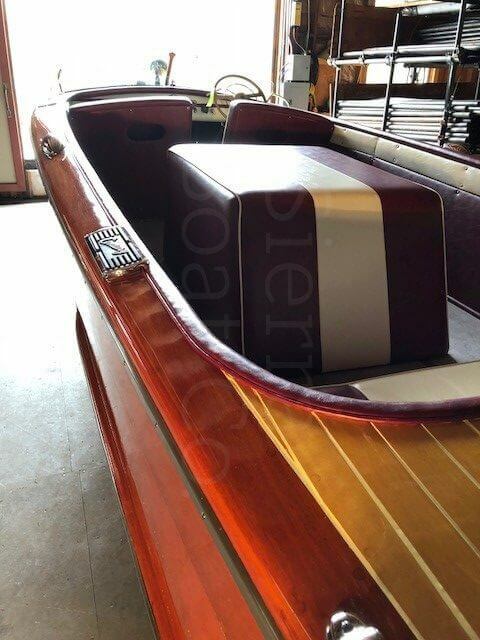 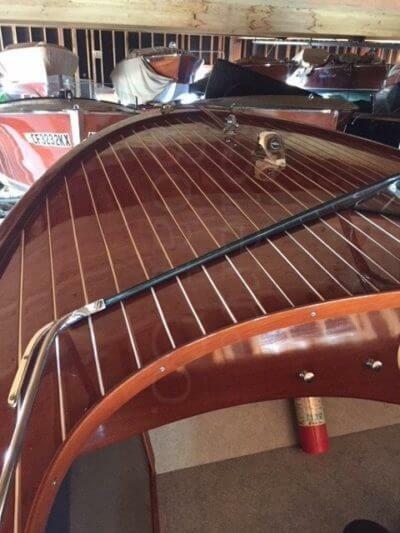 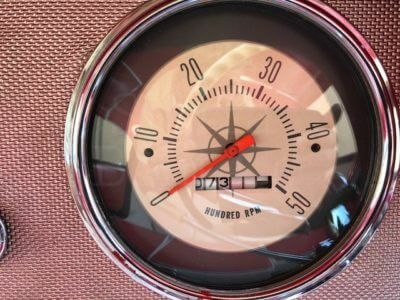 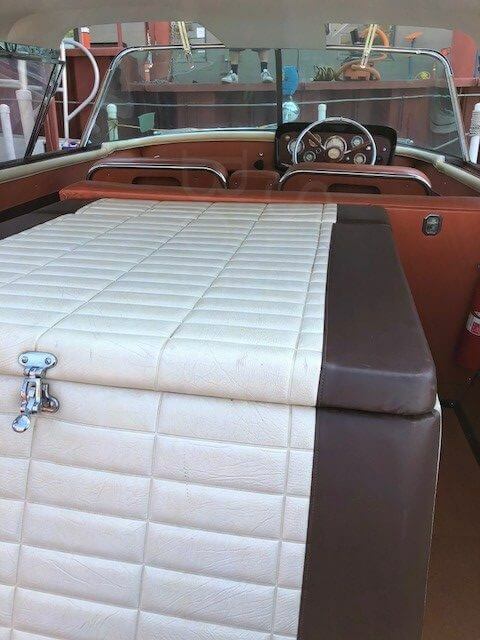 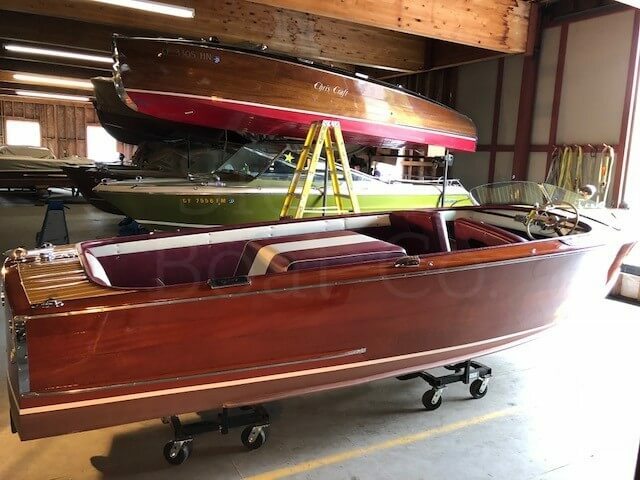 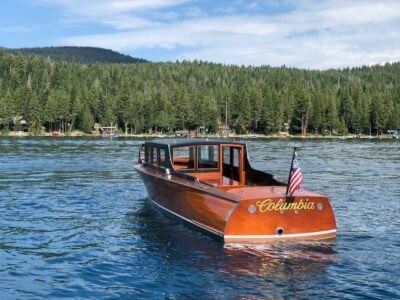 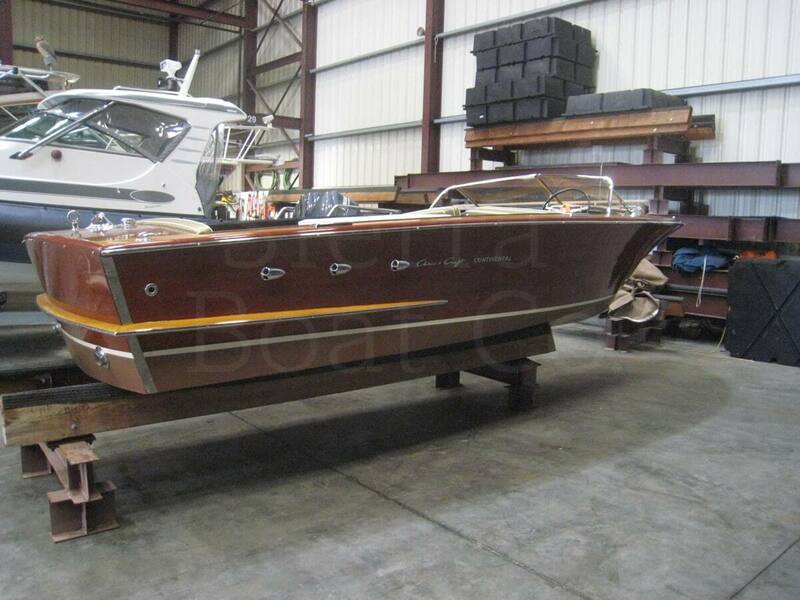 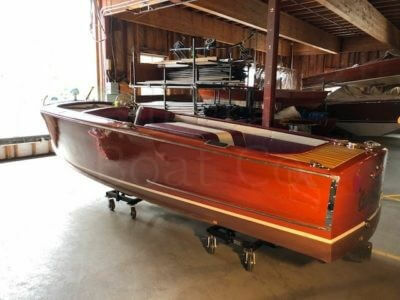 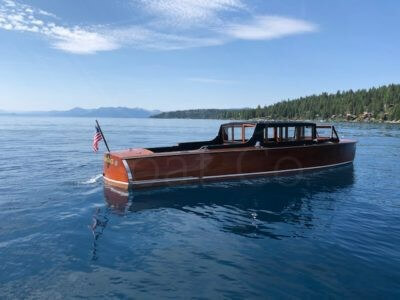 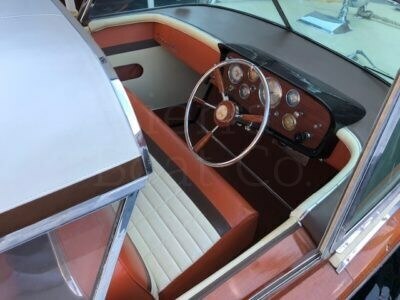 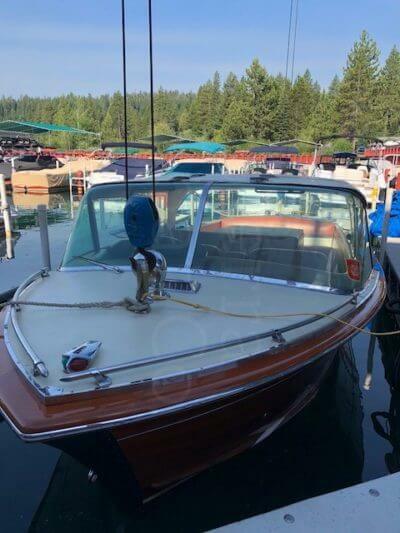 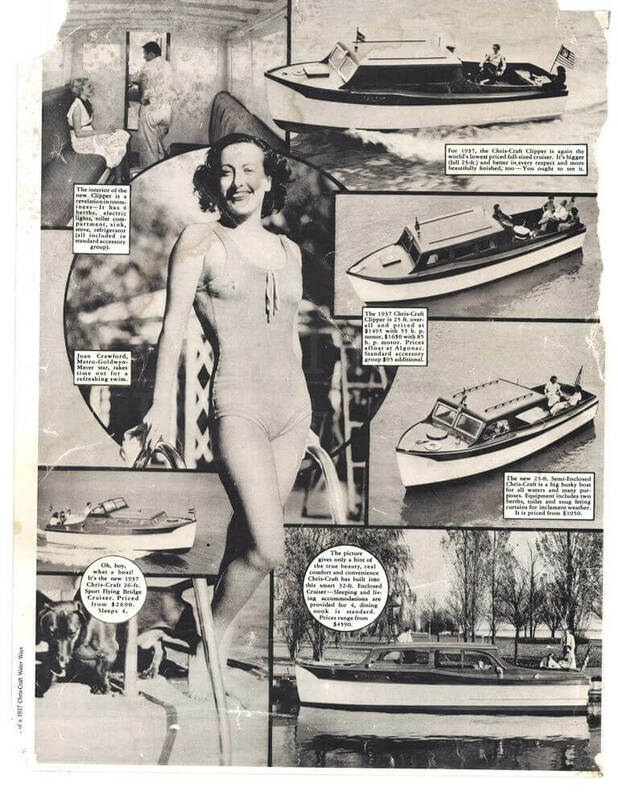 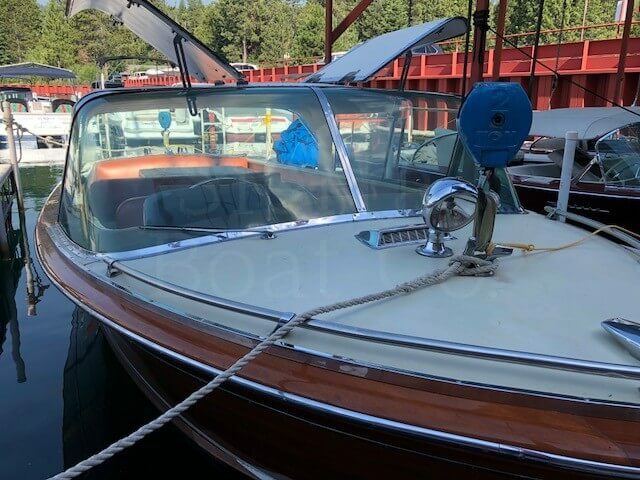 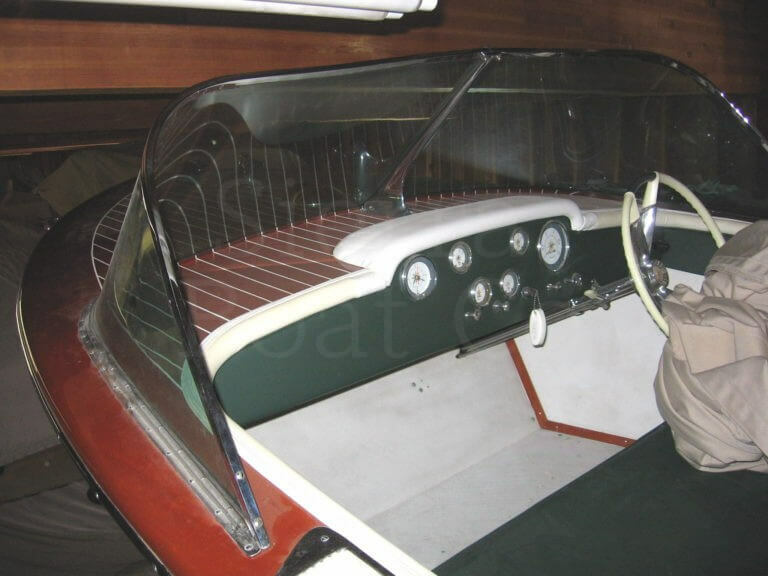 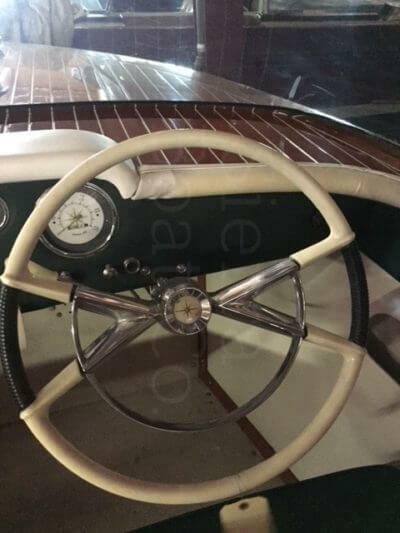 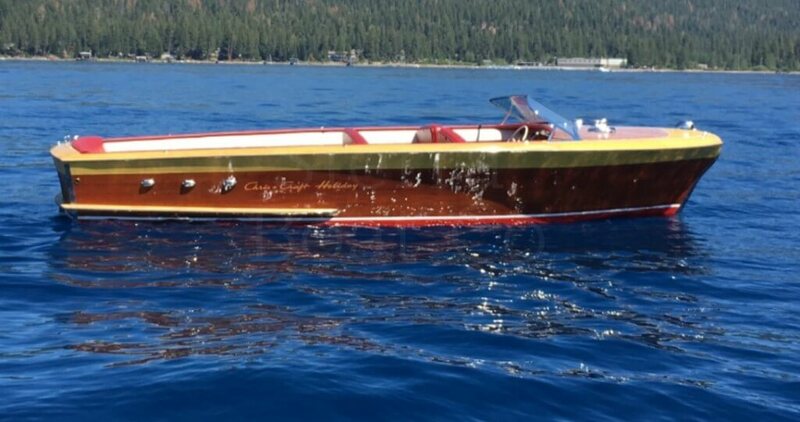 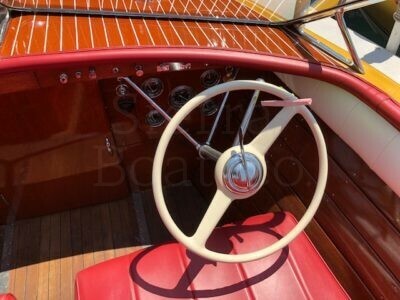 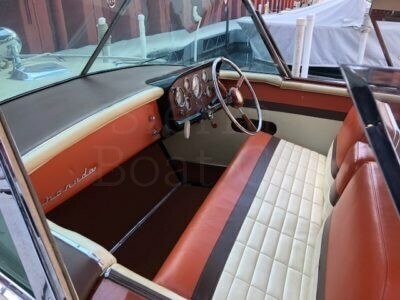 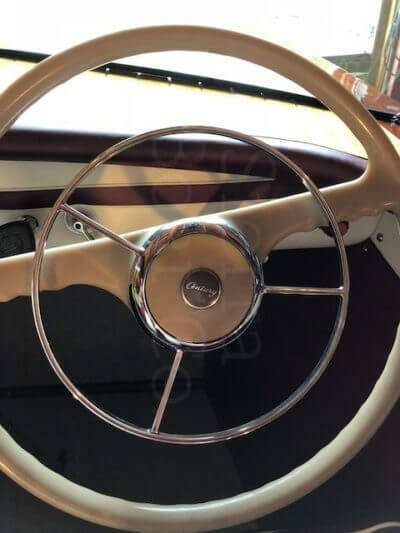 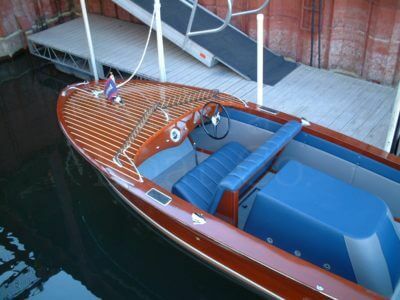 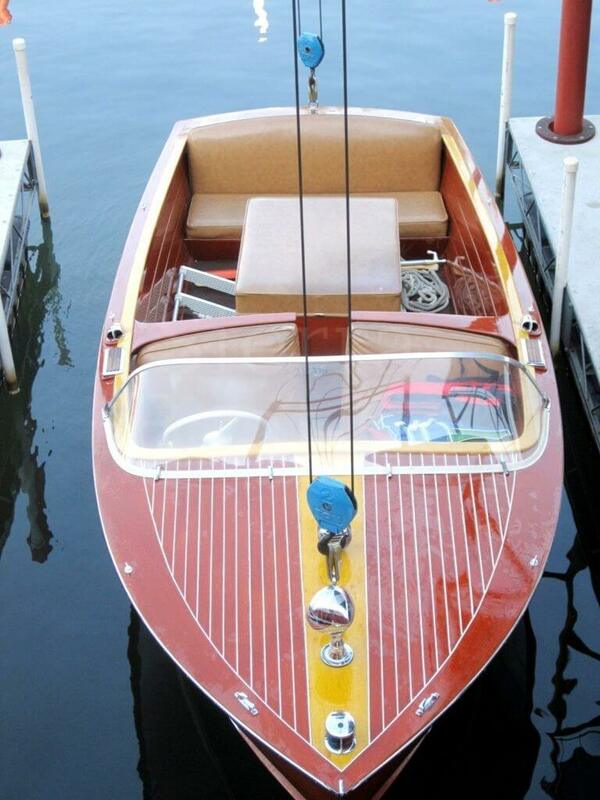 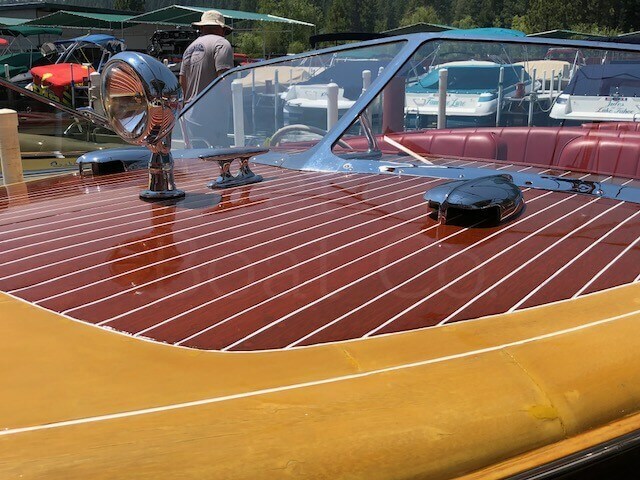 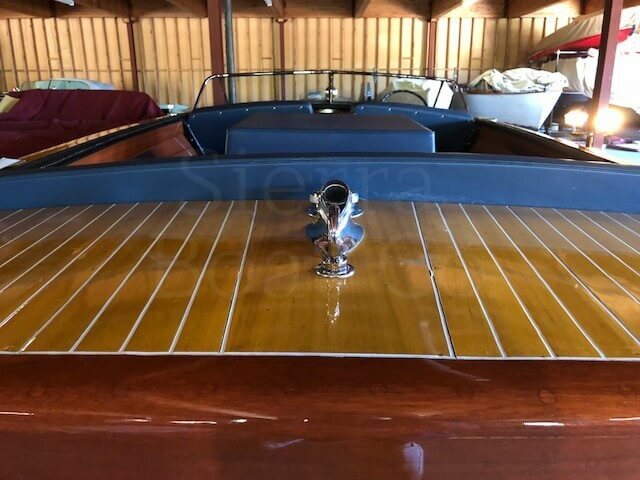 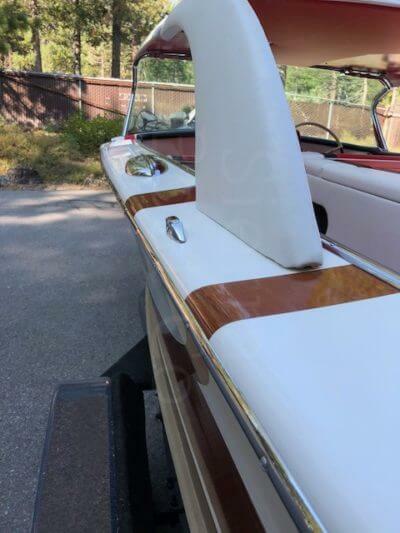 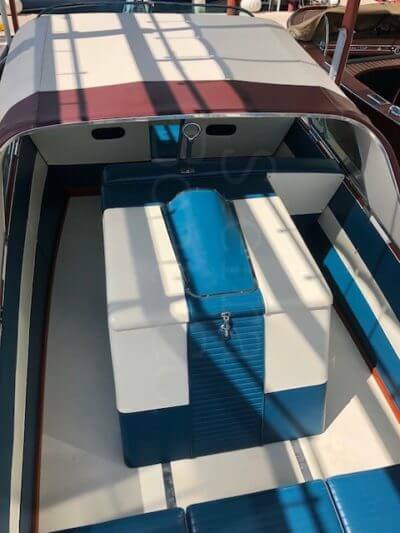 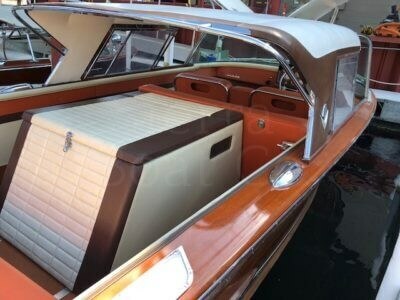 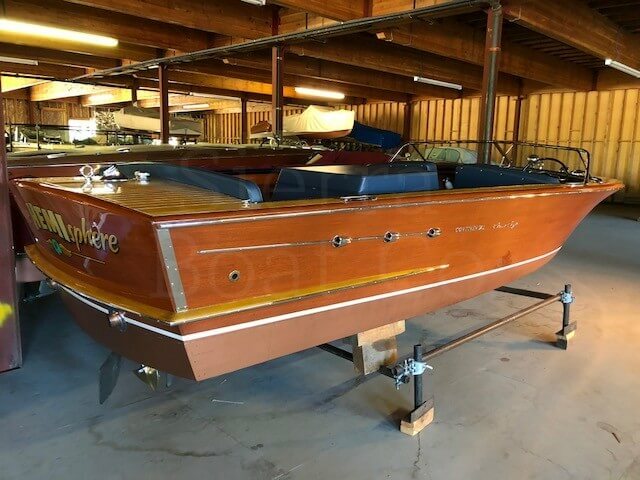 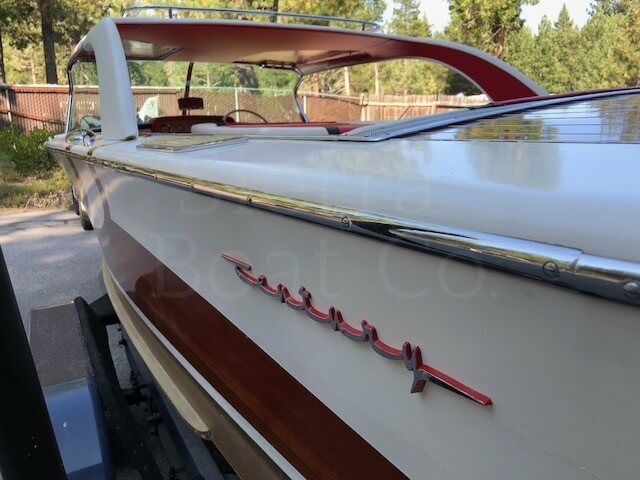 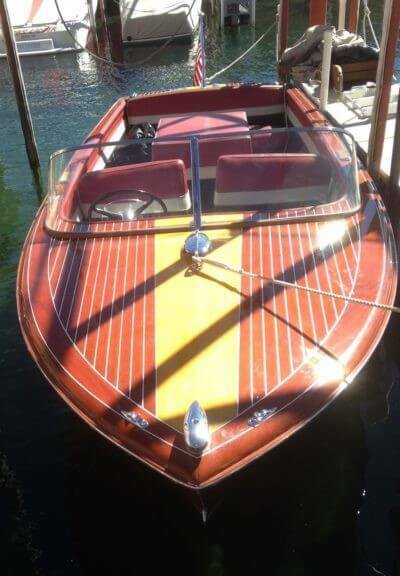 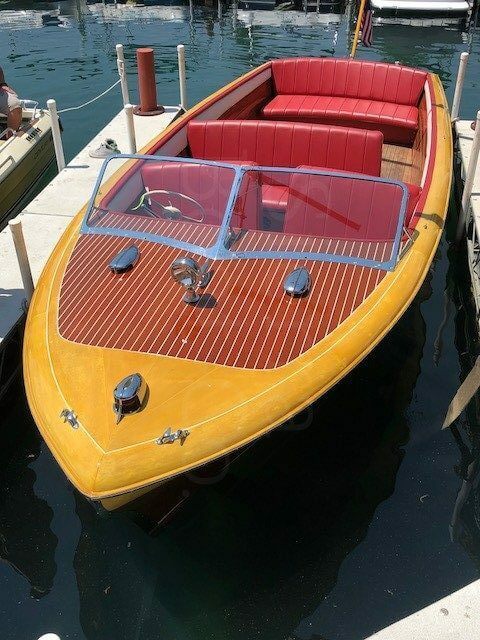 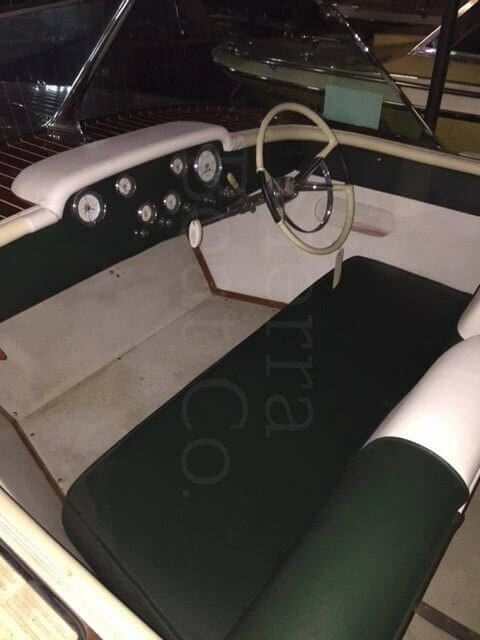 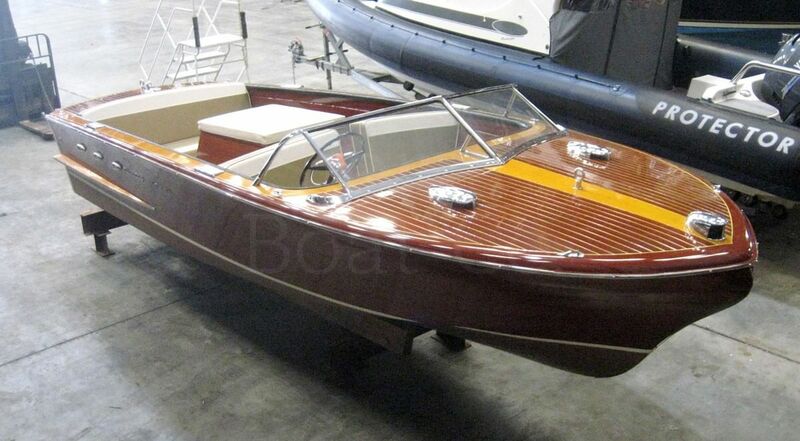 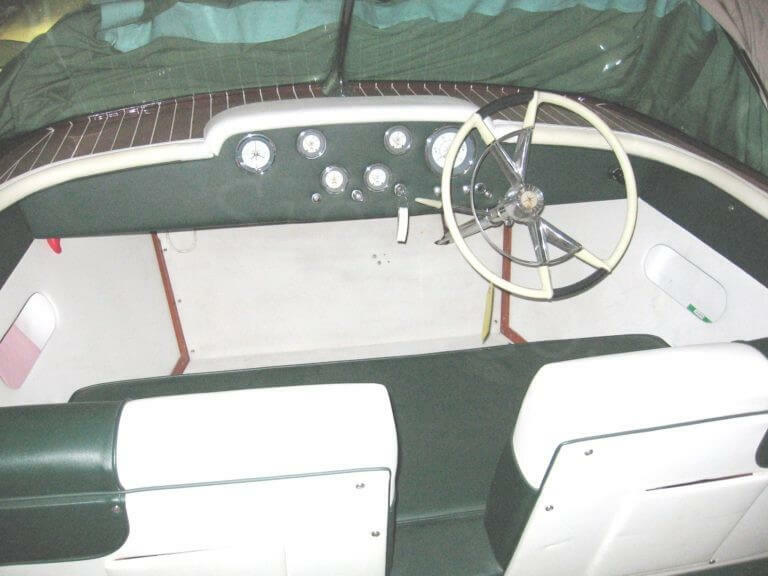 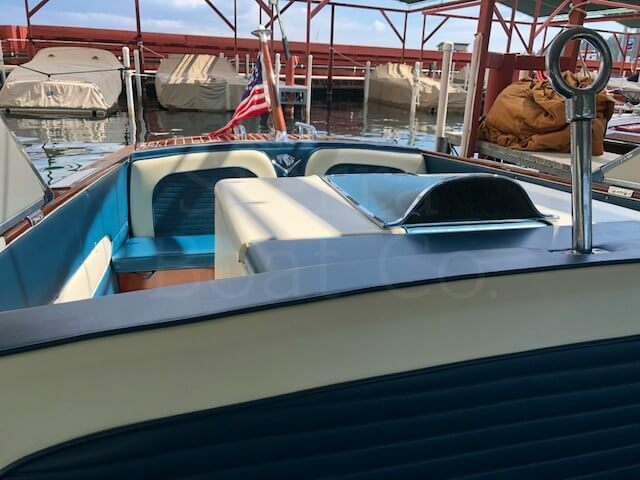 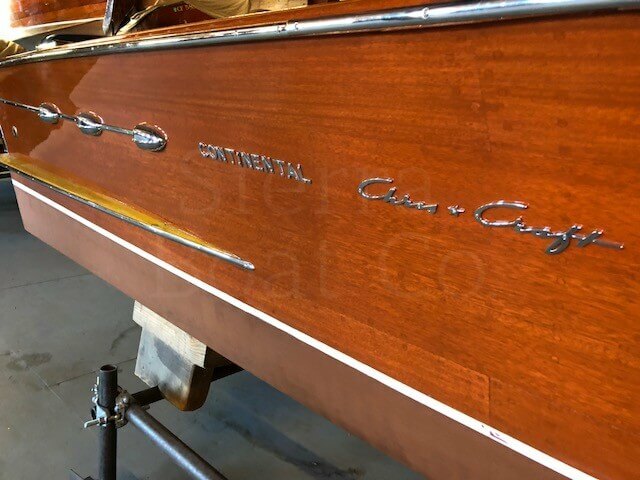 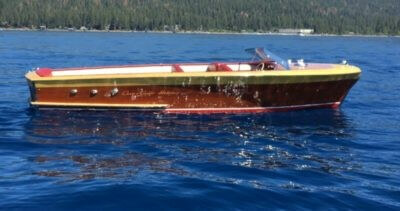 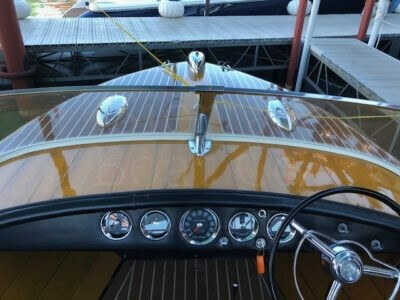 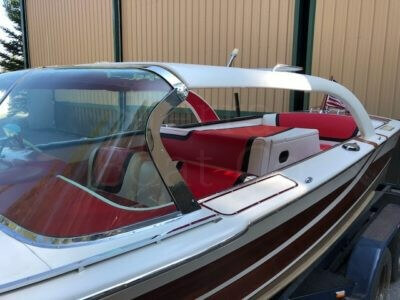 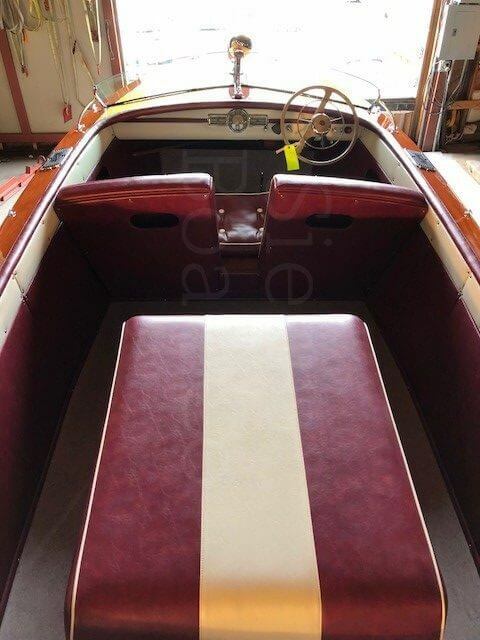 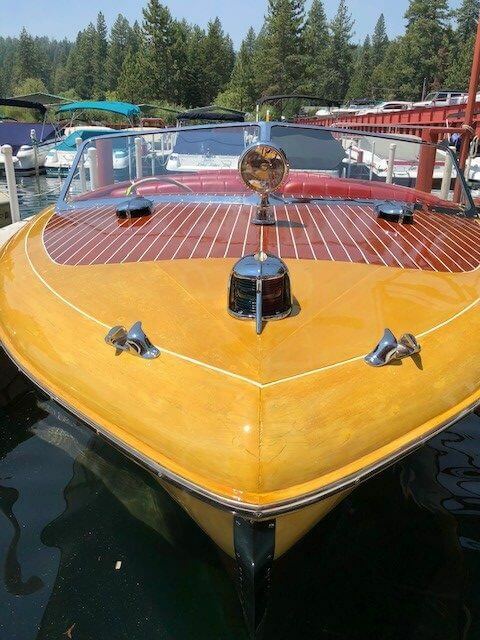 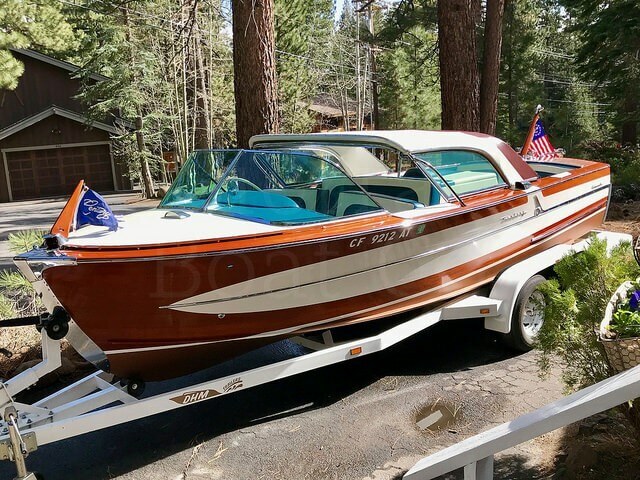 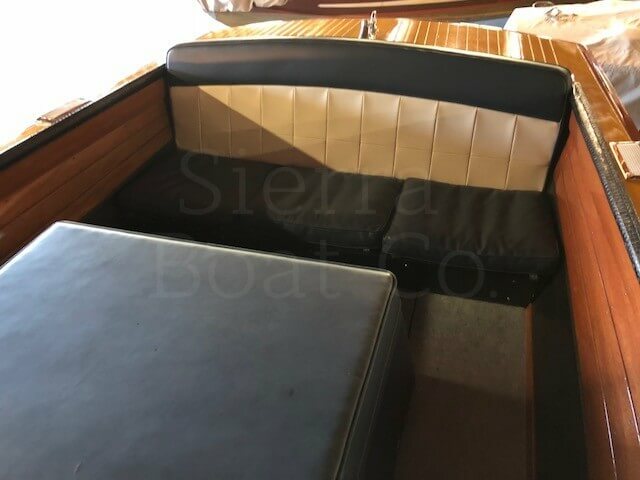 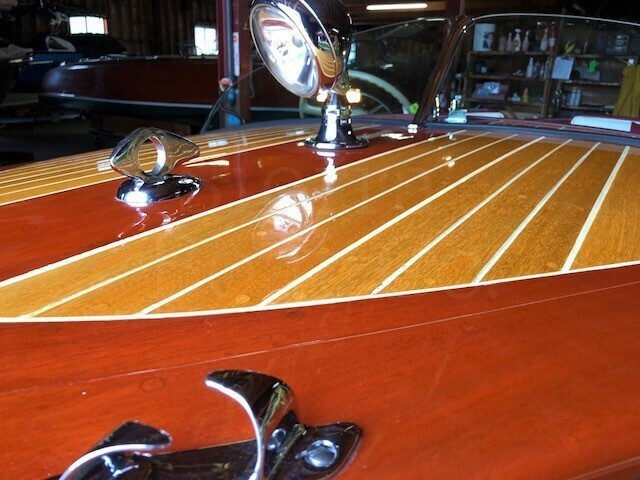 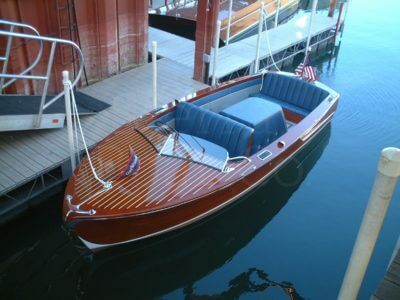 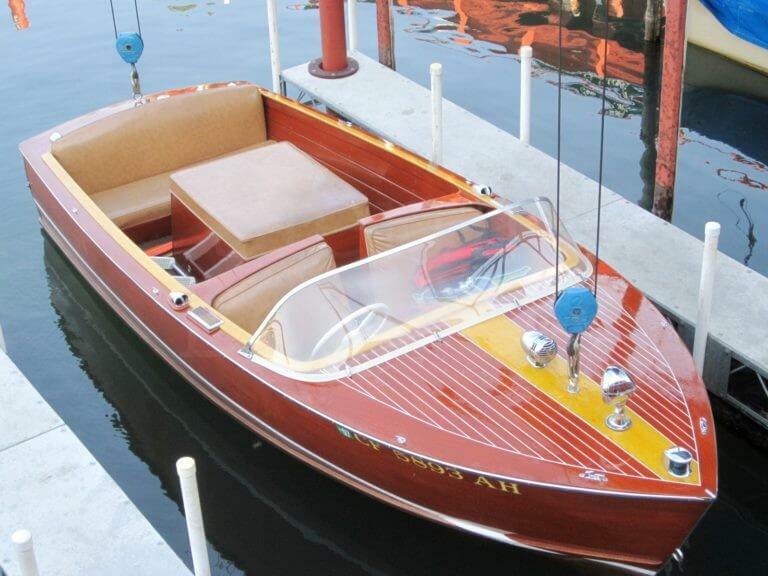 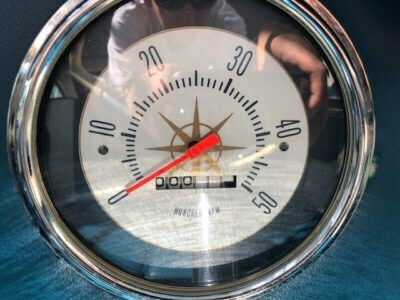 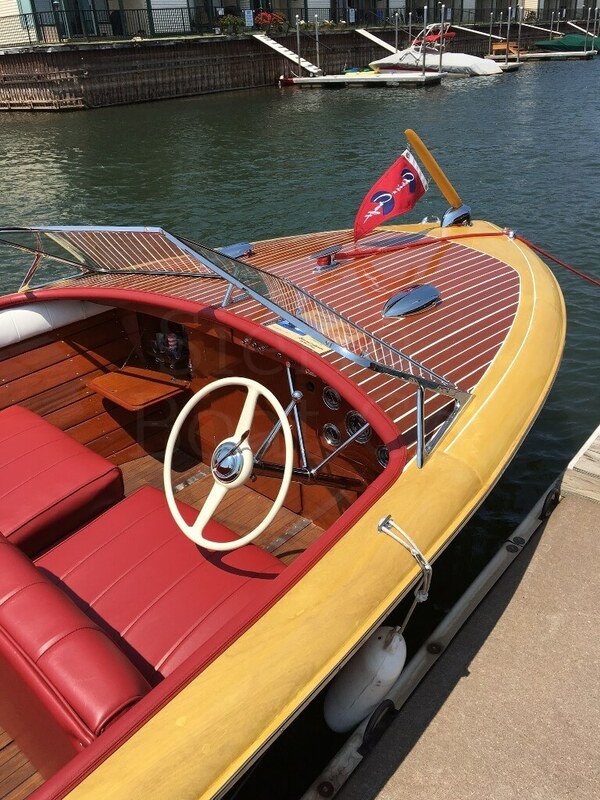 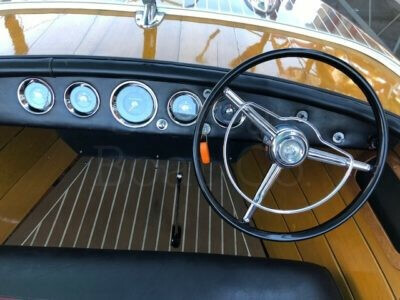 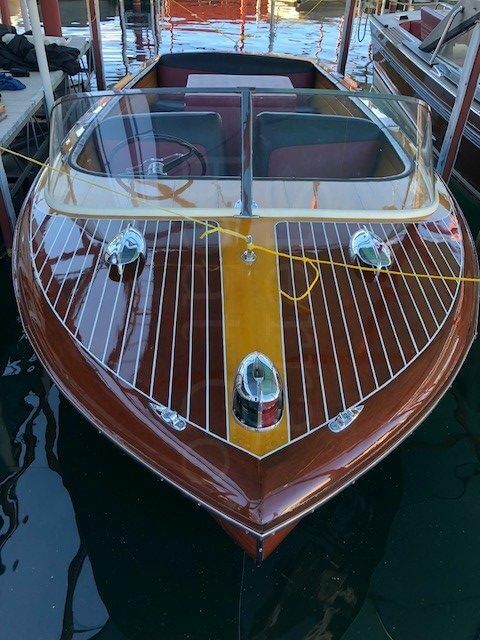 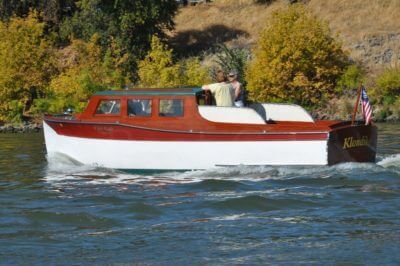 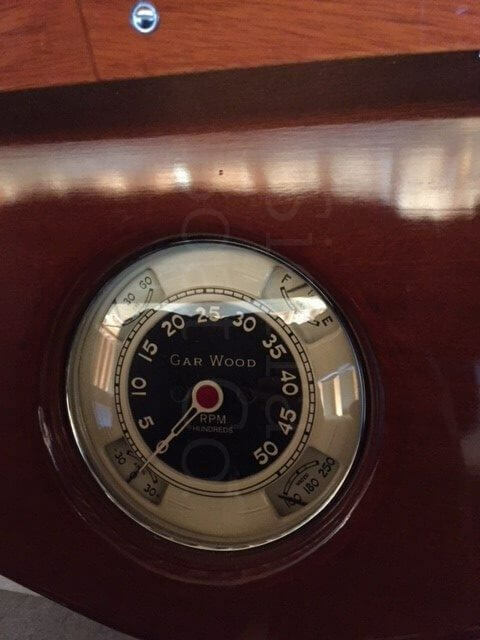 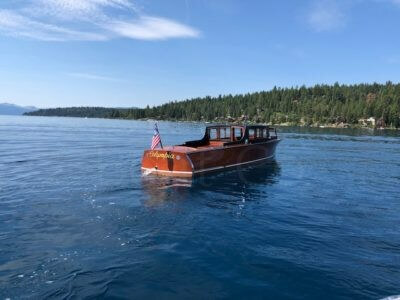 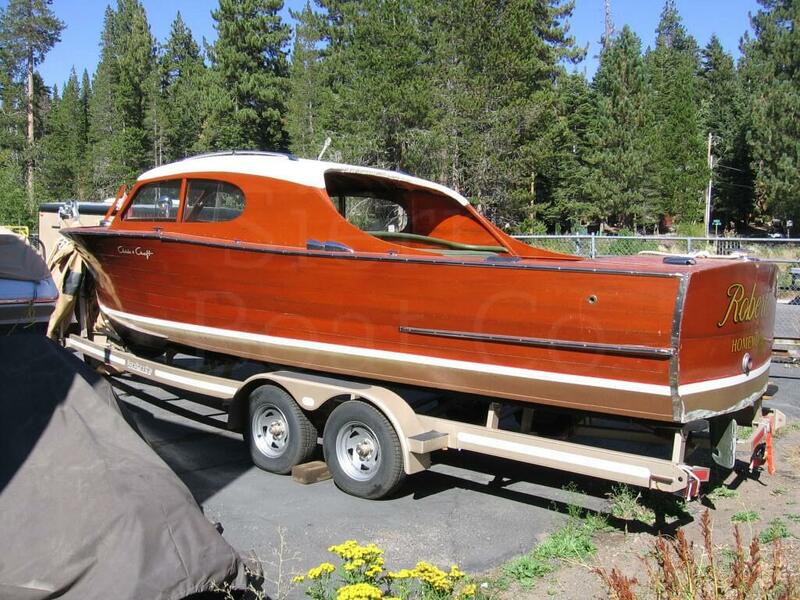 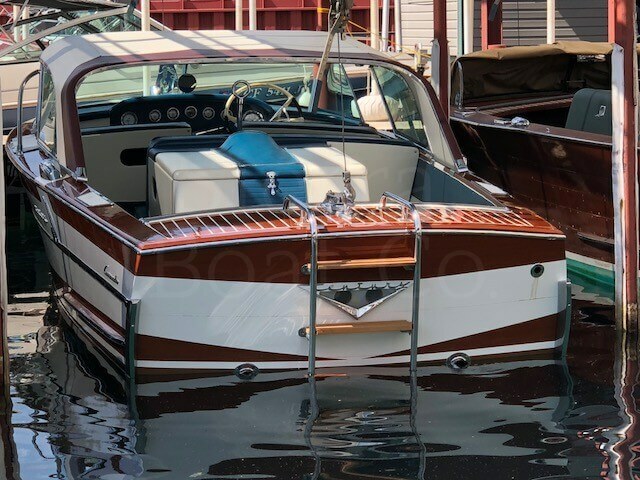 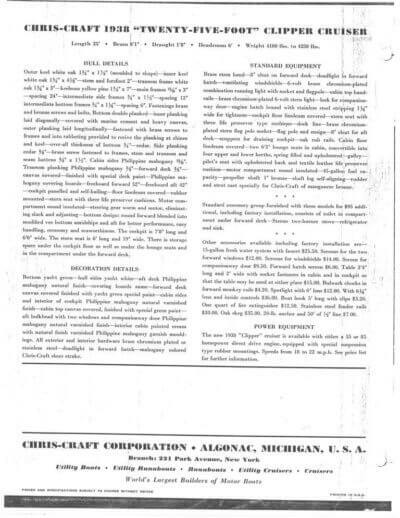 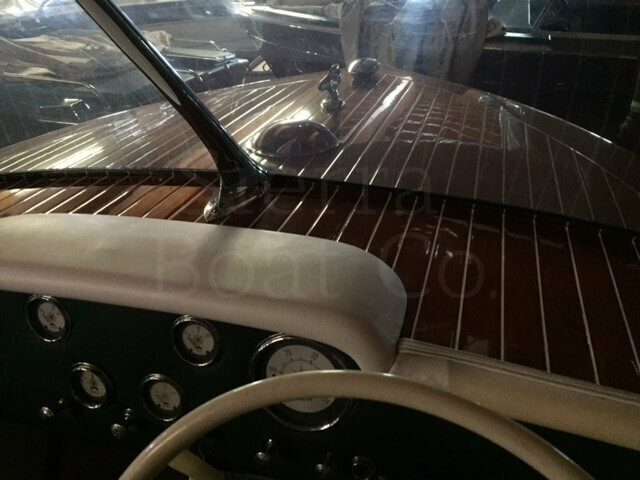 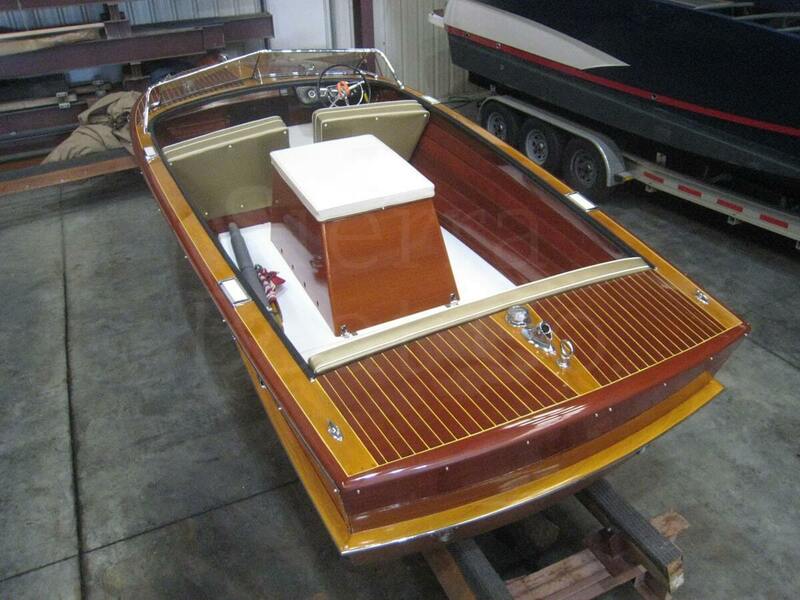 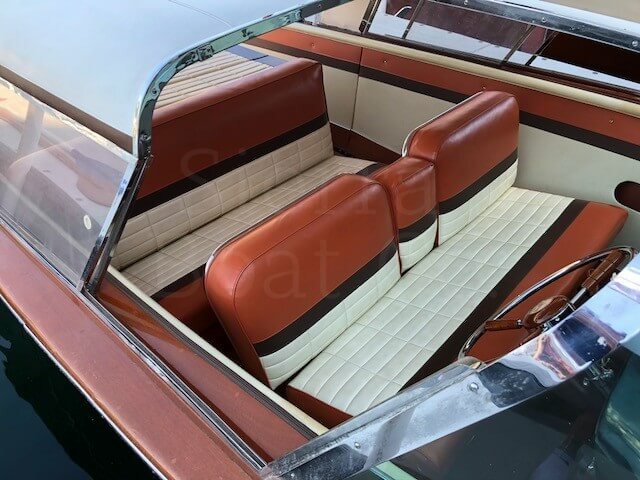 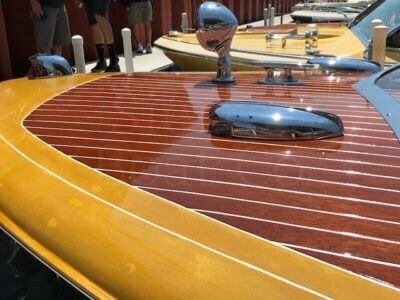 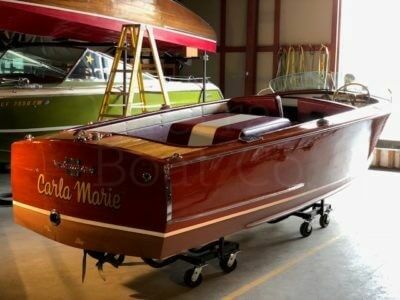 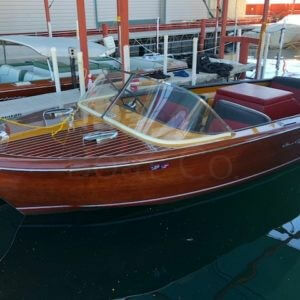 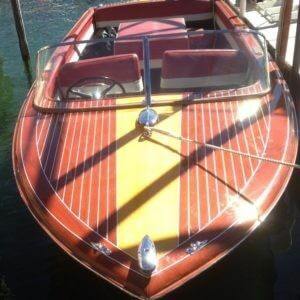 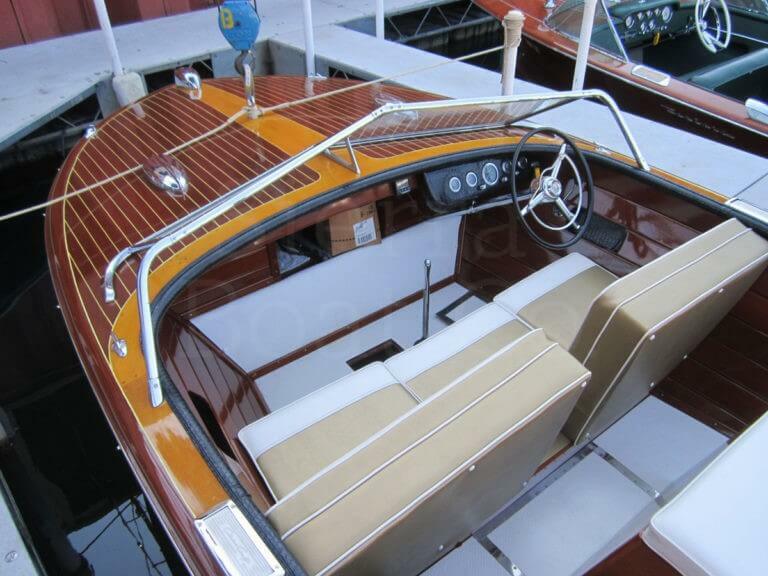 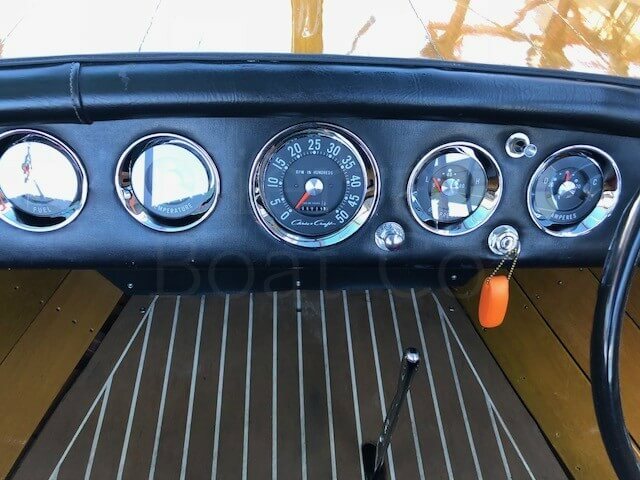 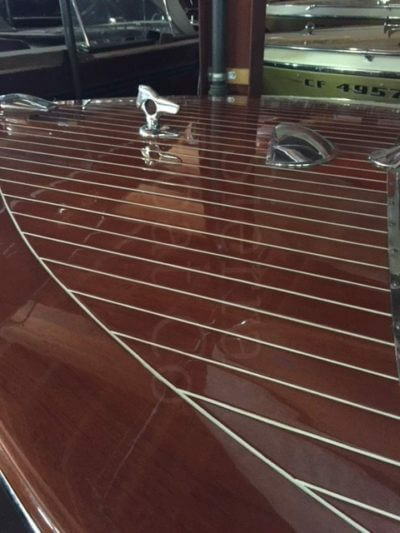 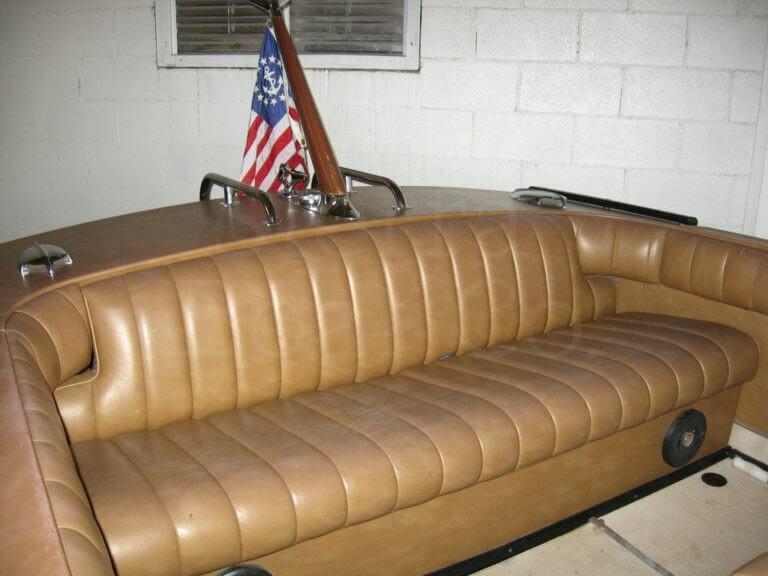 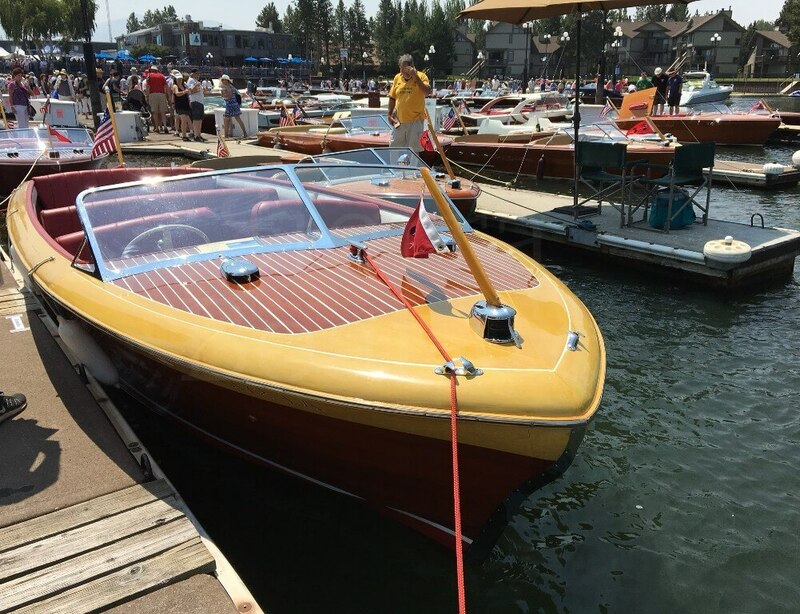 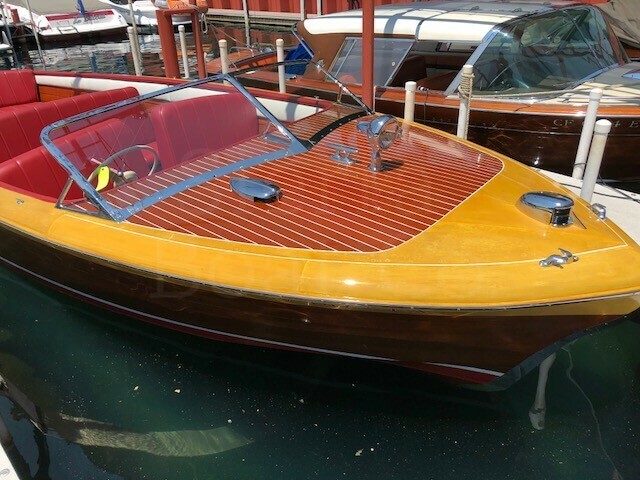 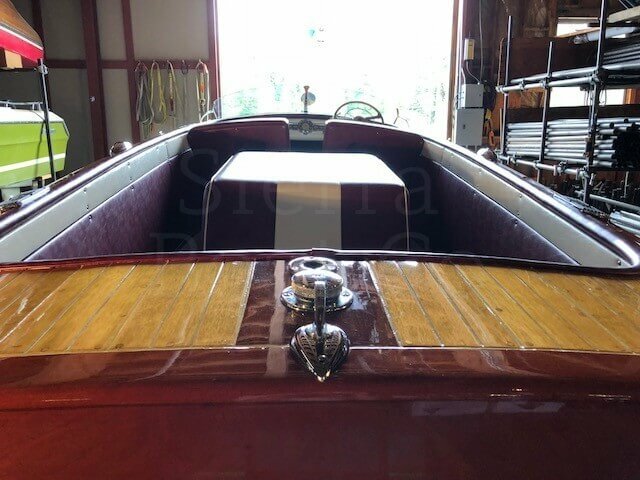 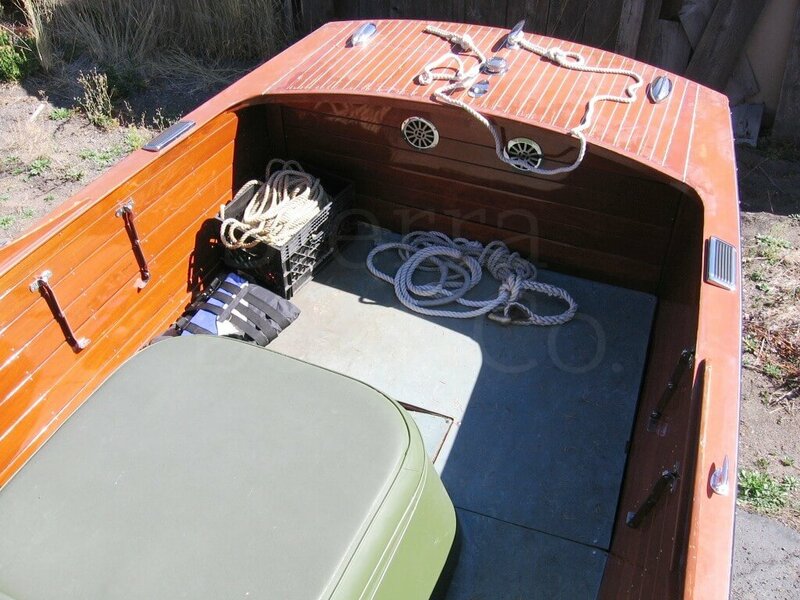 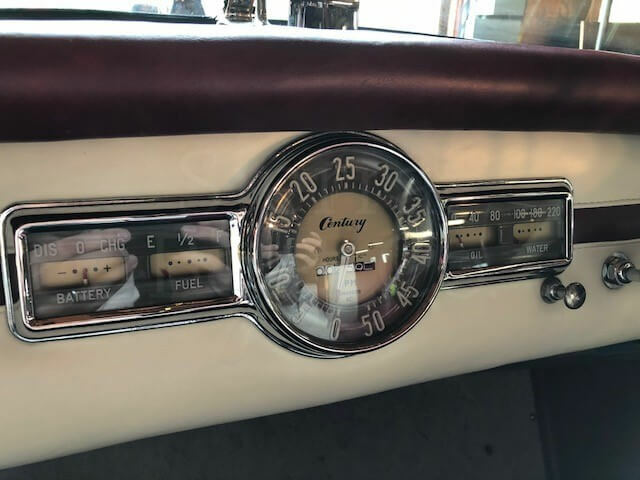 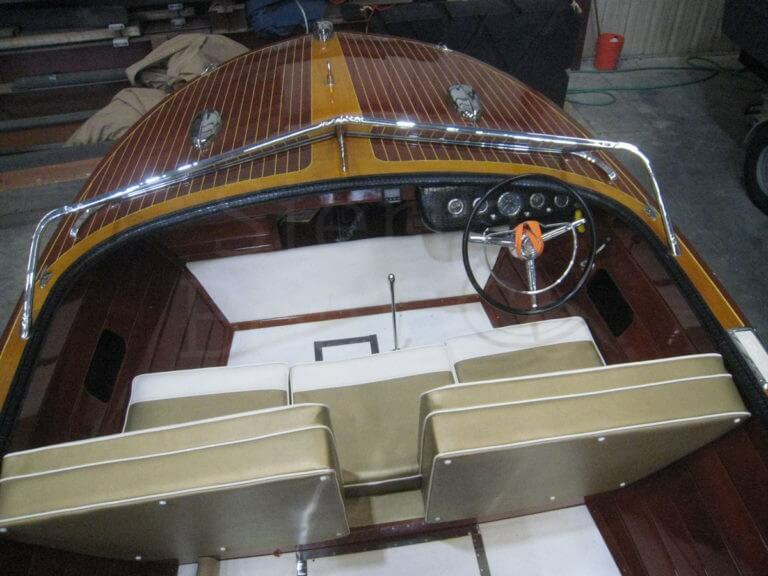 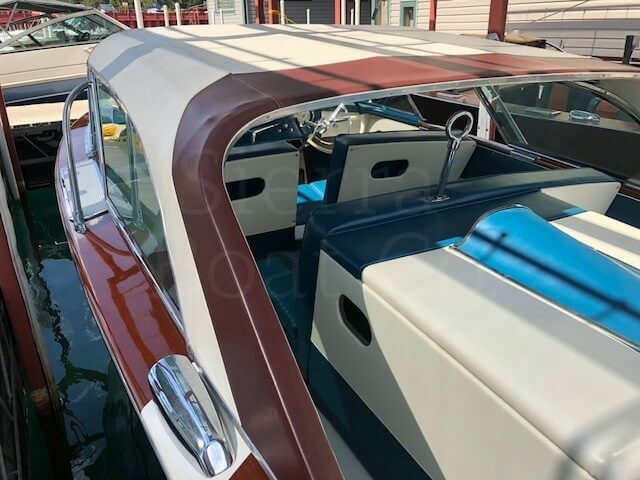 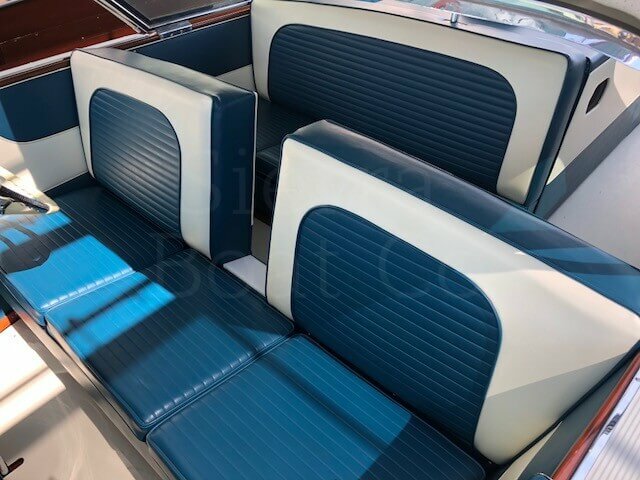 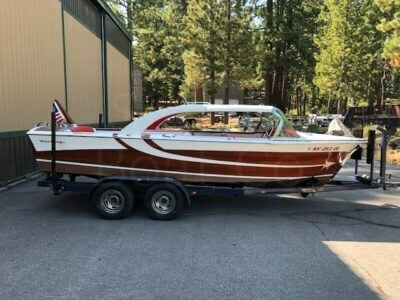 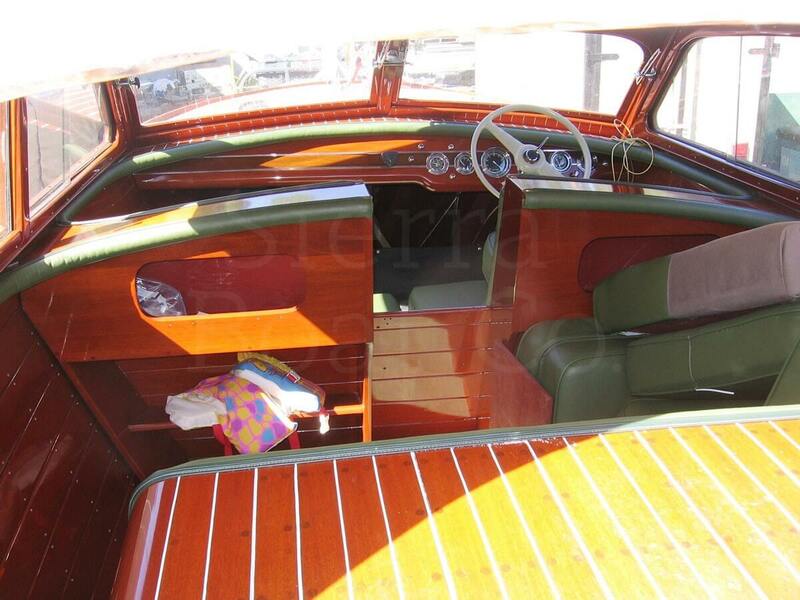 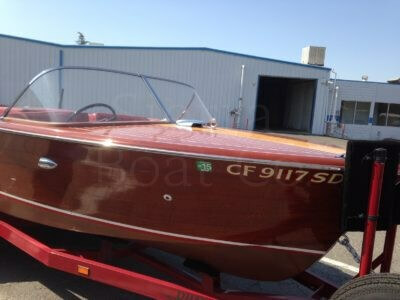 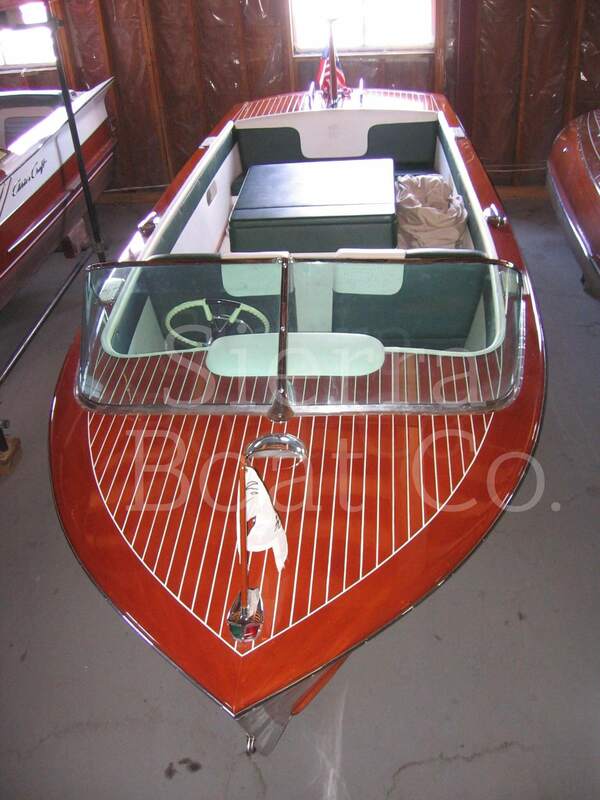 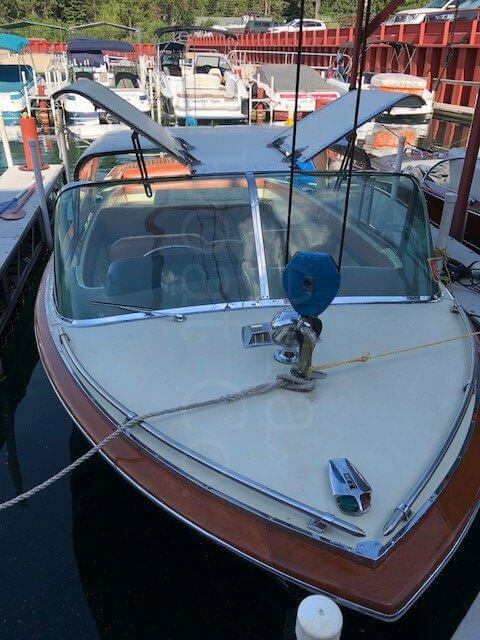 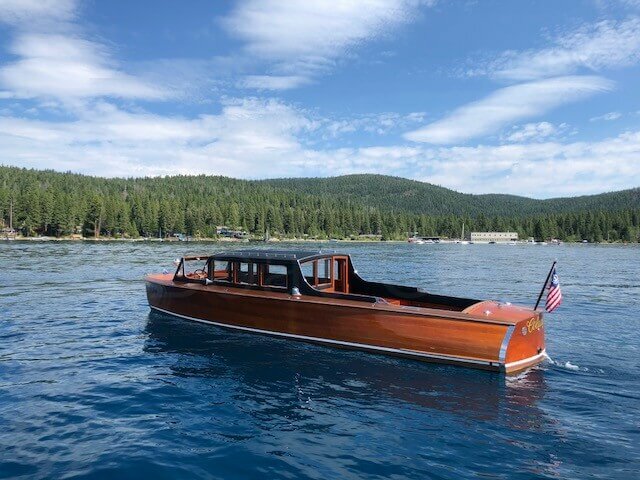 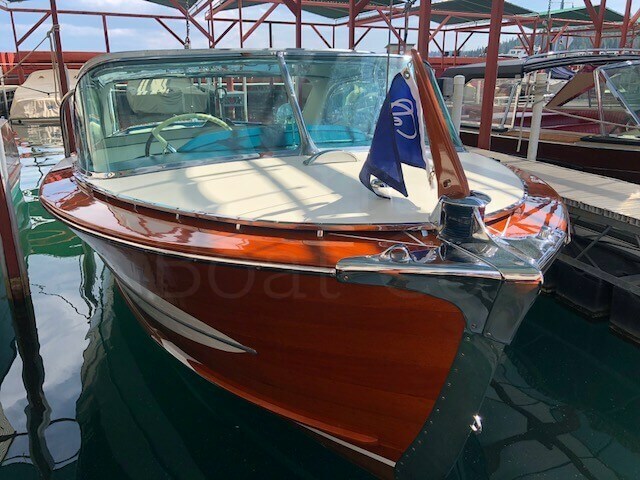 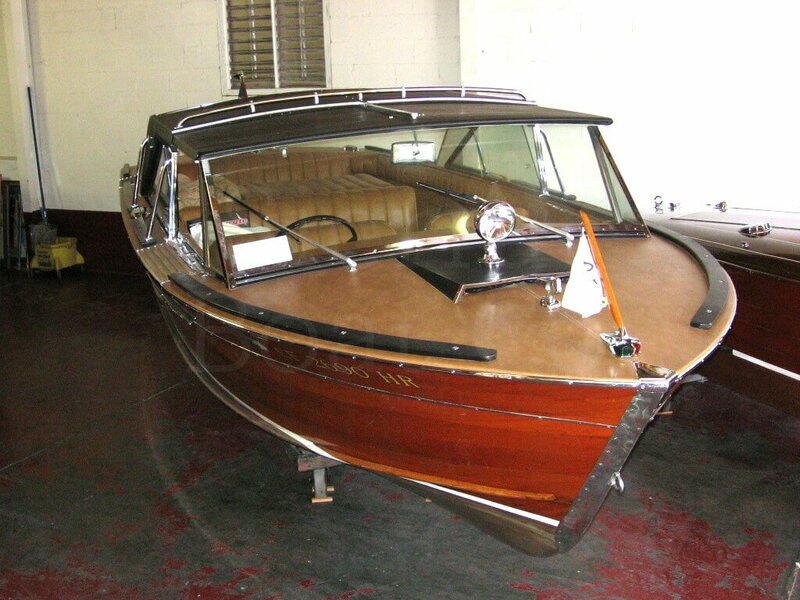 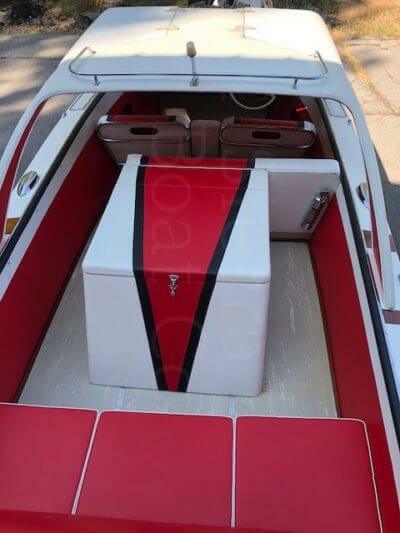 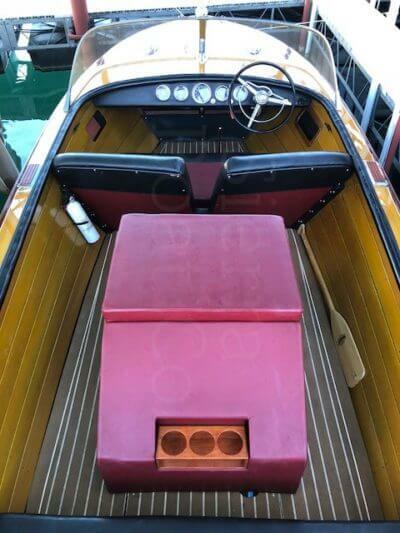 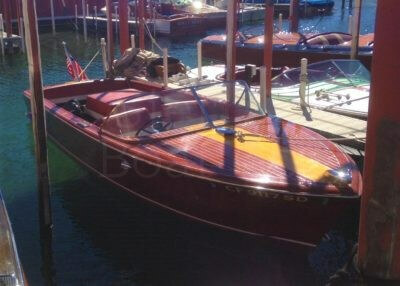 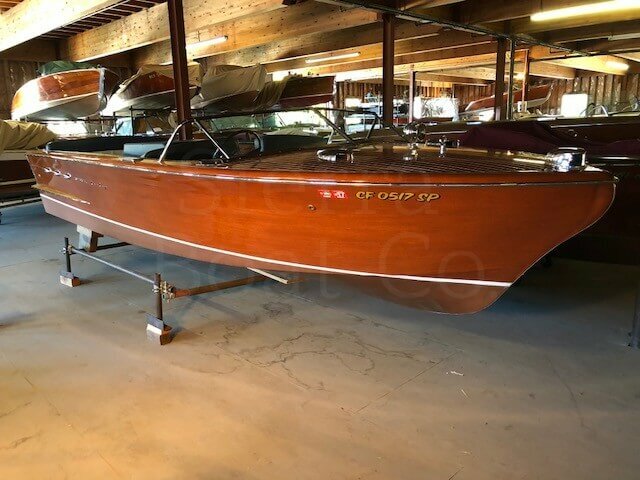 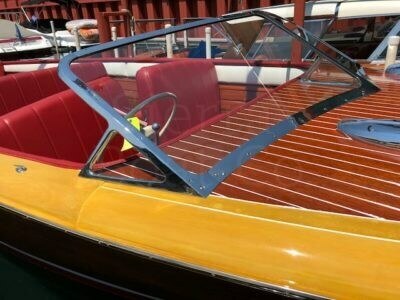 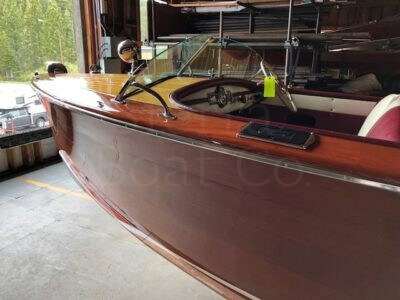 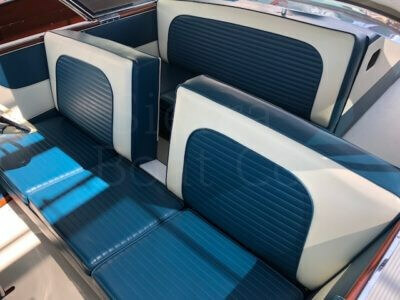 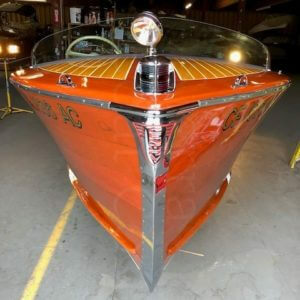 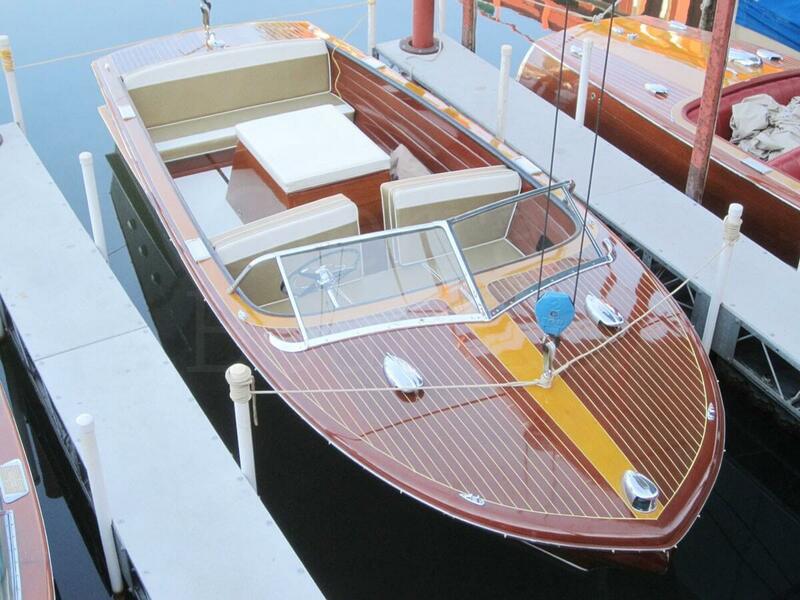 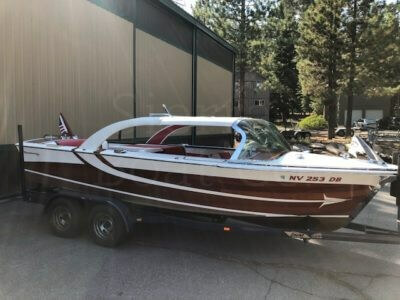 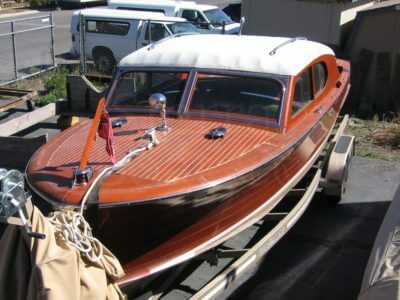 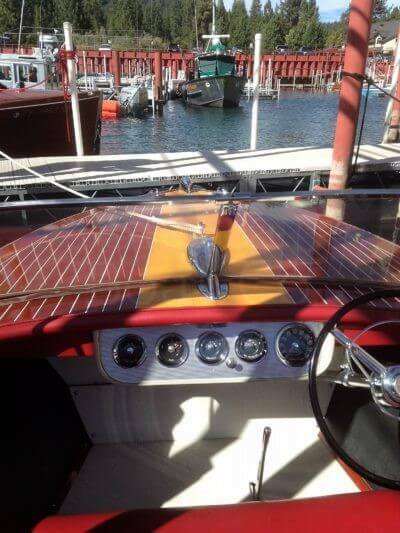 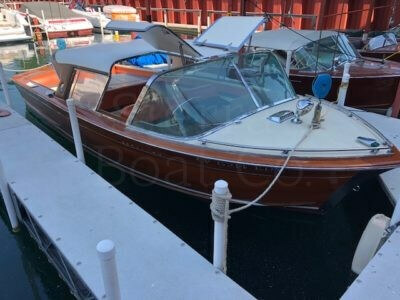 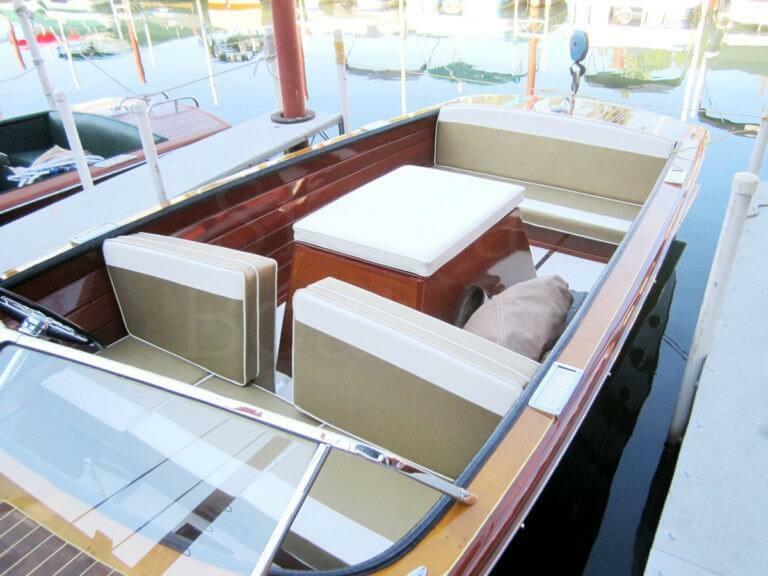 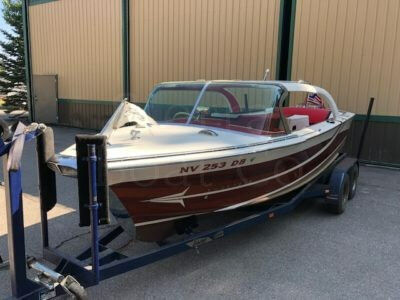 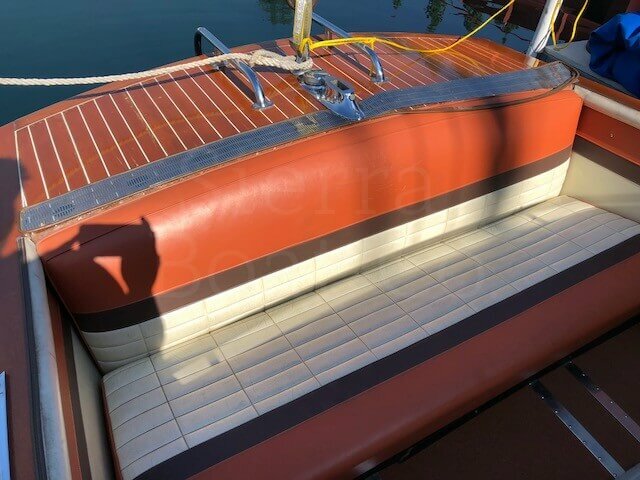 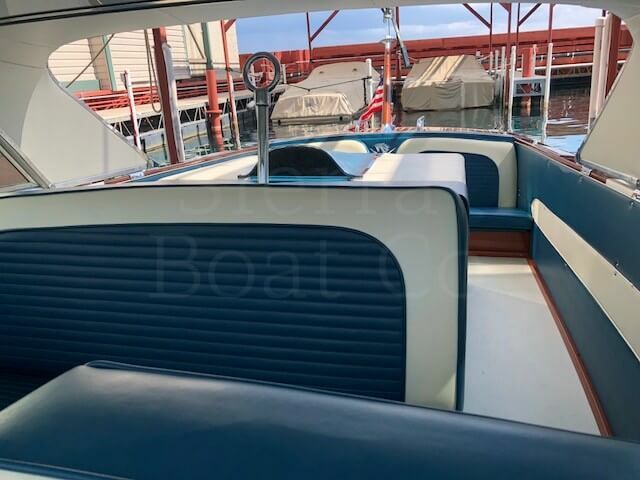 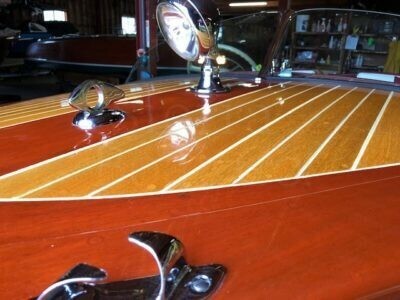 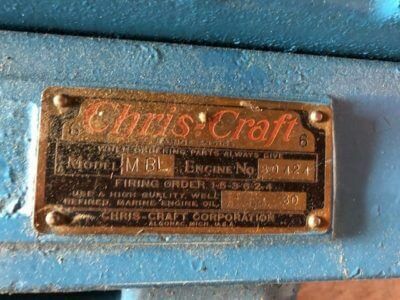 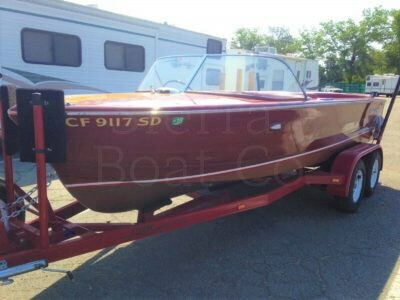 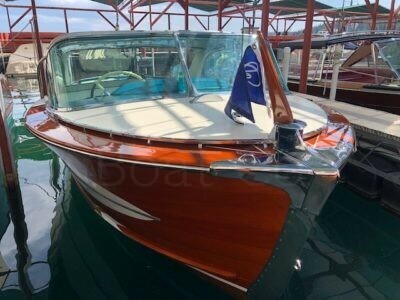 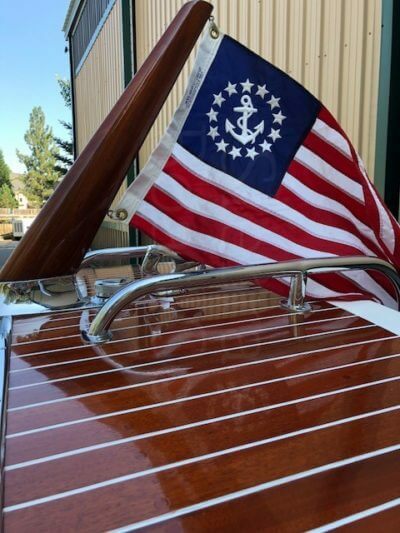 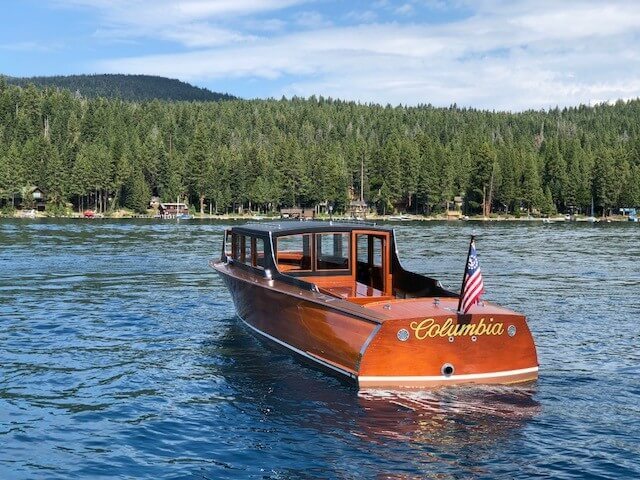 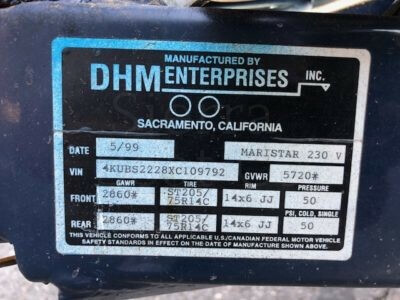 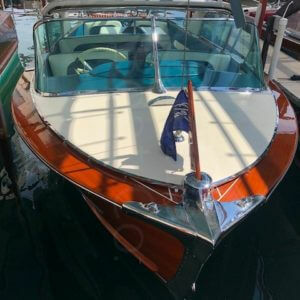 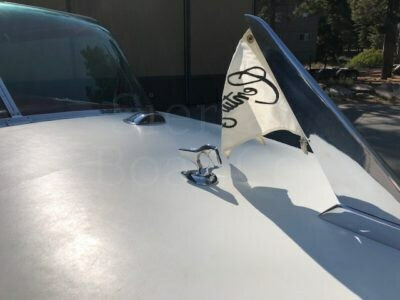 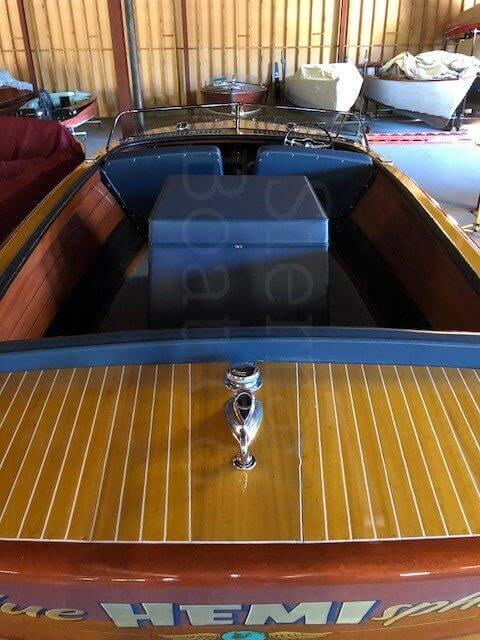 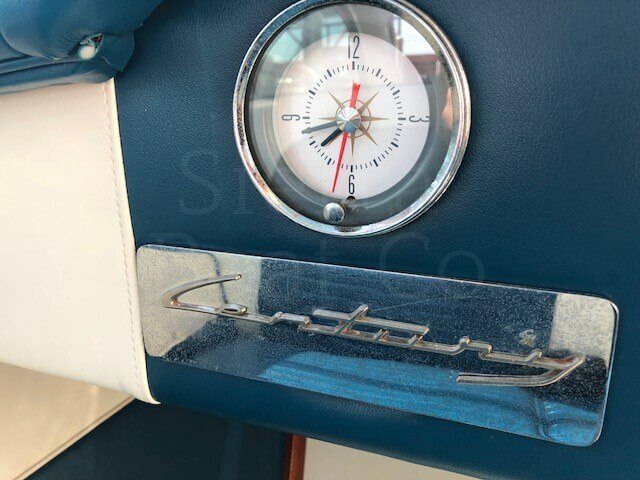 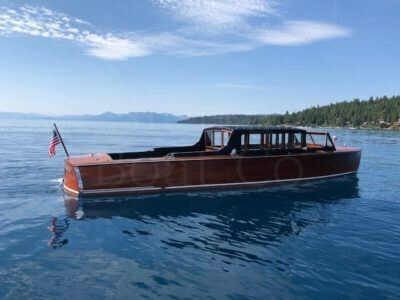 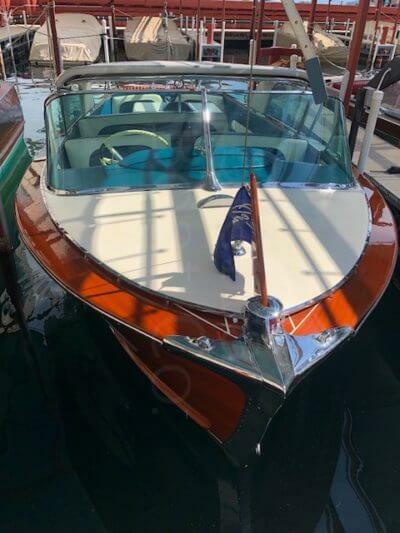 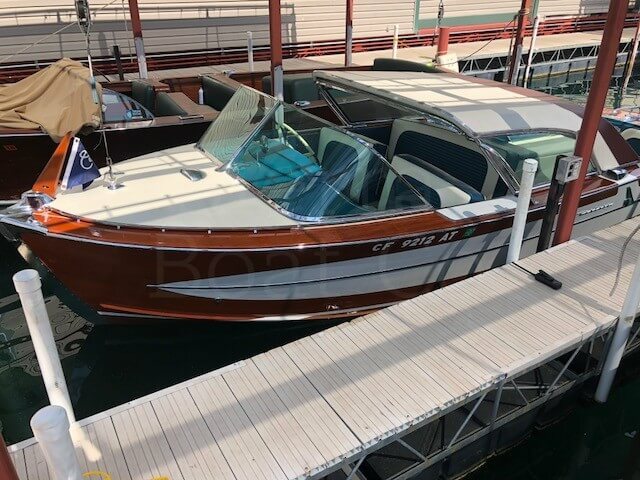 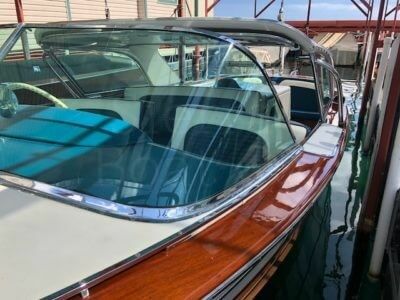 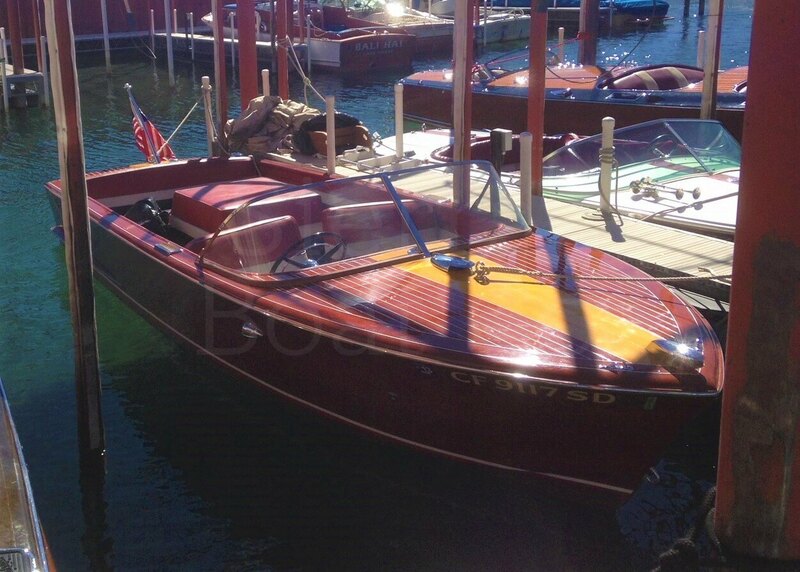 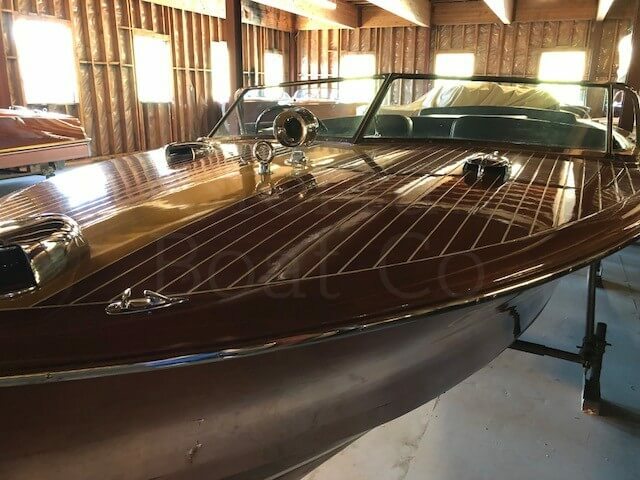 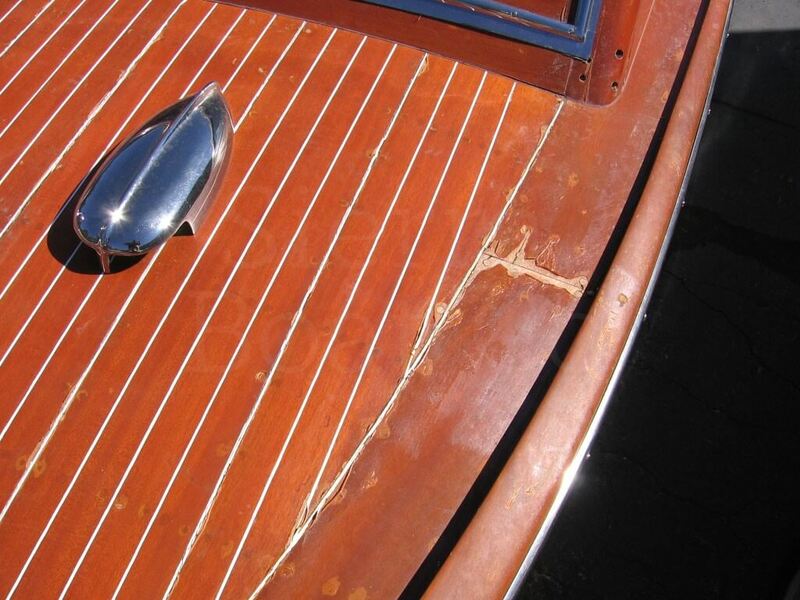 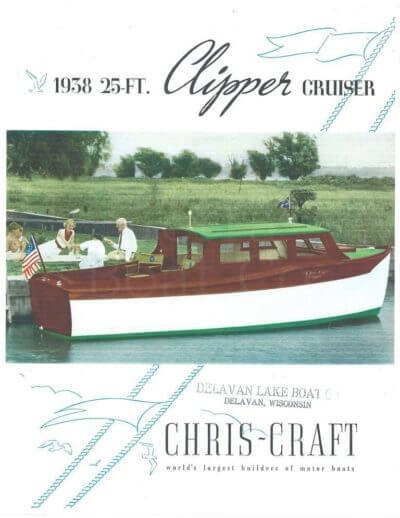 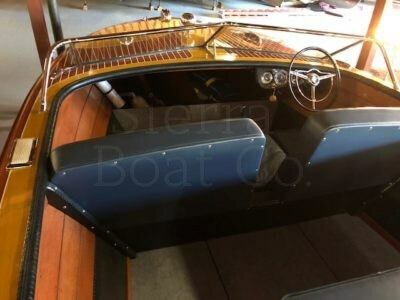 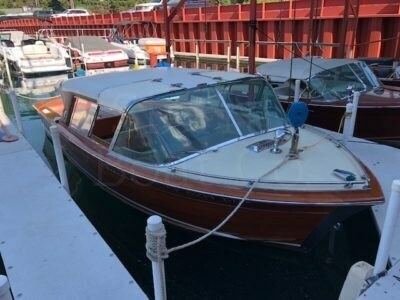 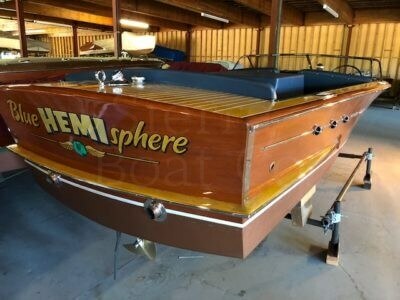 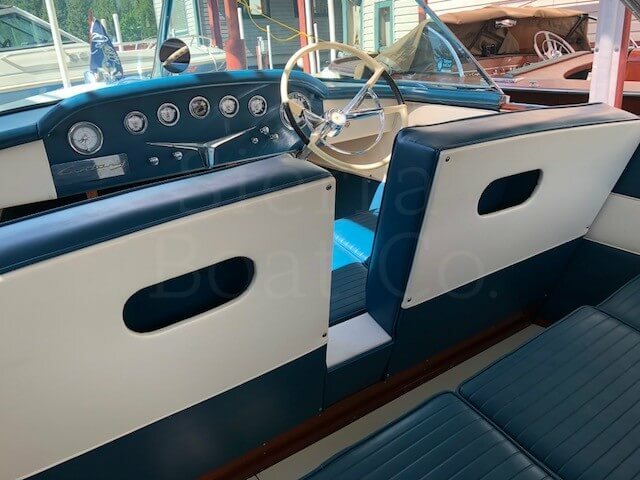 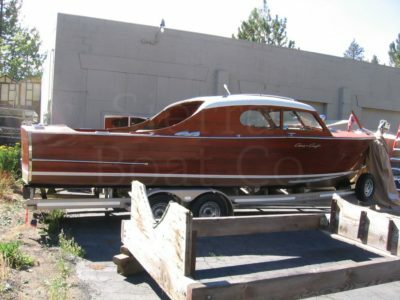 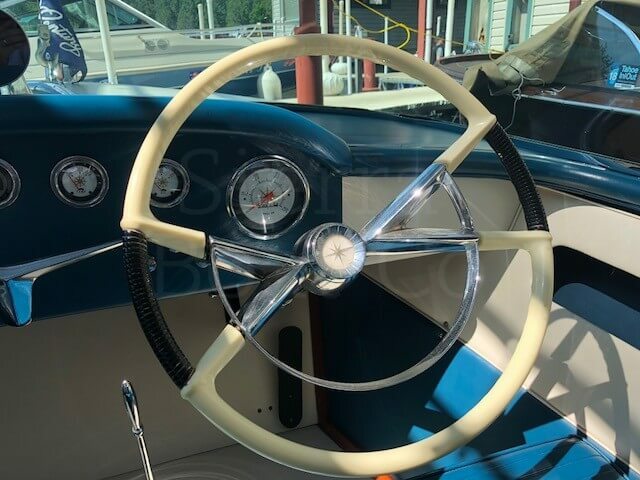 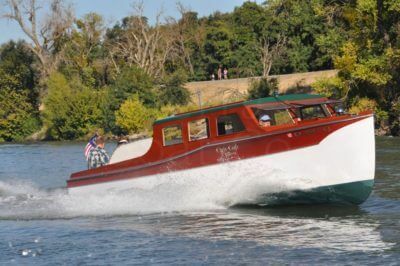 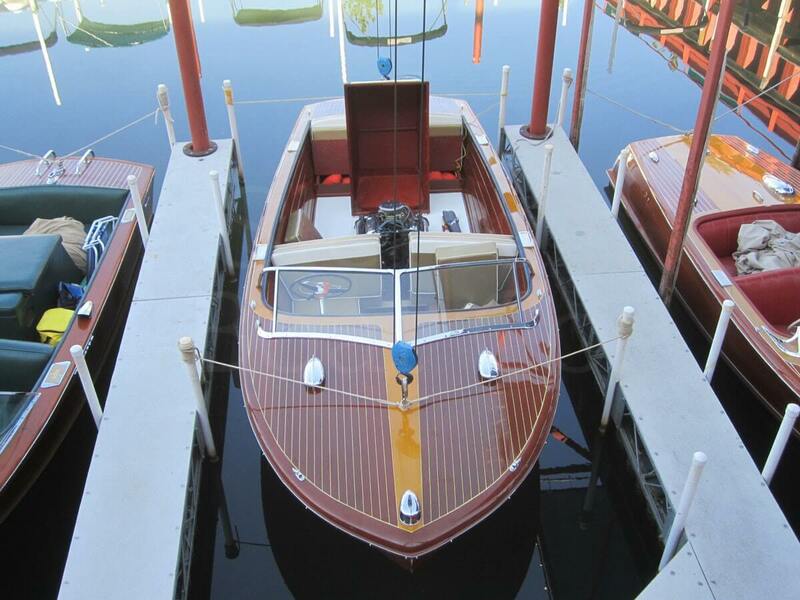 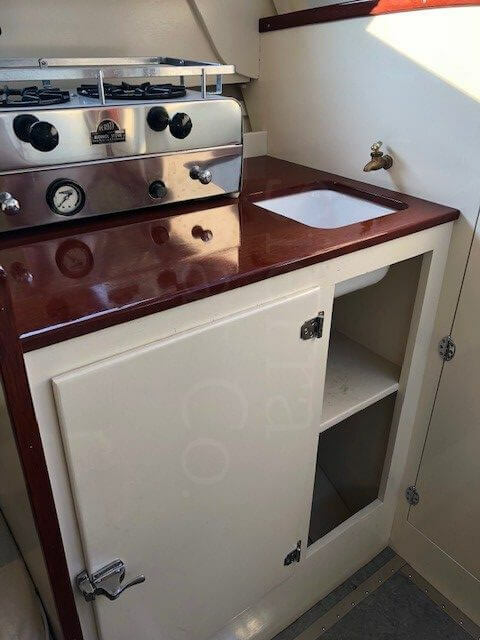 1955 Chris Craft 20ft Continental. 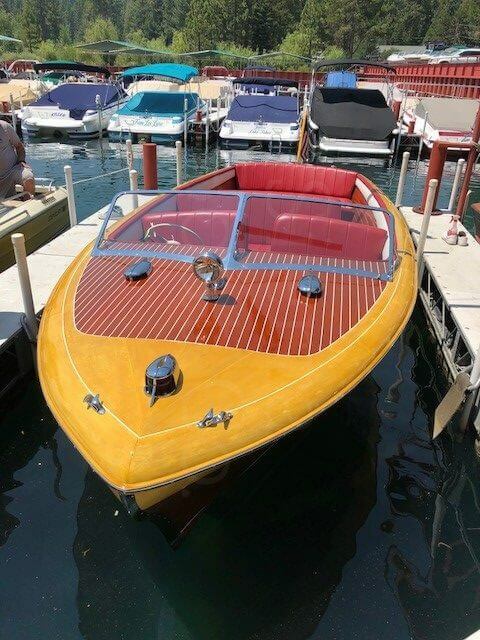 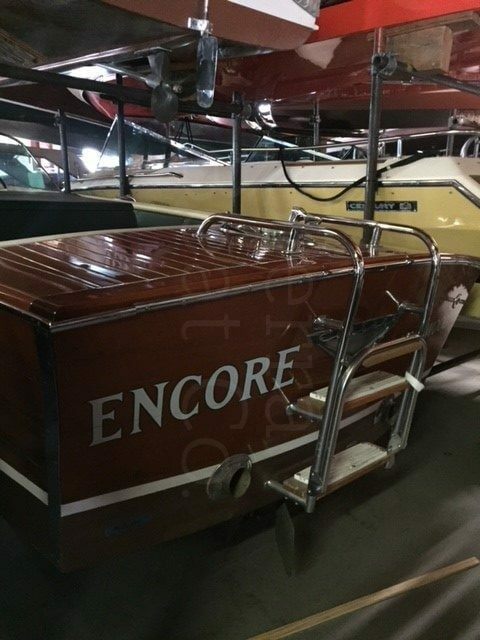 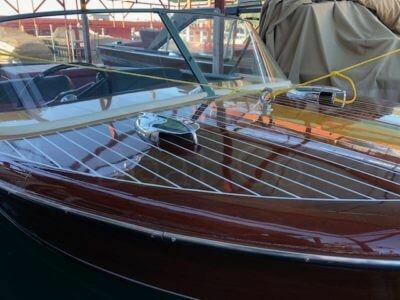 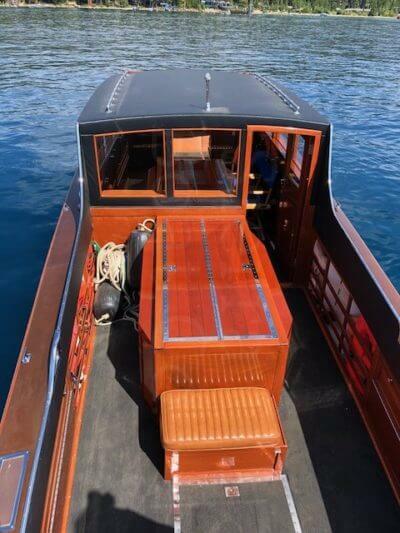 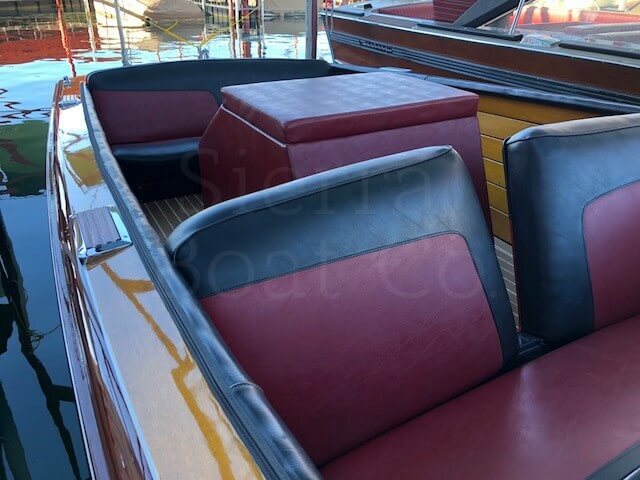 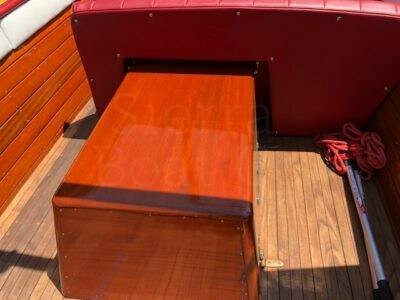 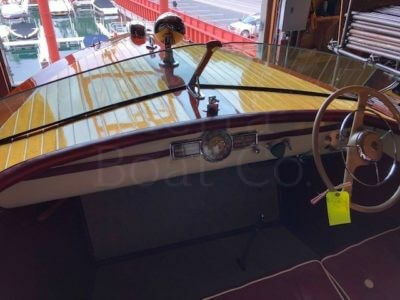 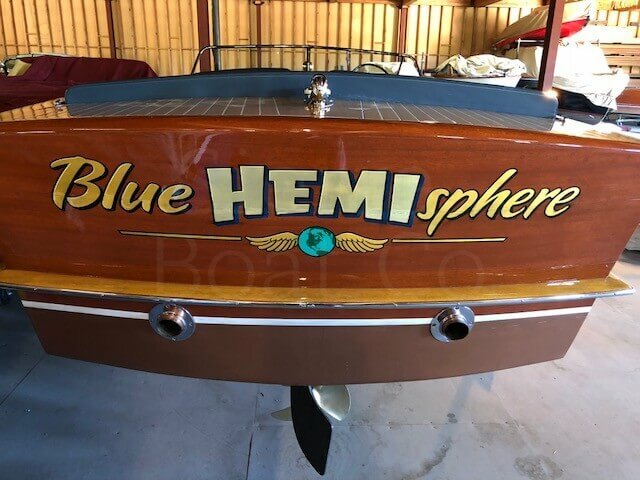 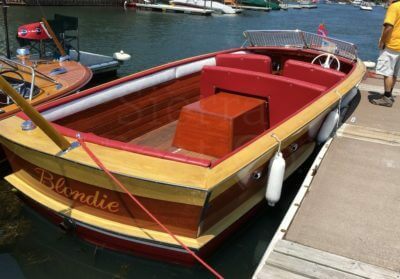 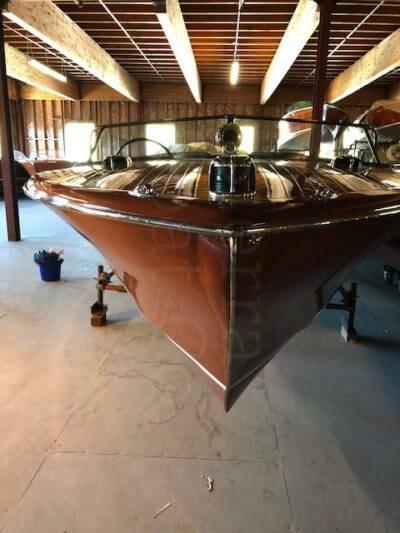 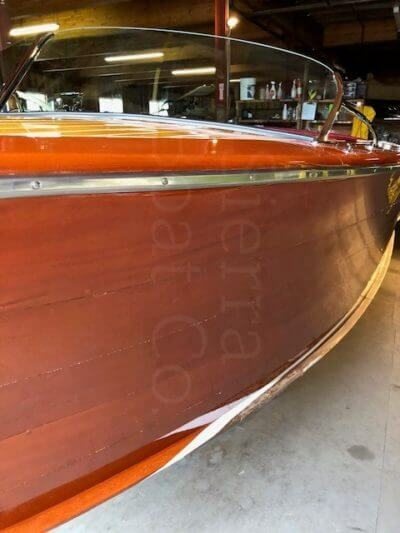 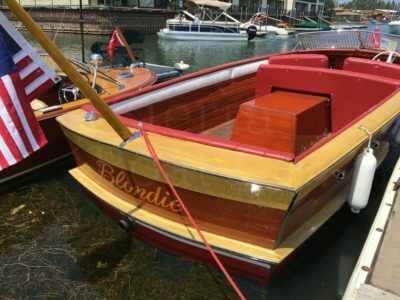 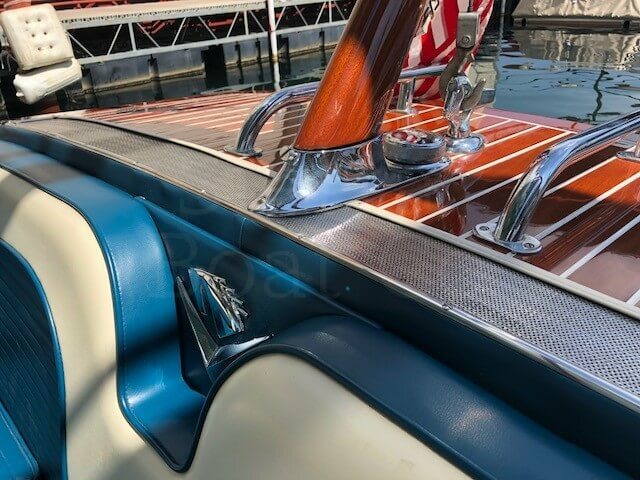 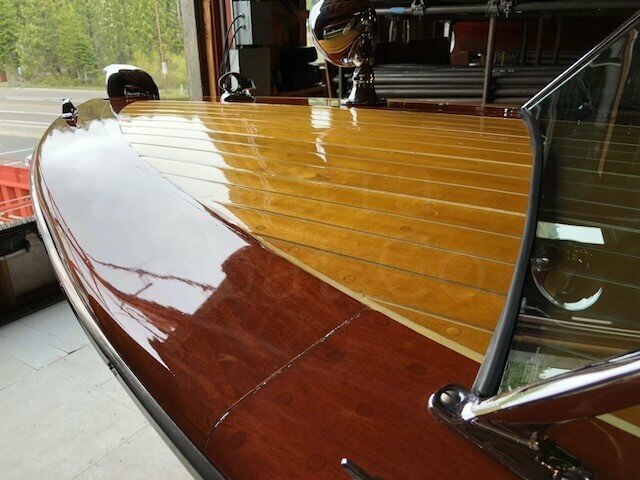 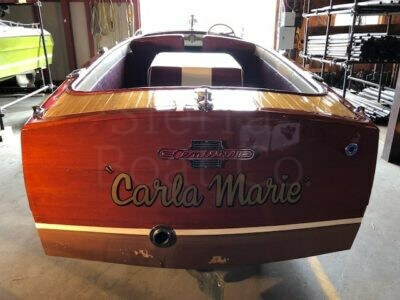 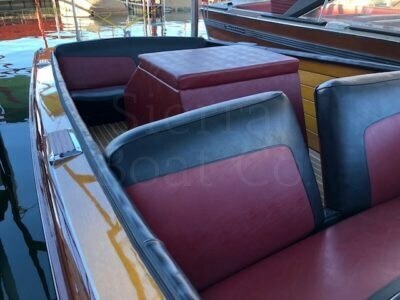 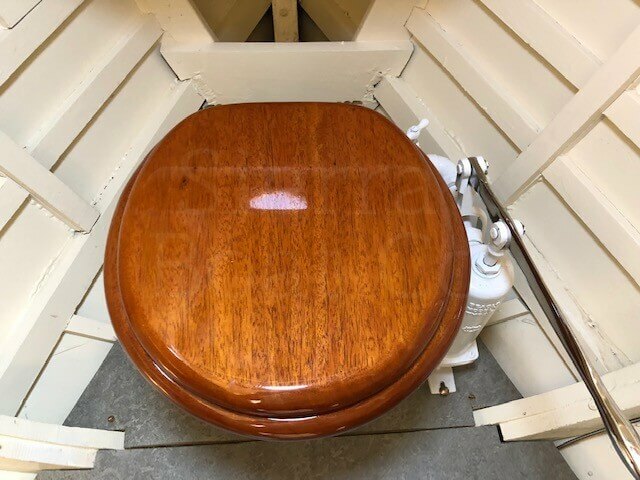 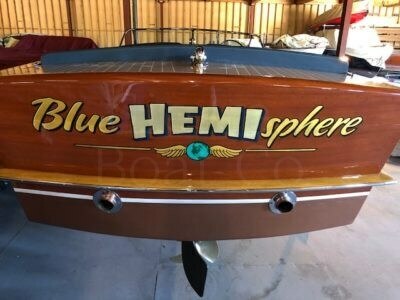 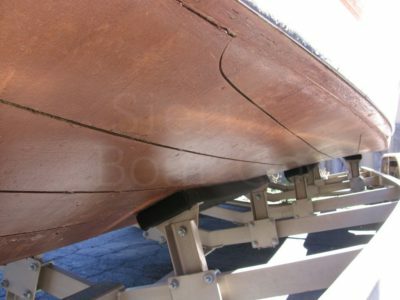 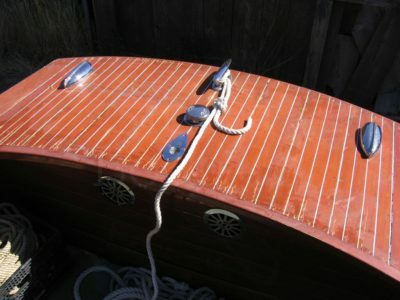 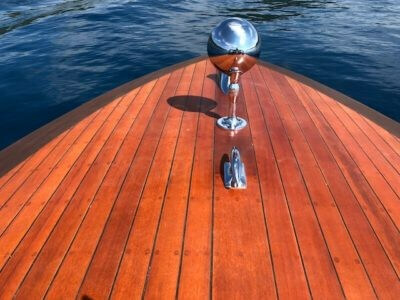 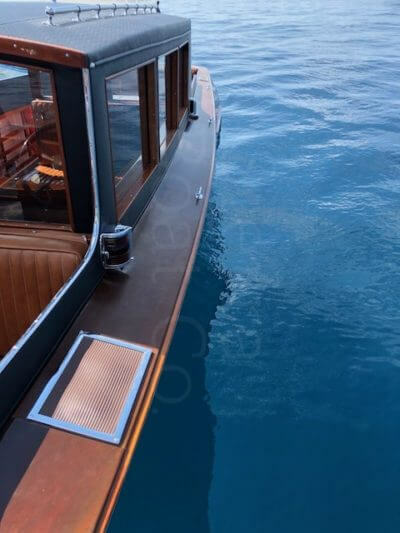 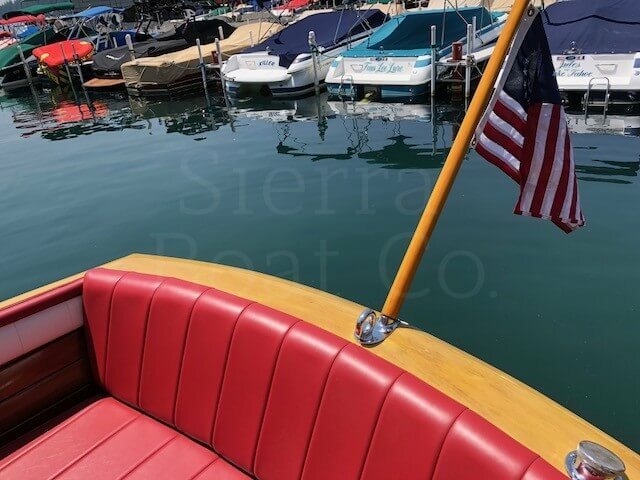 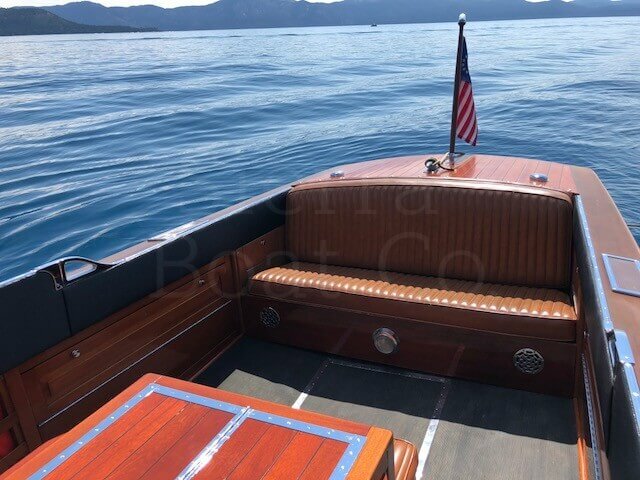 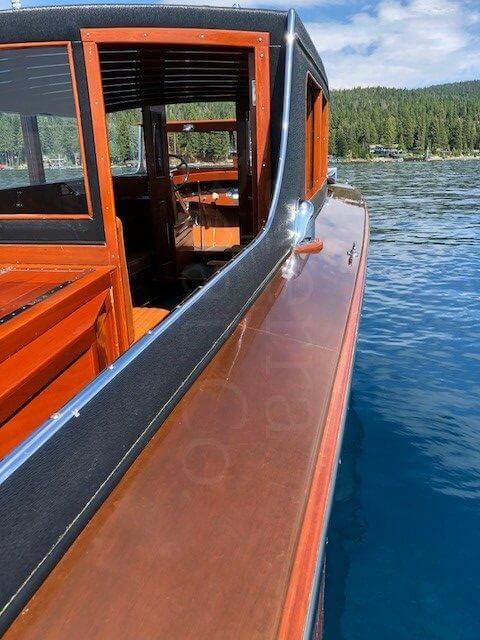 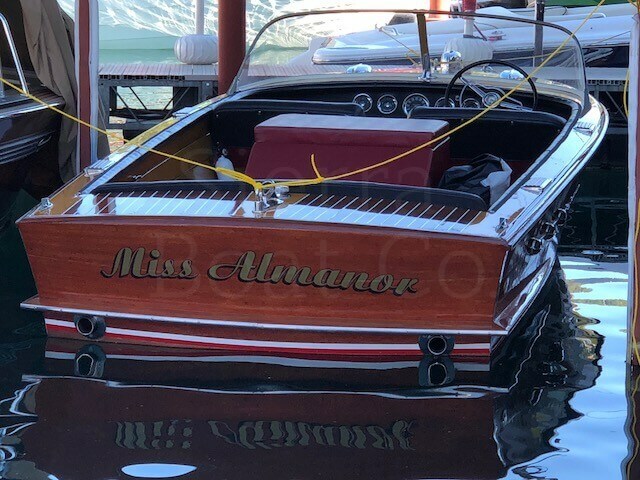 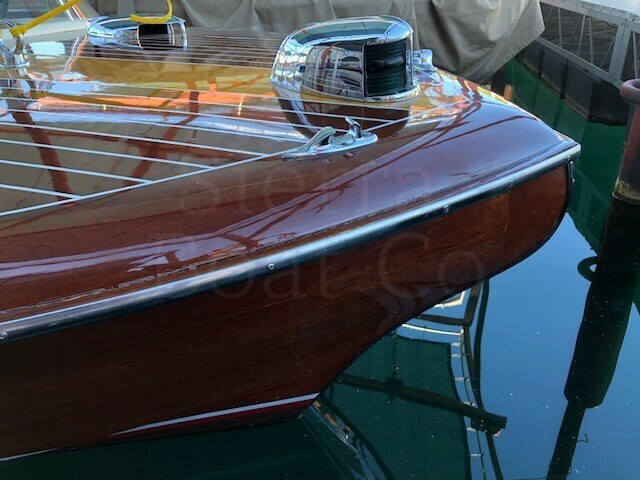 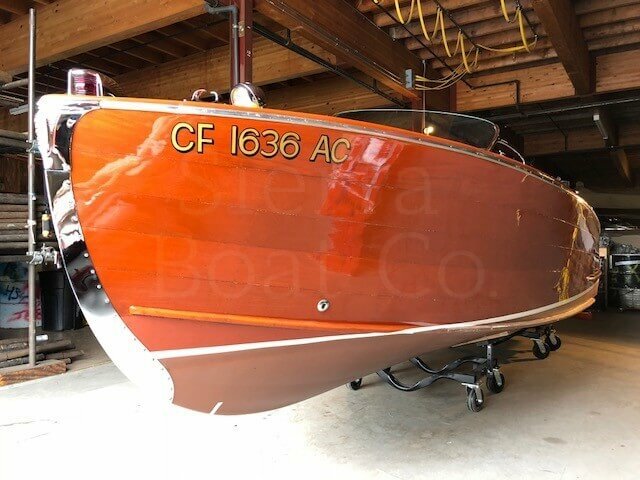 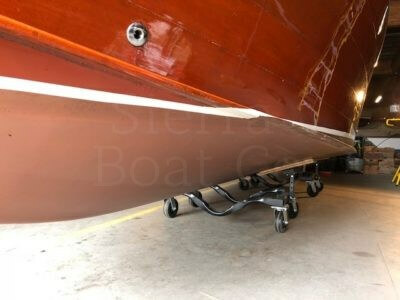 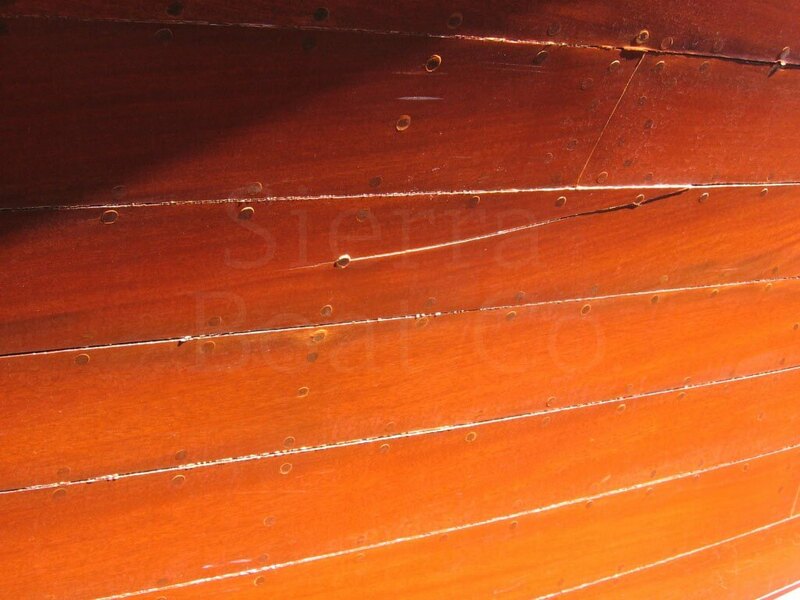 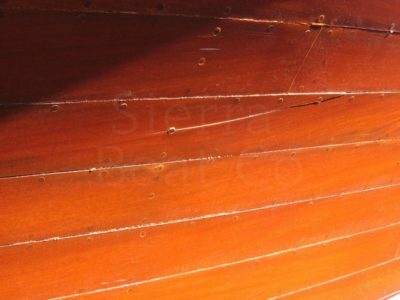 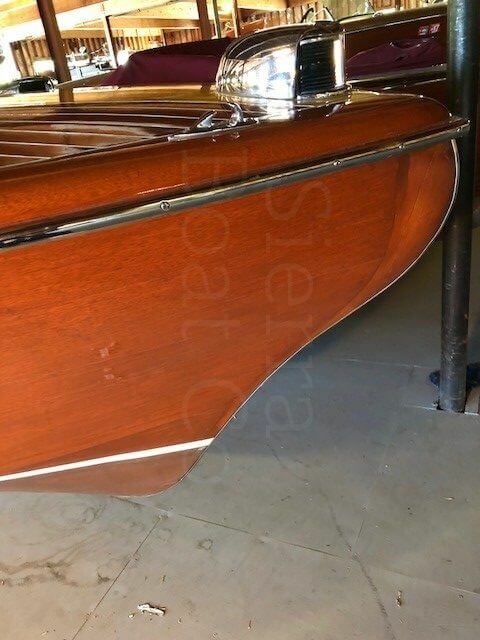 Fully restored in the late 80’s but never used, the boats varnish is in stunning condition and looks like it just came out of the shop. 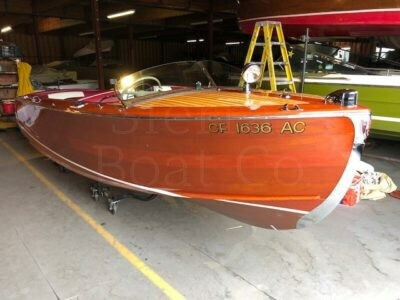 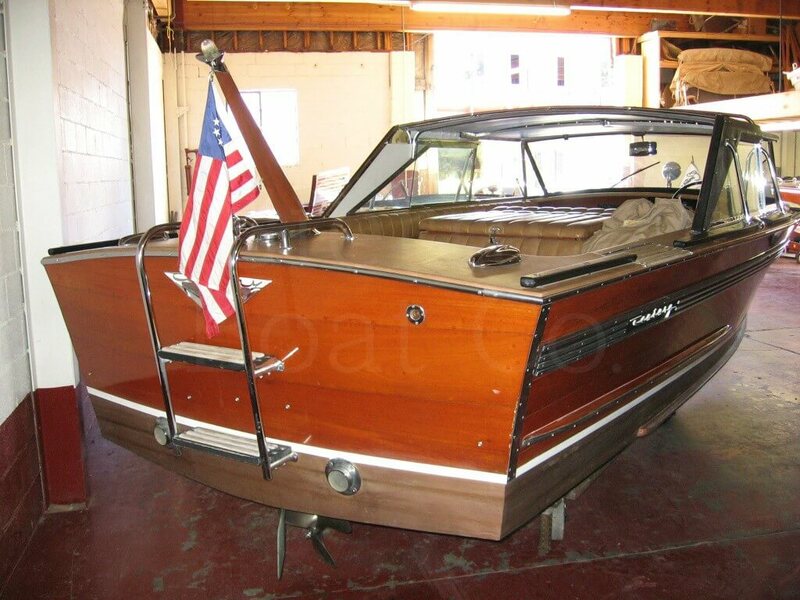 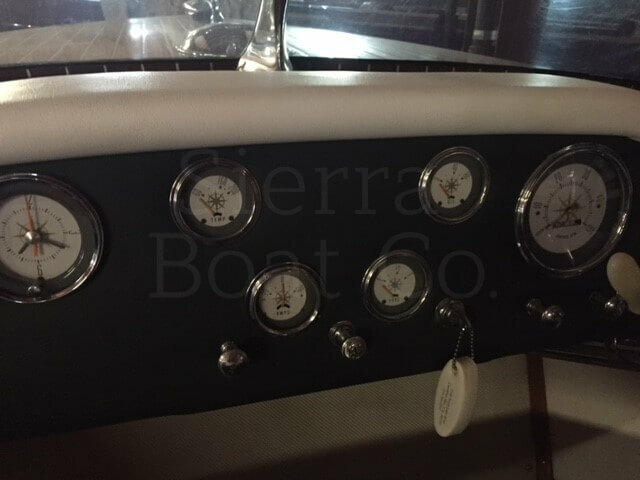 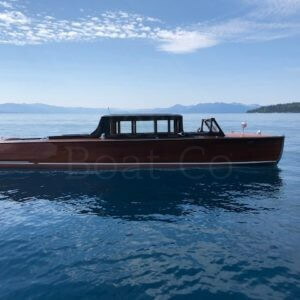 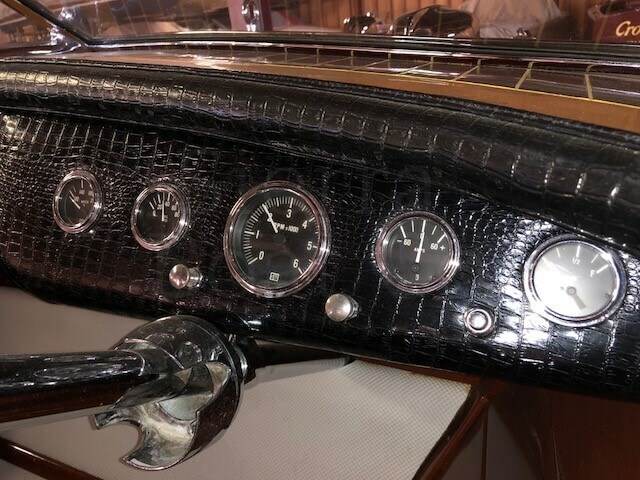 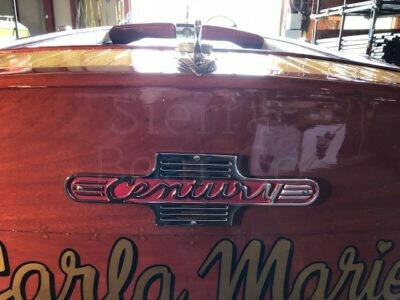 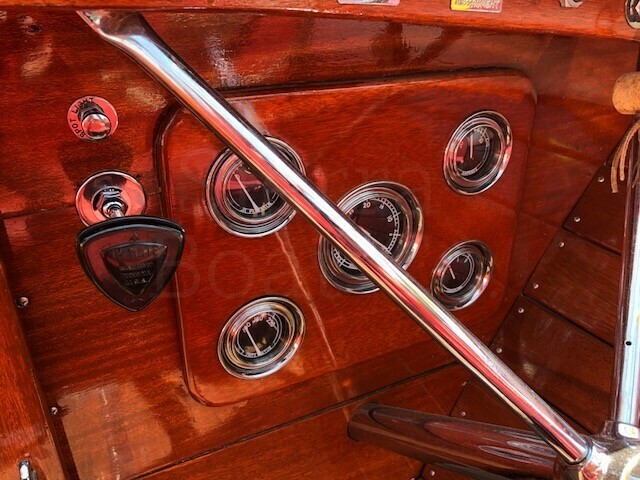 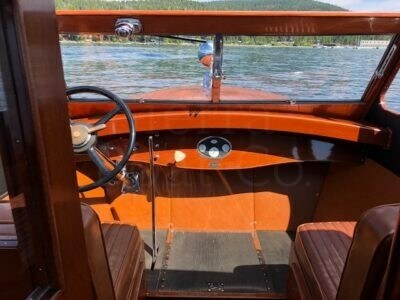 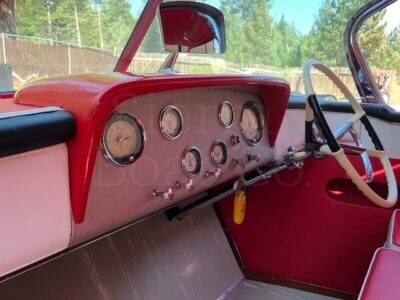 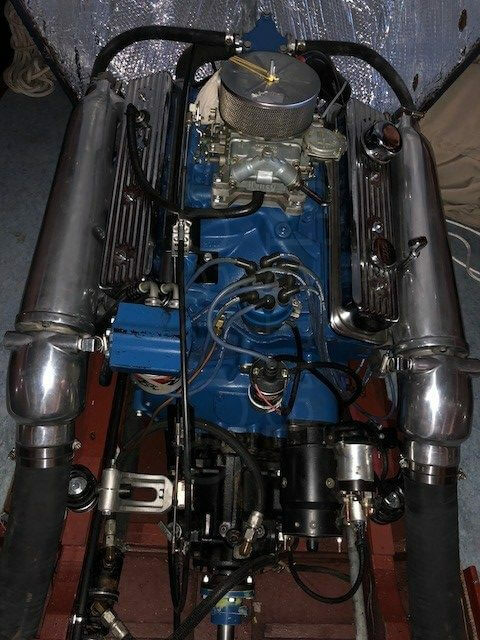 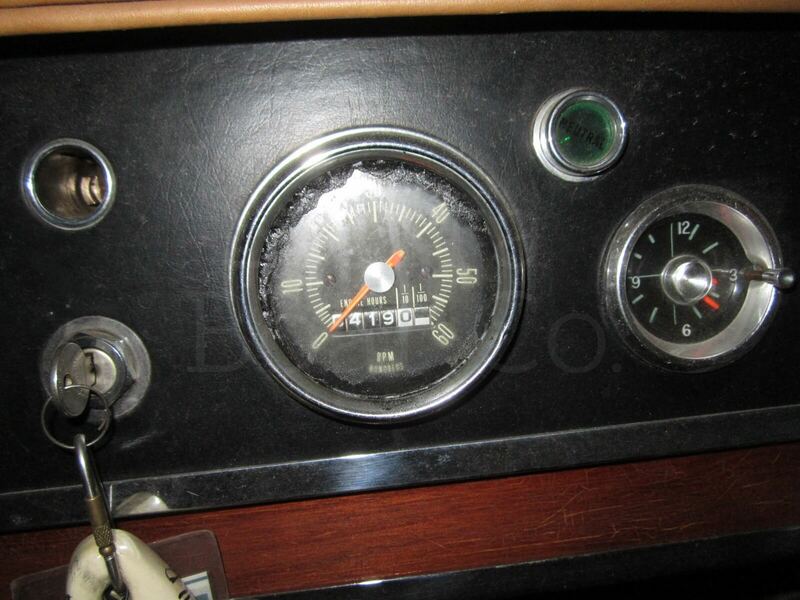 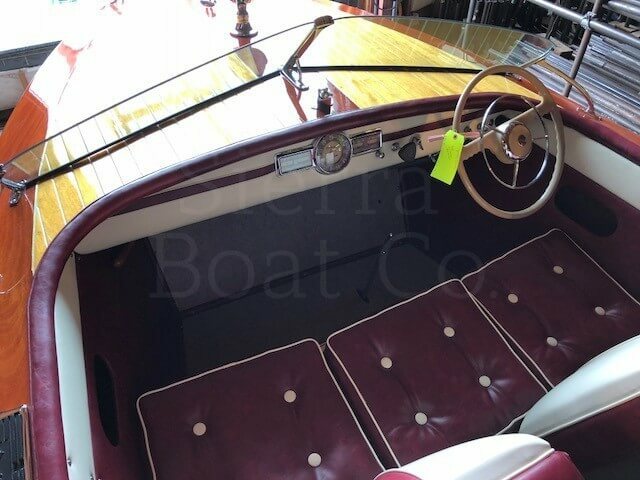 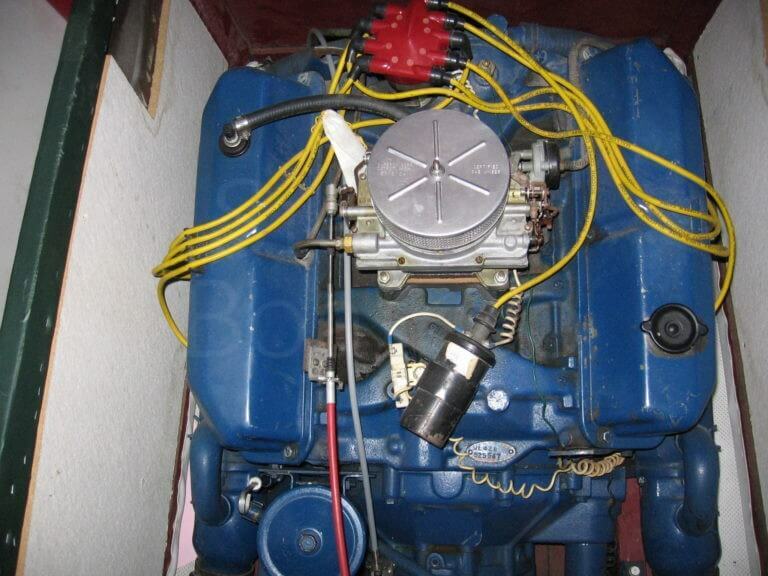 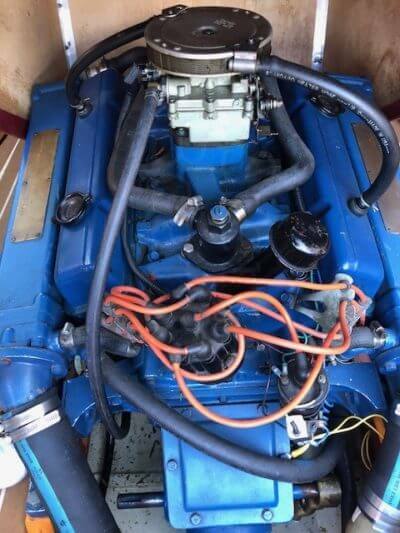 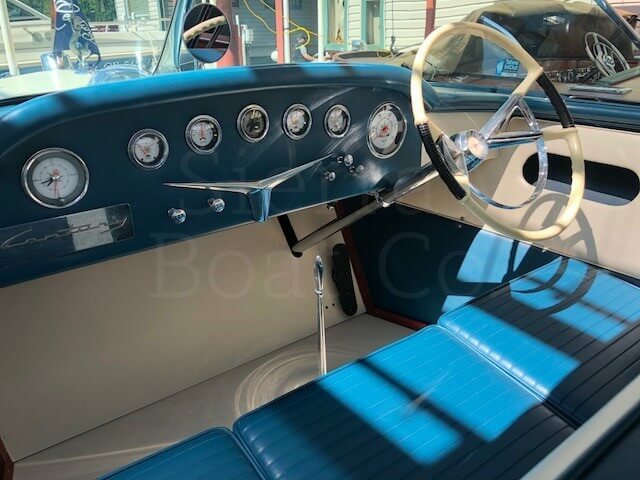 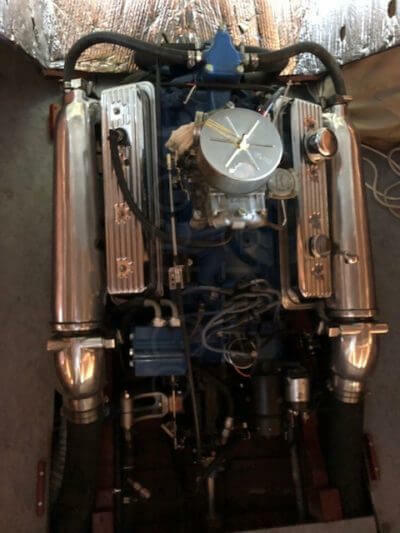 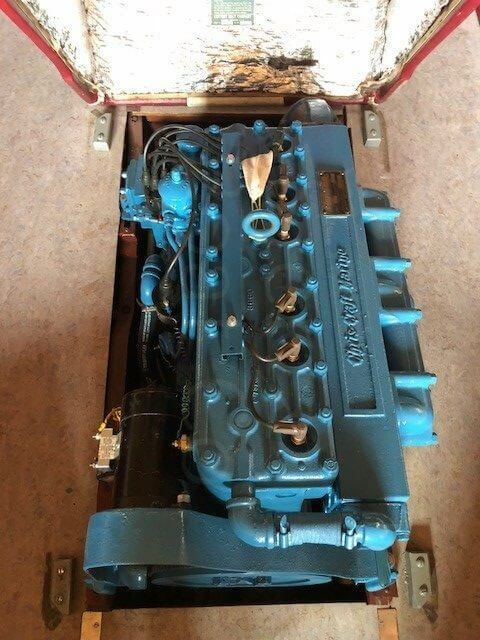 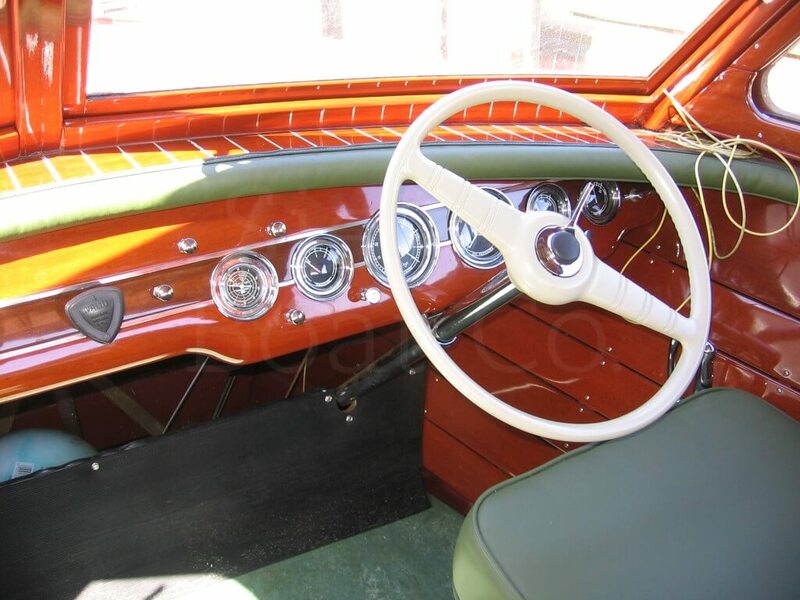 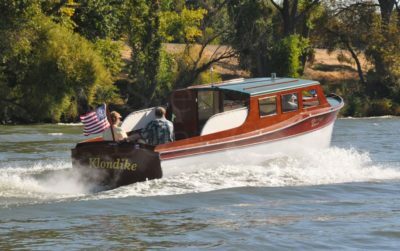 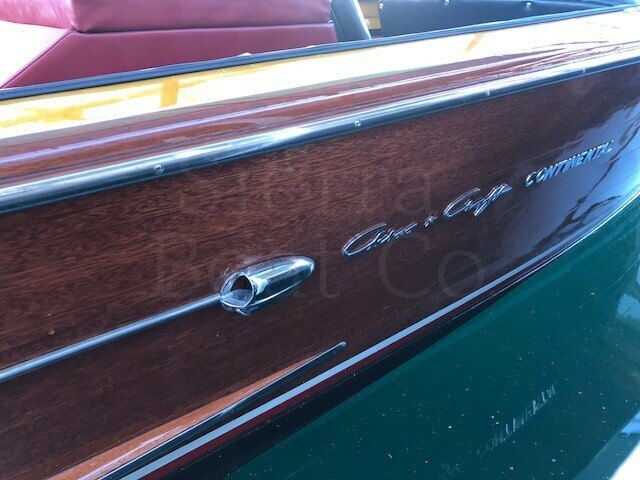 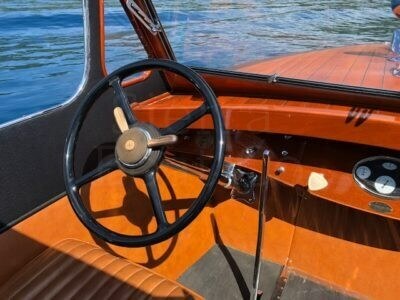 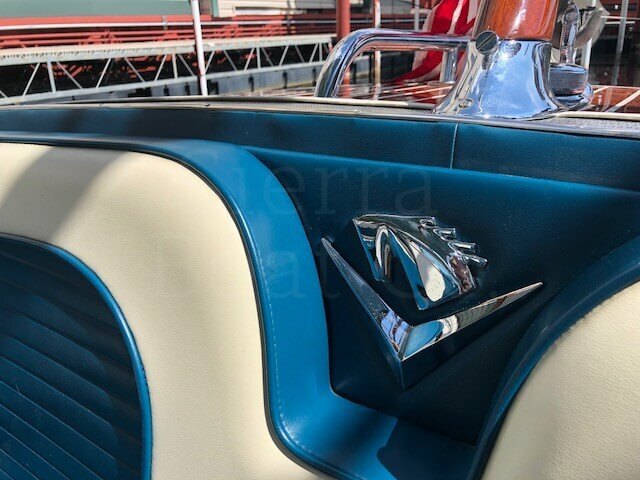 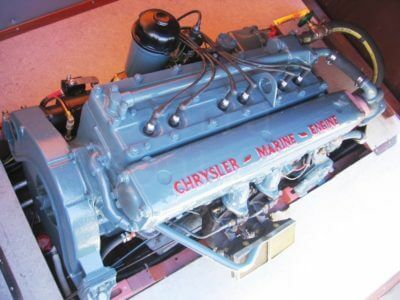 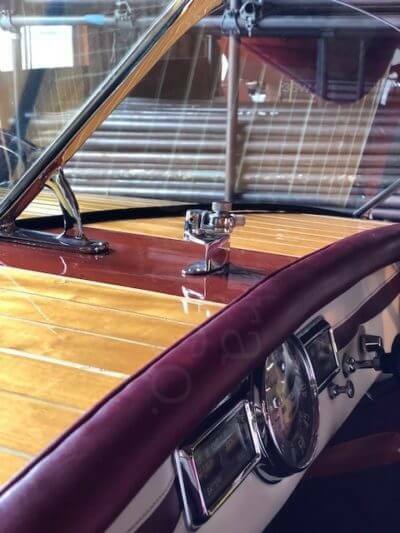 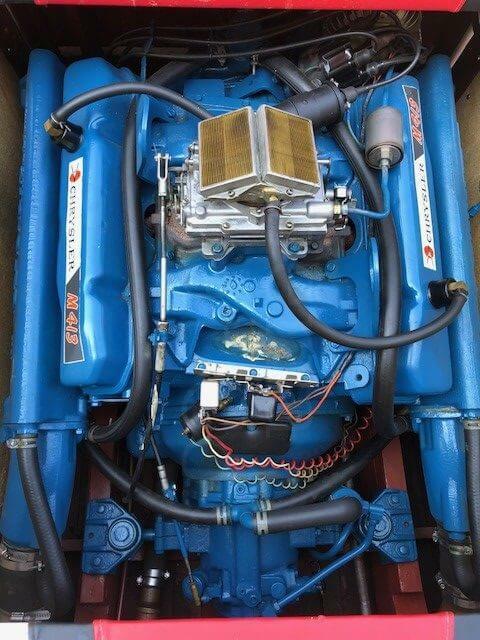 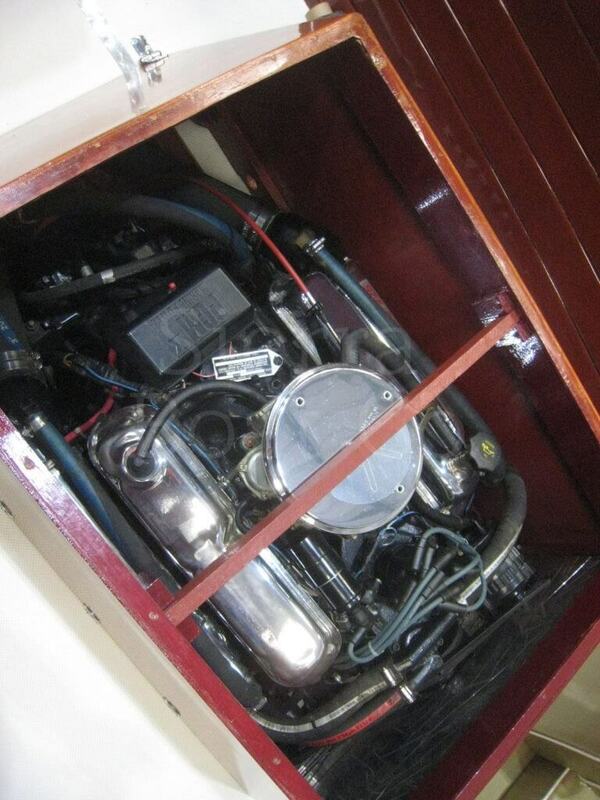 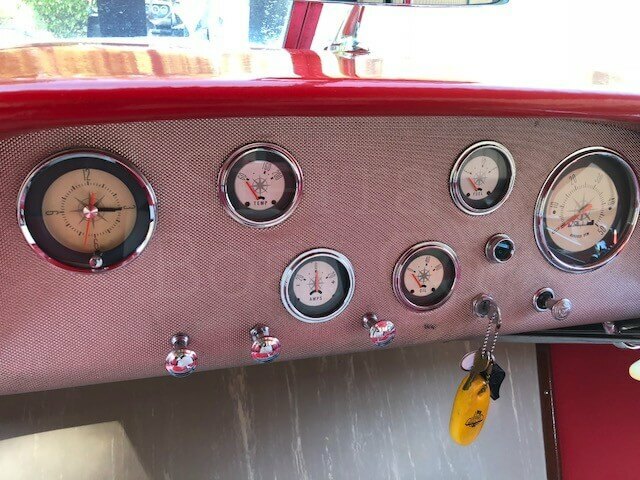 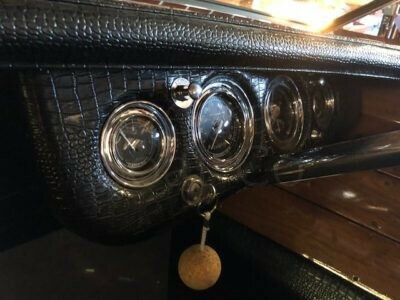 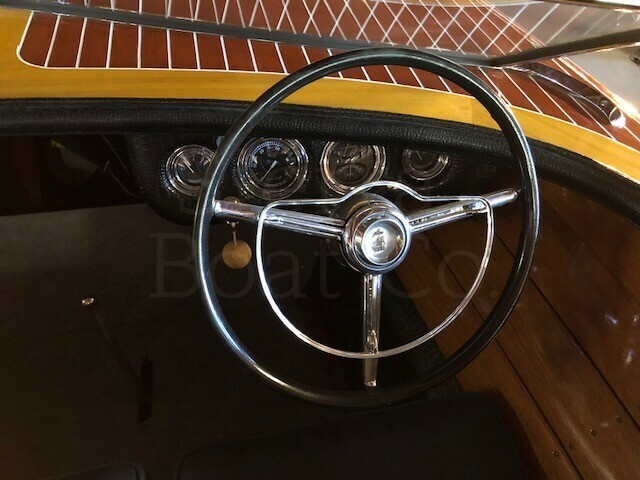 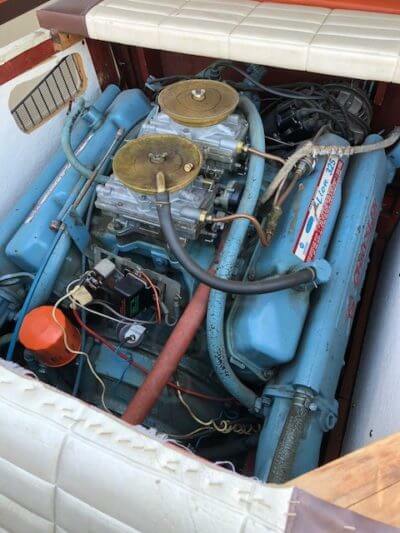 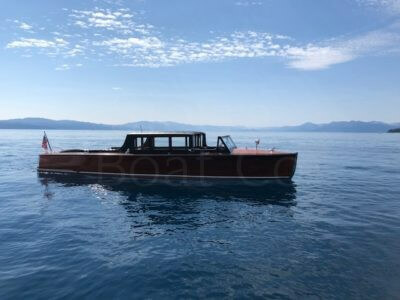 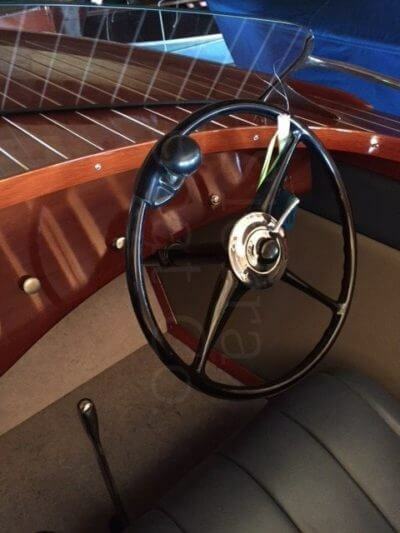 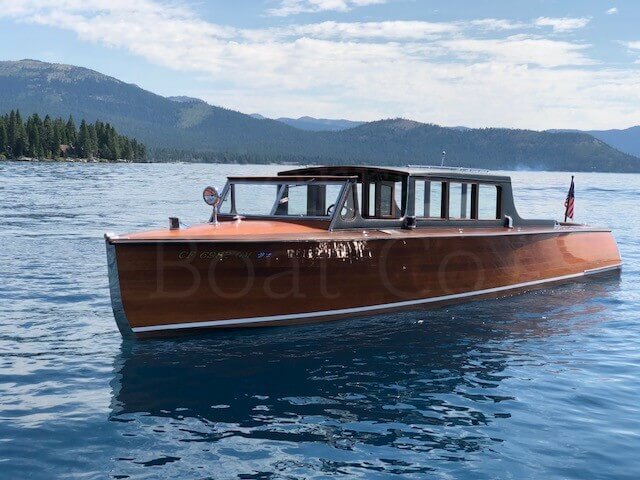 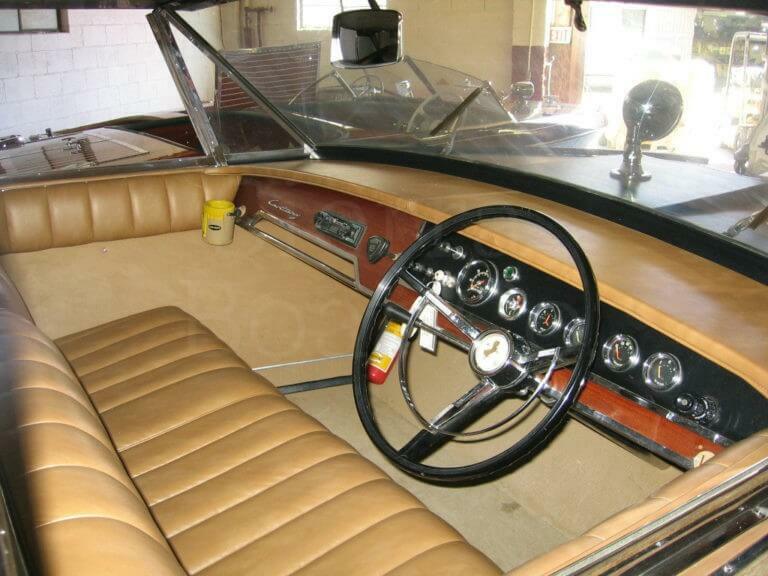 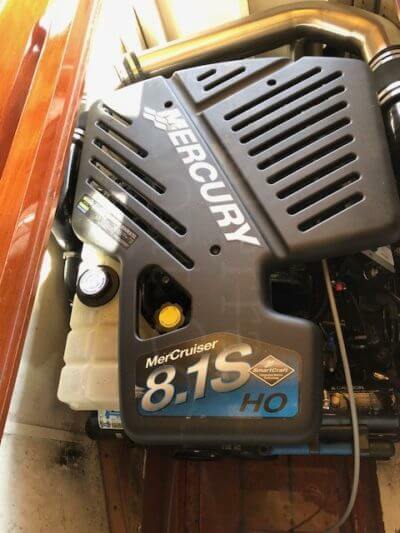 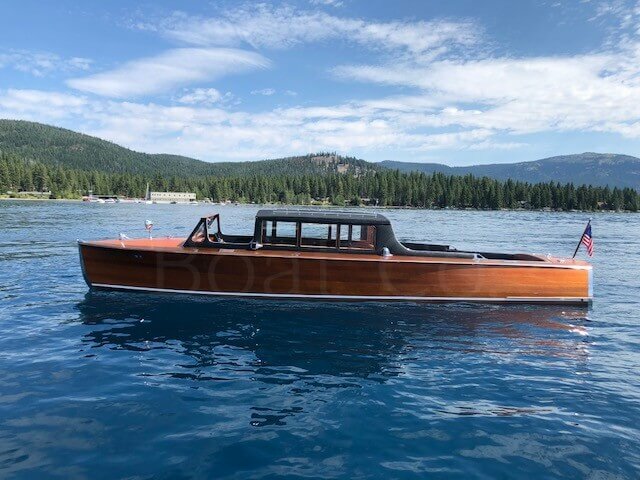 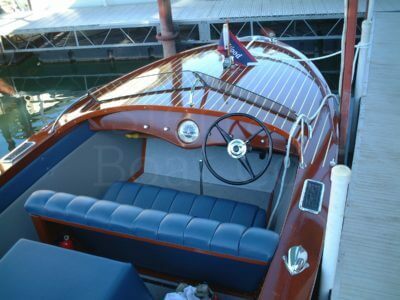 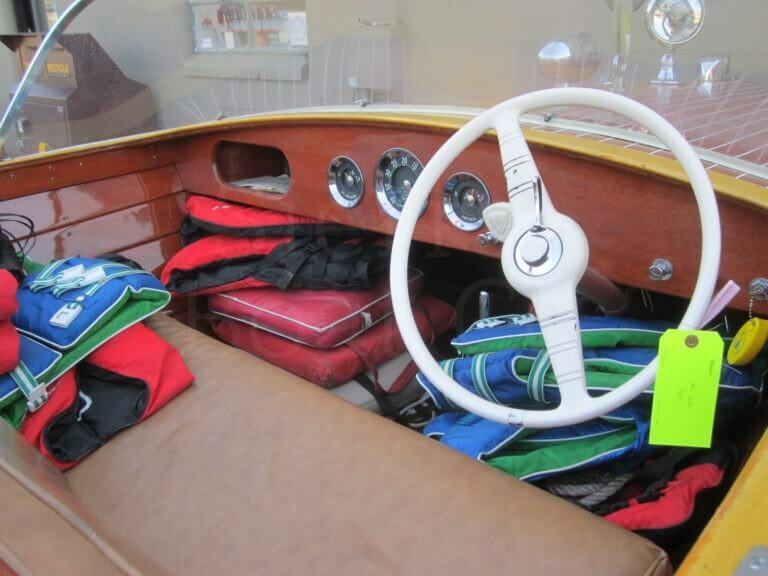 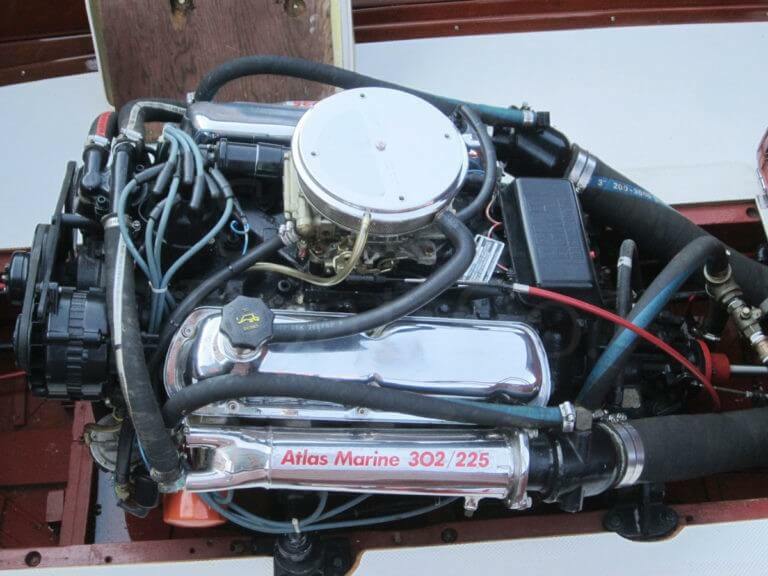 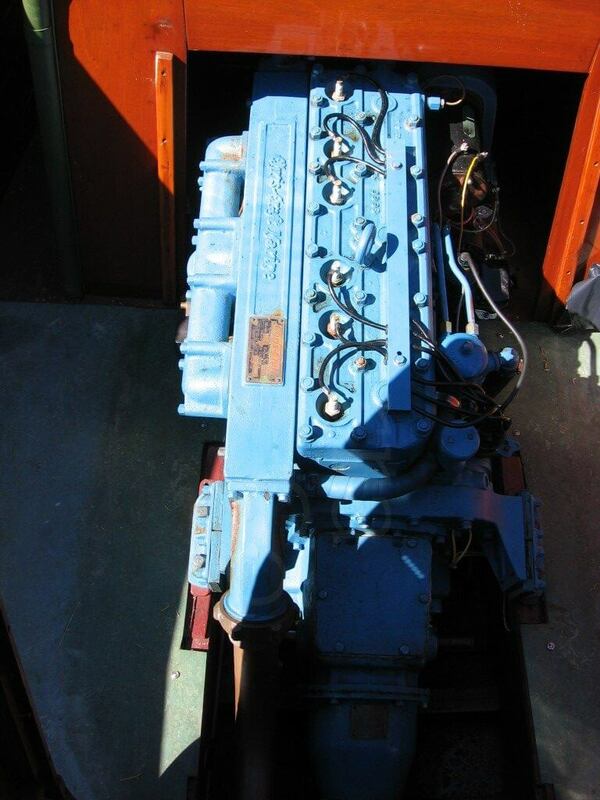 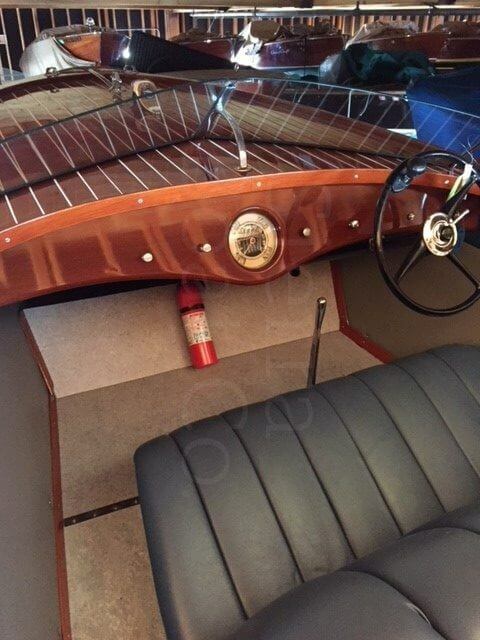 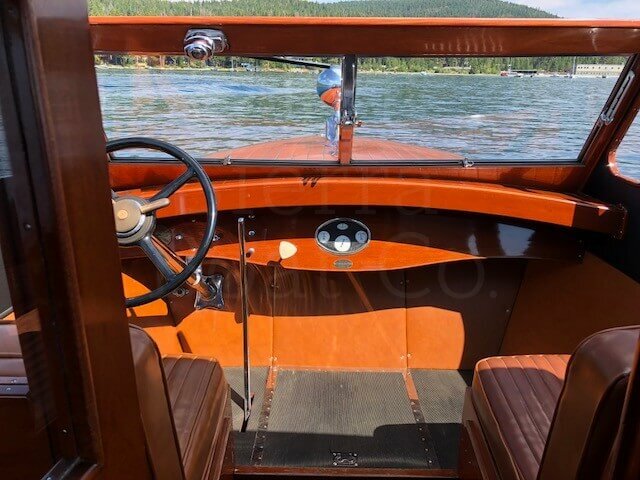 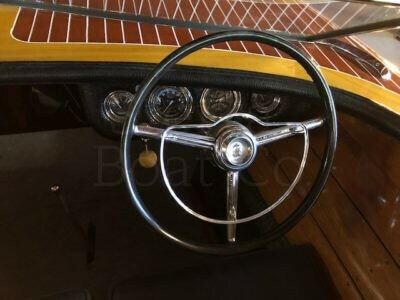 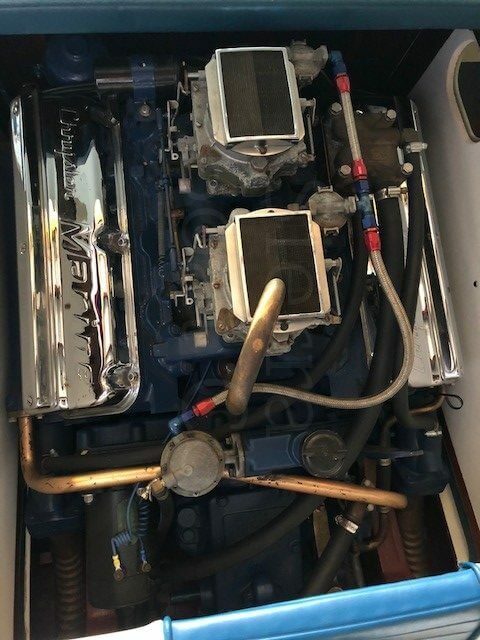 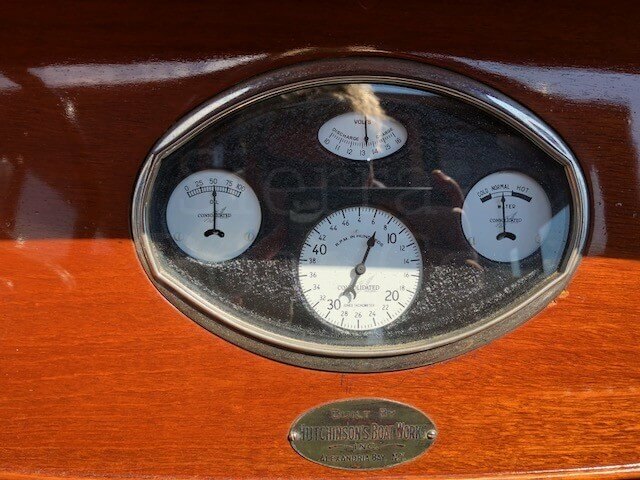 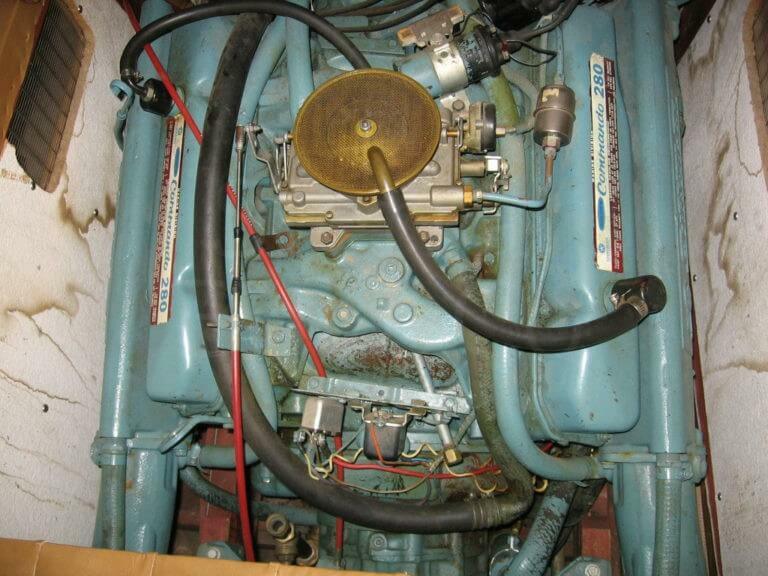 It features modern V-8 power from a Pleasurecraft 225 hp 502 Ford engine. The bottom is epoxy glassed but is in need of repairs. 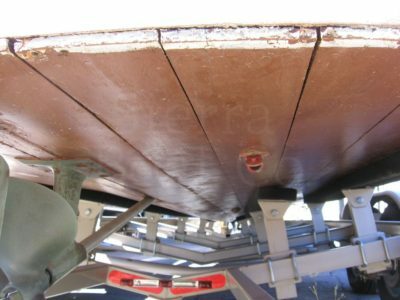 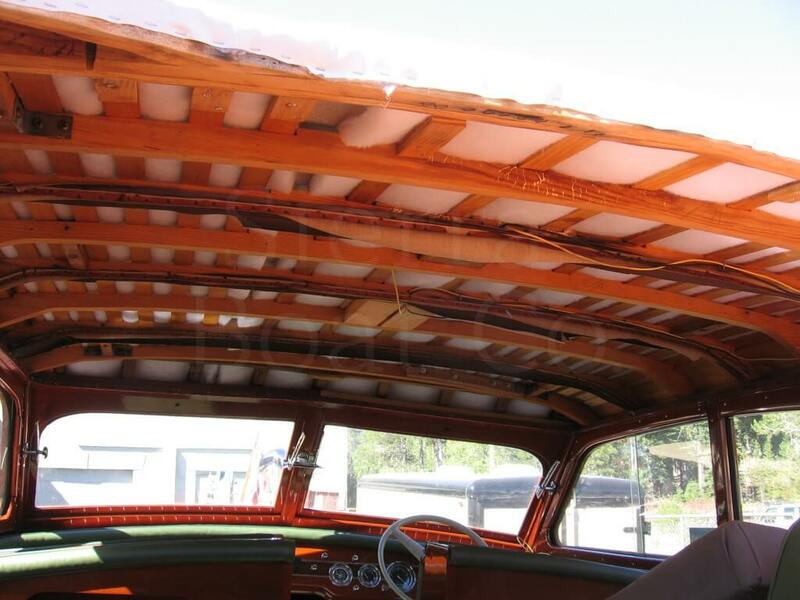 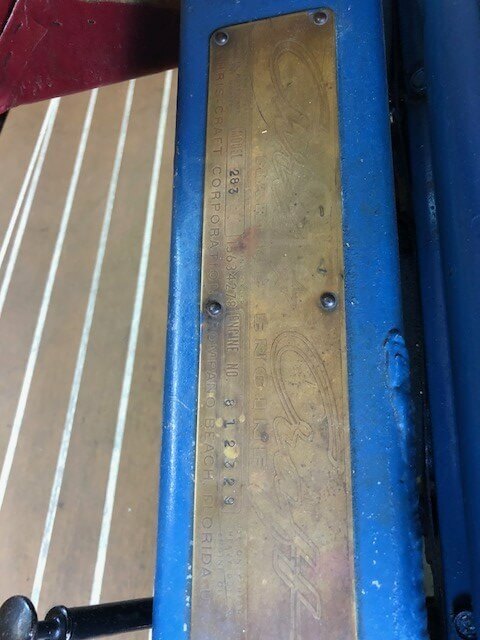 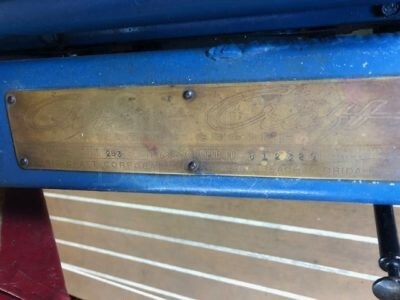 The decks were fully replaced and are glued to a plywood substrate. 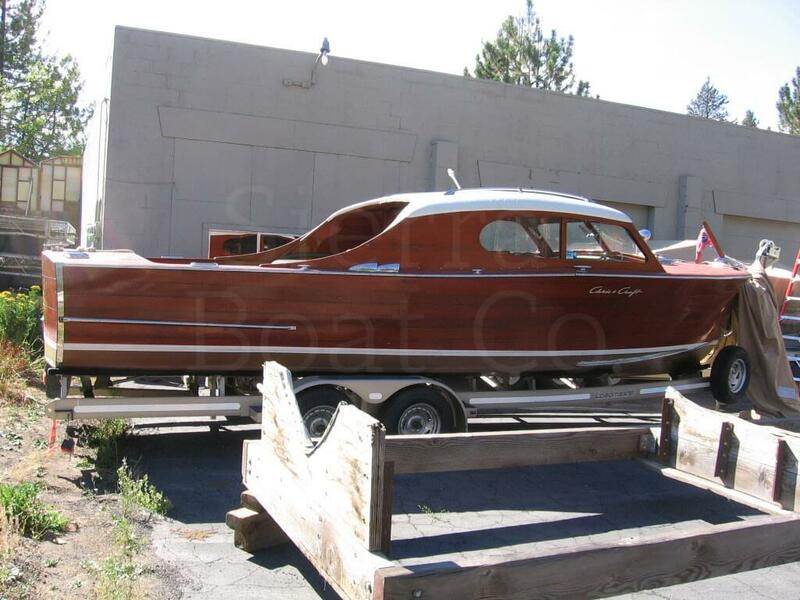 20ft Continentals don’t come up for sale very often as only 221 were built between 1955 and 1957. 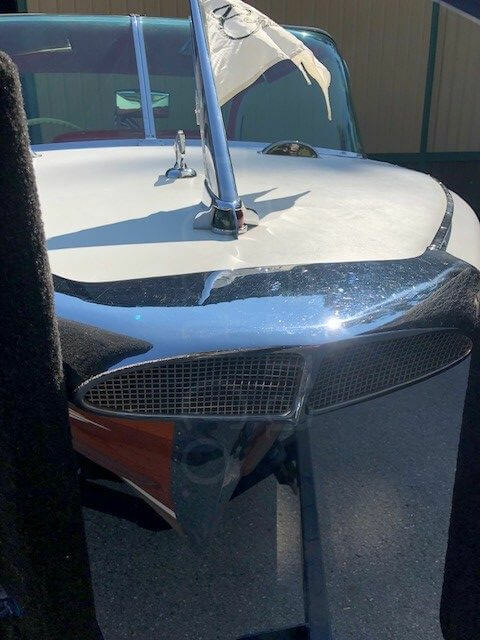 Early examples like this one have the raked windshield that everyone desires. 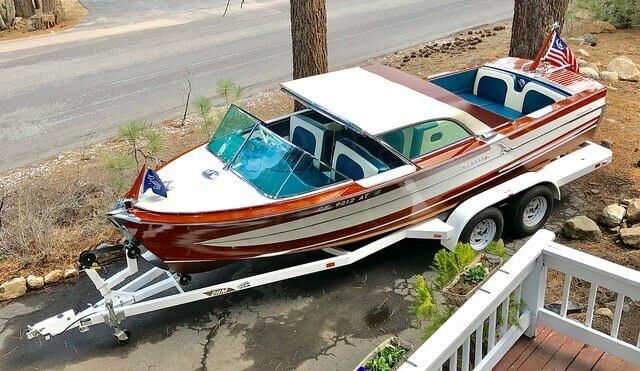 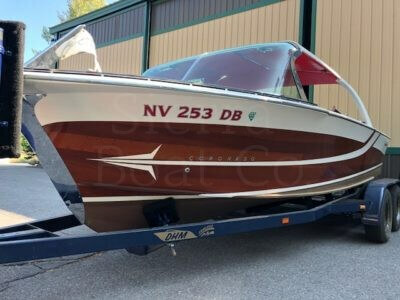 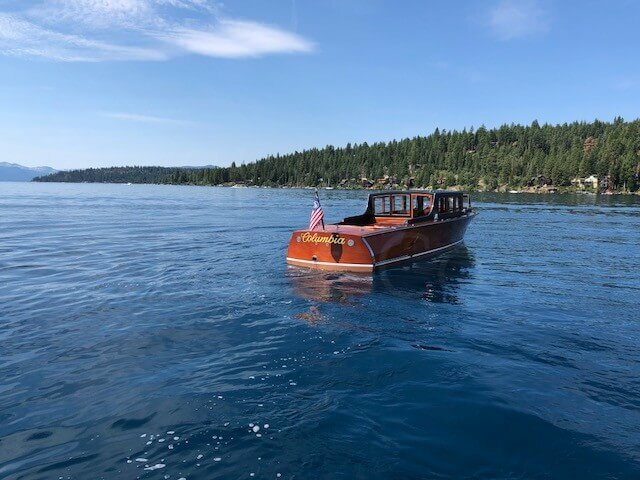 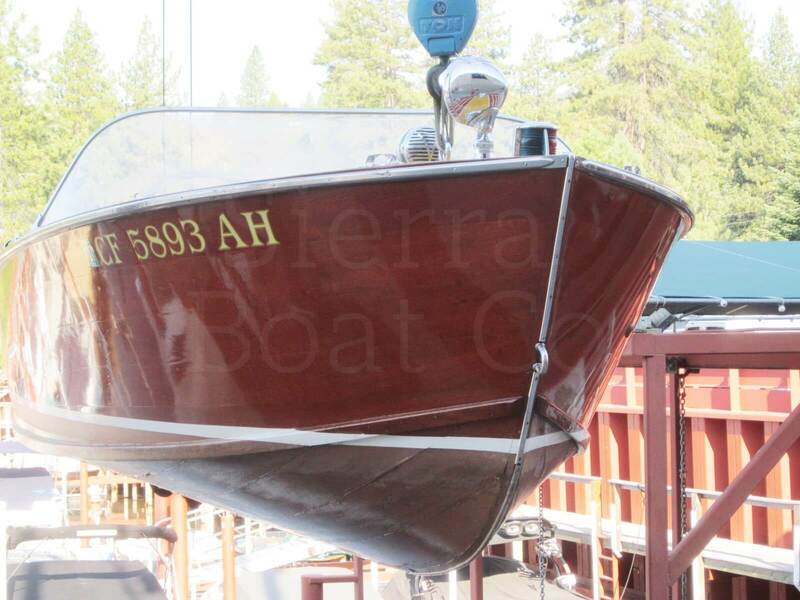 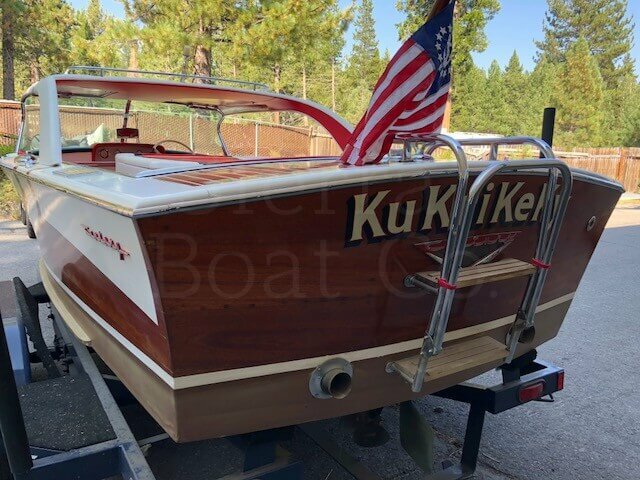 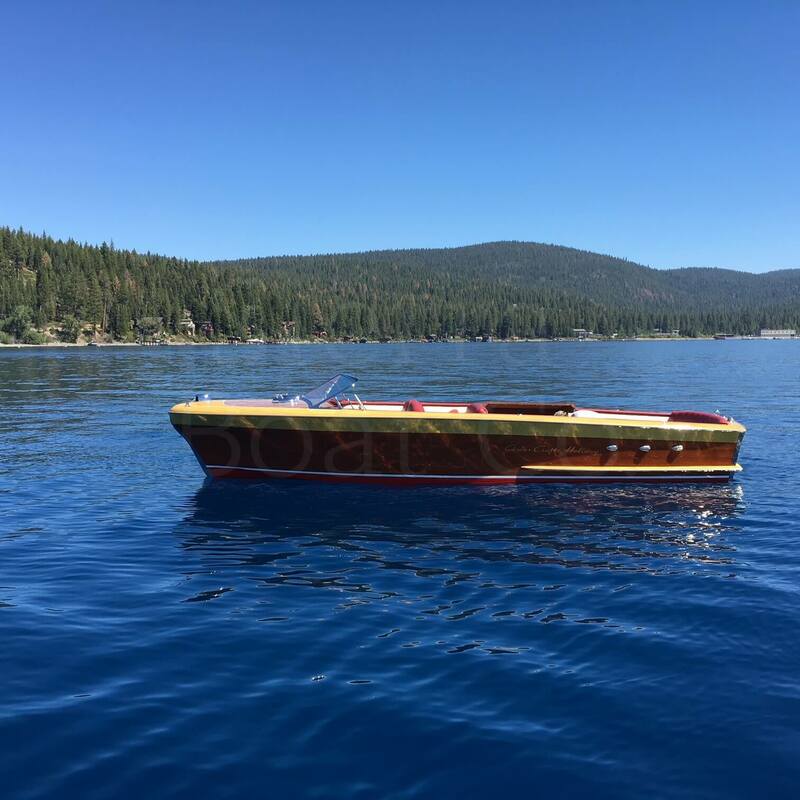 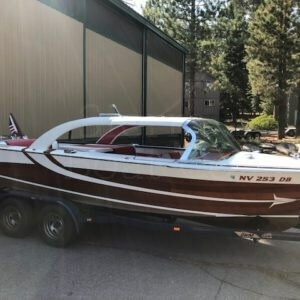 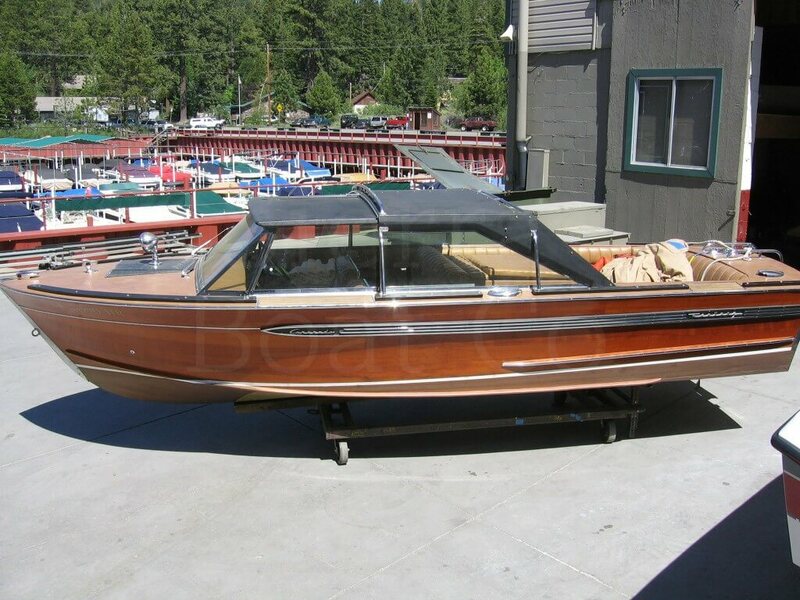 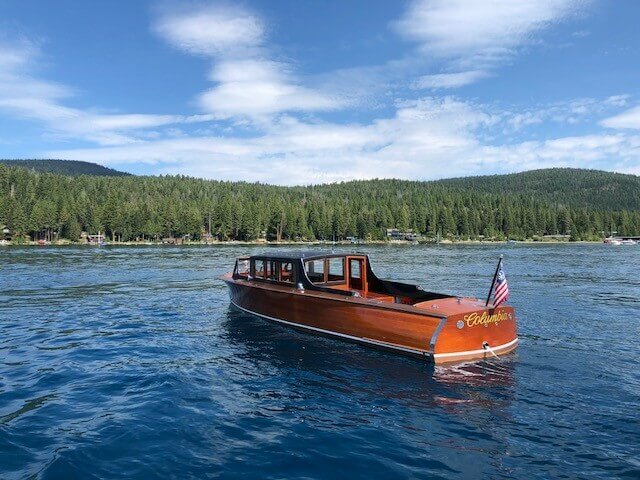 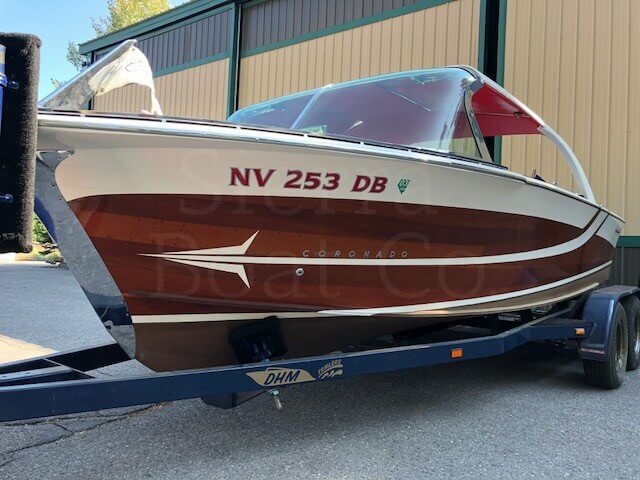 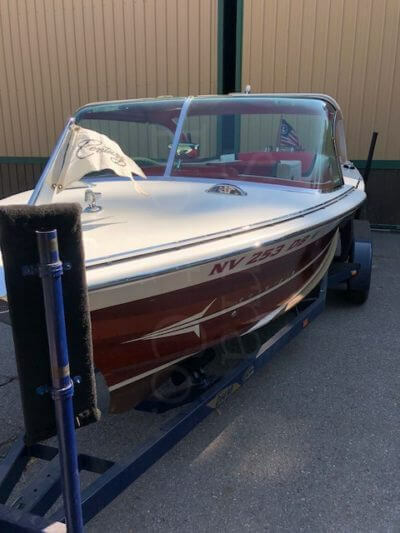 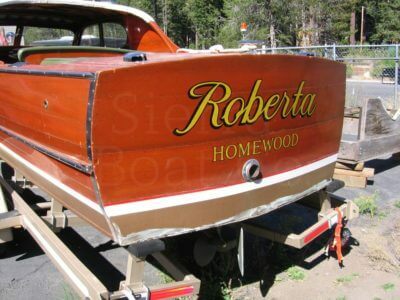 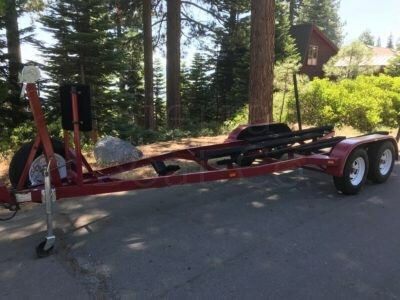 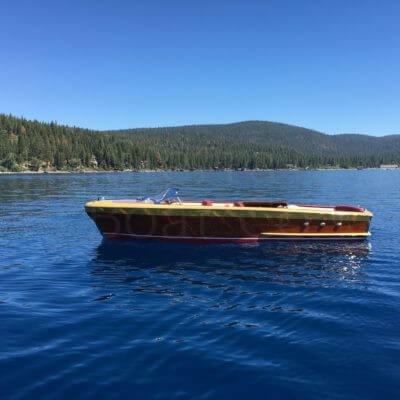 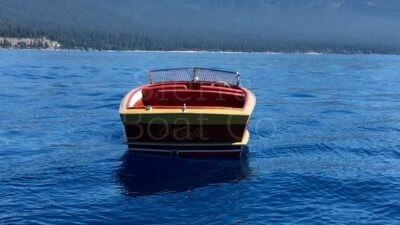 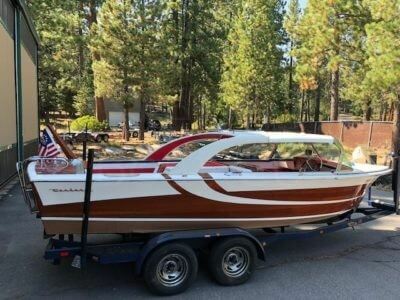 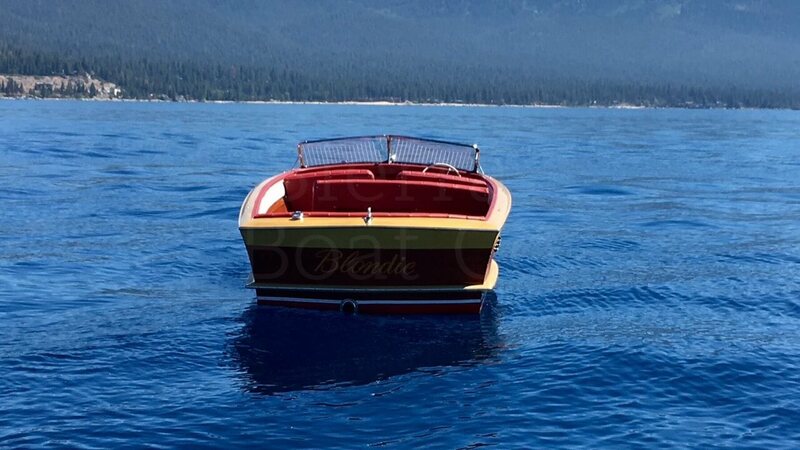 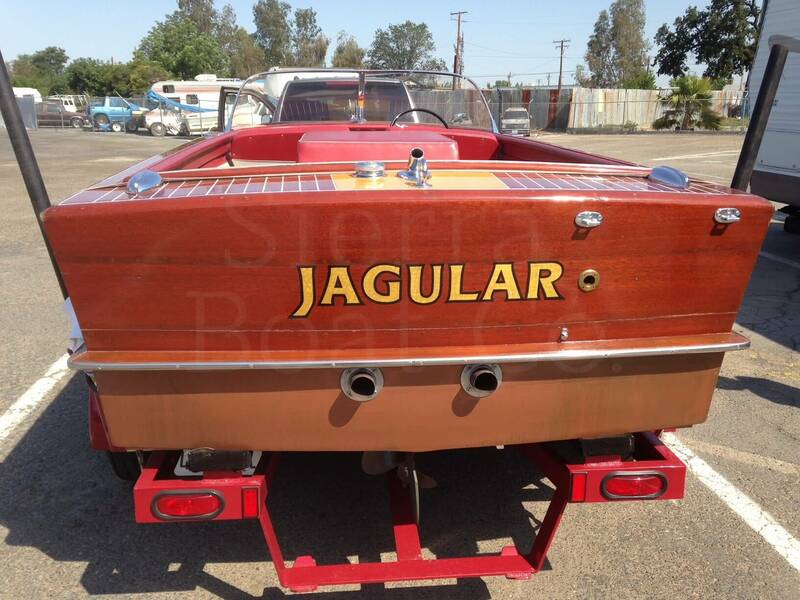 This is a perfect size boat, not too big, not too small for Lake Tahoe!